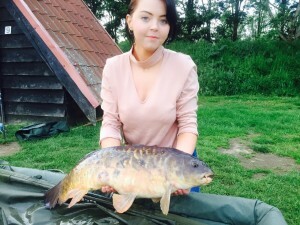 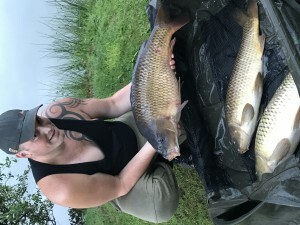 Emily and Norman fishing the Specimen lake pegs 16 & 17 for 48hours Caught these incredible fish weights as followed 21lbs Common along with a 24lbs Common, Noise of the fireworks didn’t stop this impressive session, both was Caught on Catalyst pop ups. Well done from the milton pools team hope to see you here again soon. 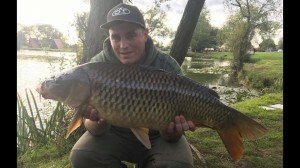 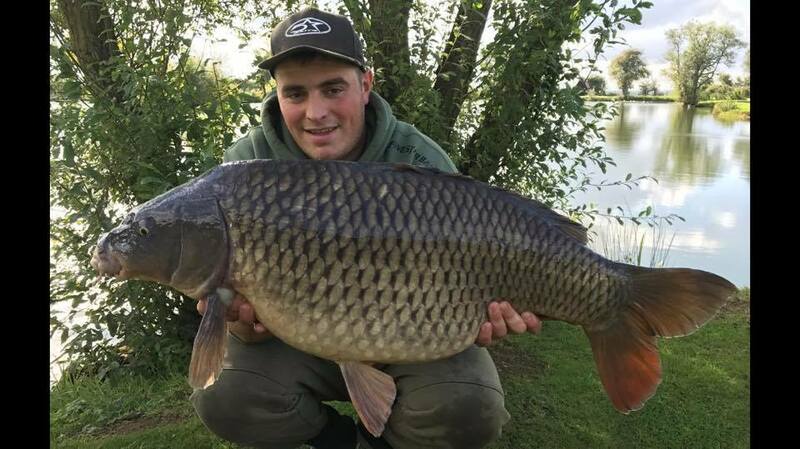 One of our regulars Josh Noall fishing the Specimen lake for 48hours Caught these two beautiful fish weighing in at 19lbs 2oz and 12lbs Common well done Josh. 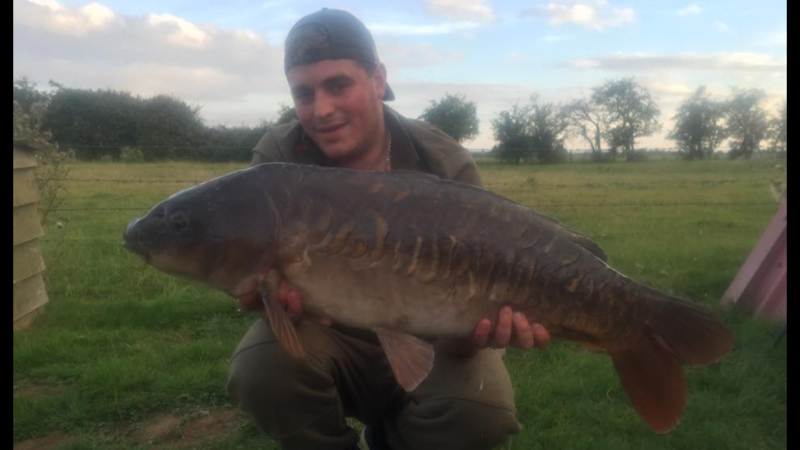 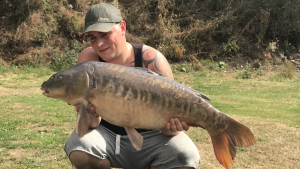 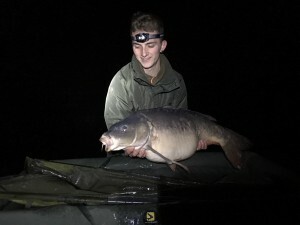 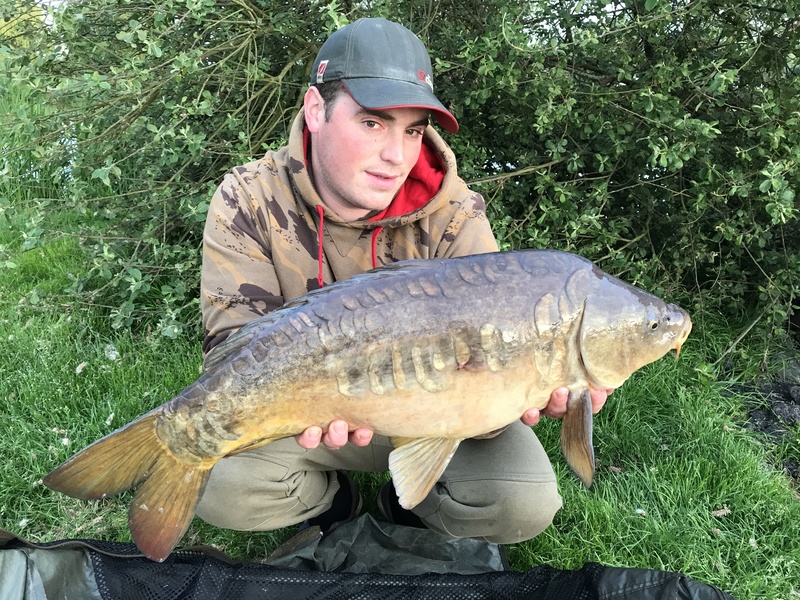 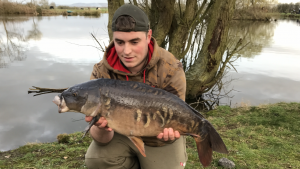 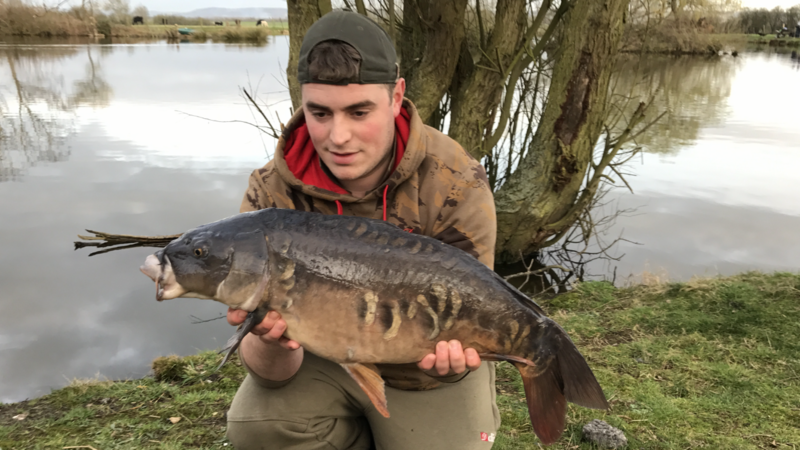 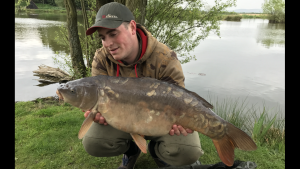 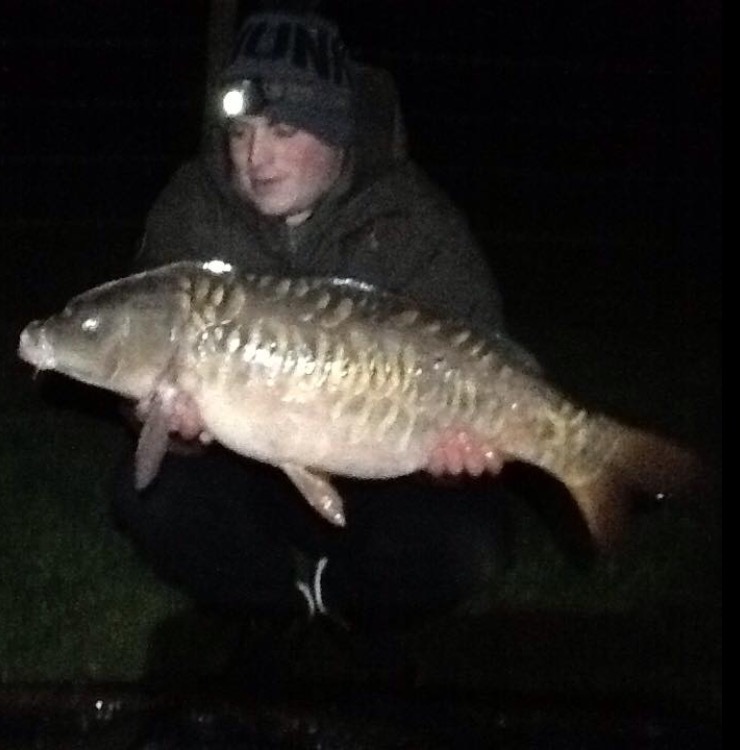 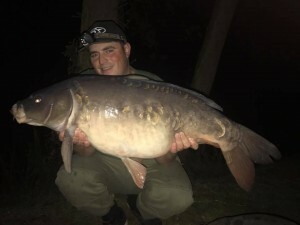 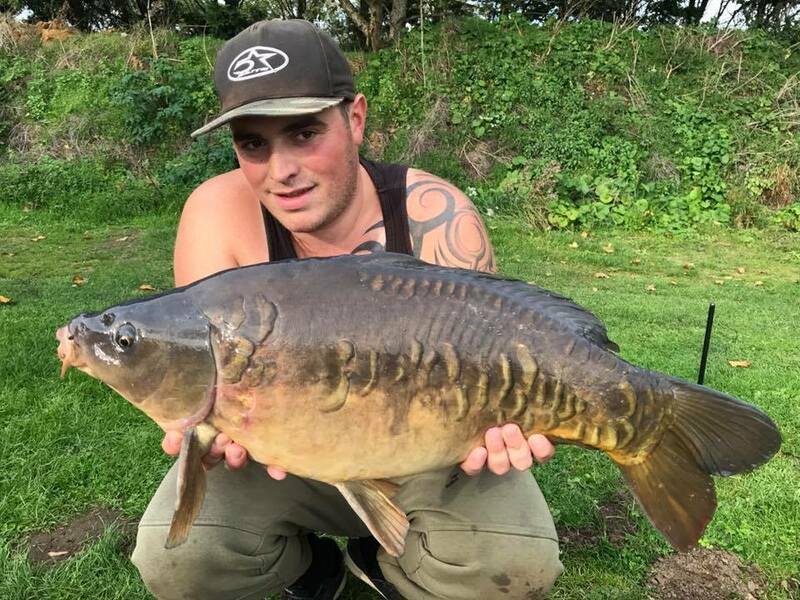 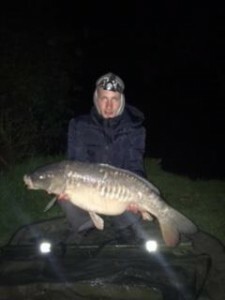 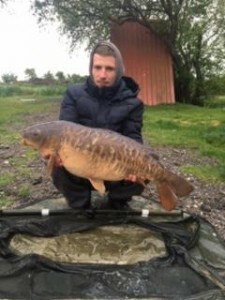 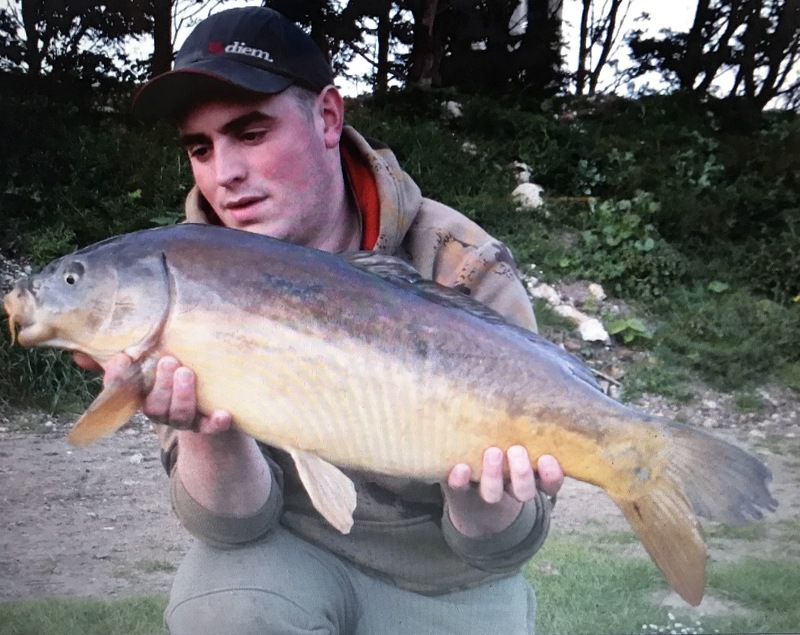 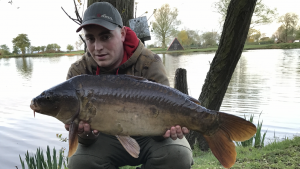 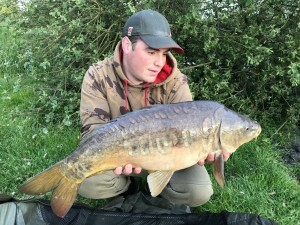 Josh Noall fishing peg 8 on the specimen lake for 48 hours caught this magnificent 30lbs Mirror, Massive well done josh from us all at Milton Pools. 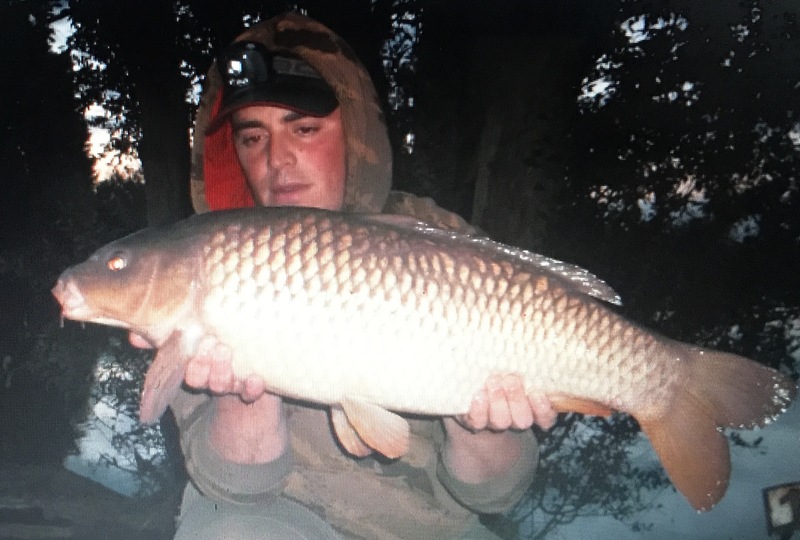 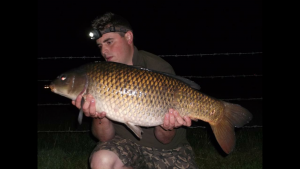 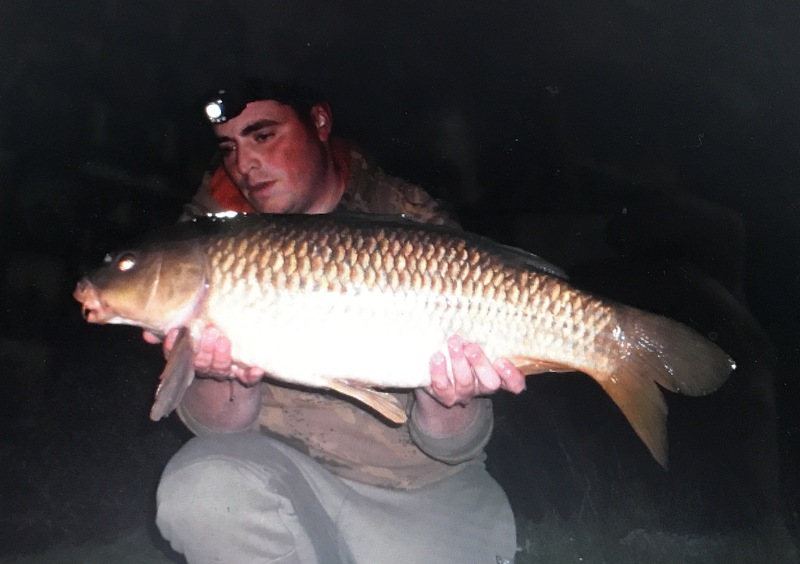 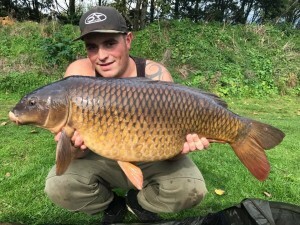 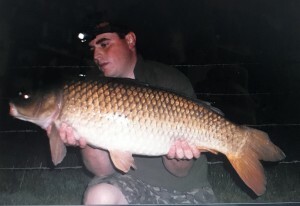 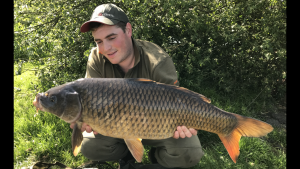 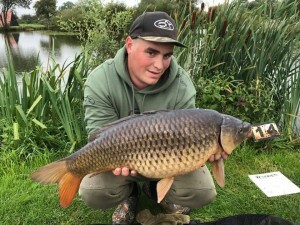 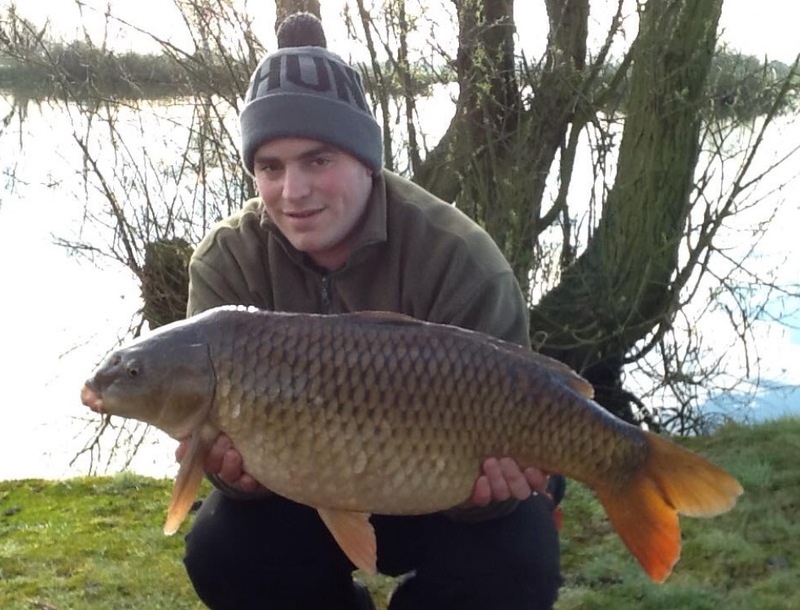 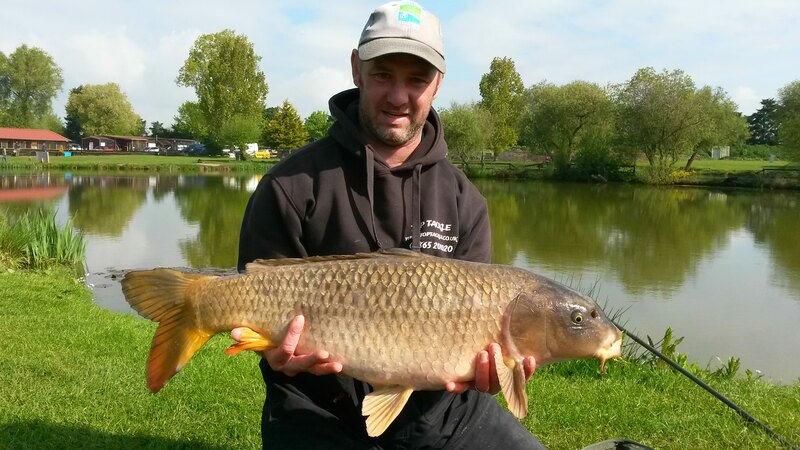 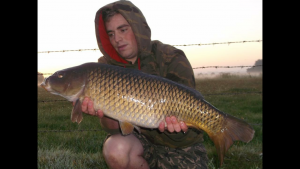 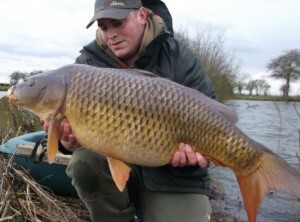 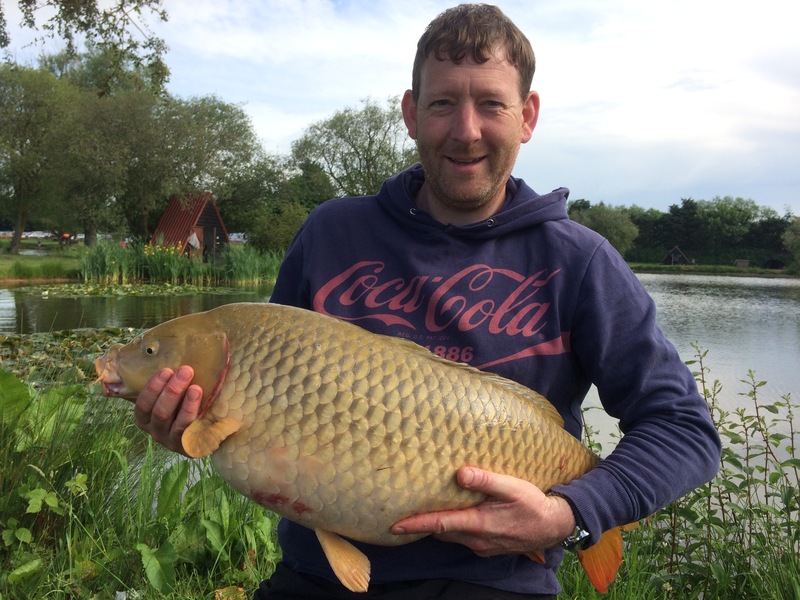 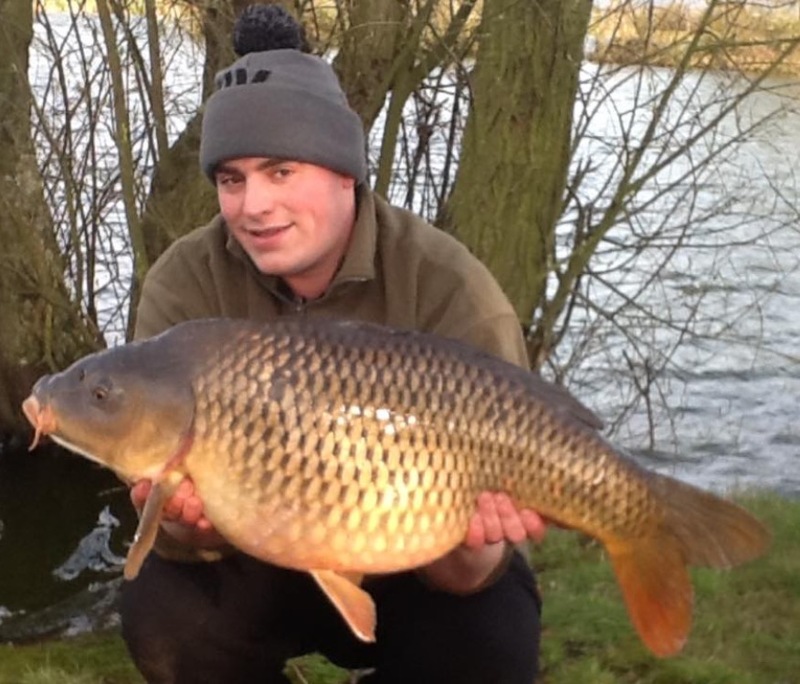 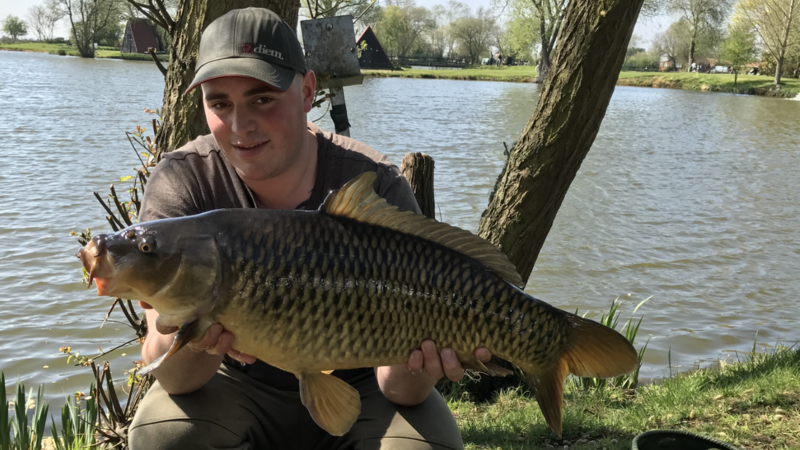 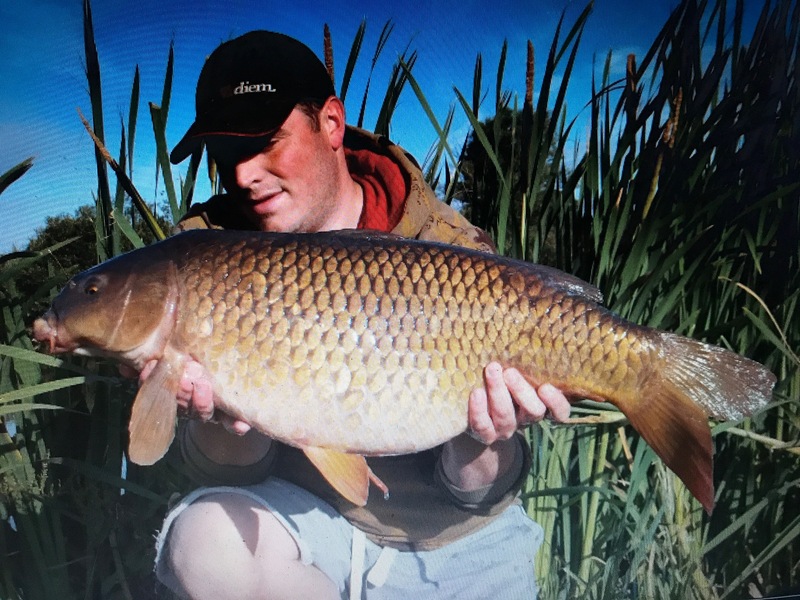 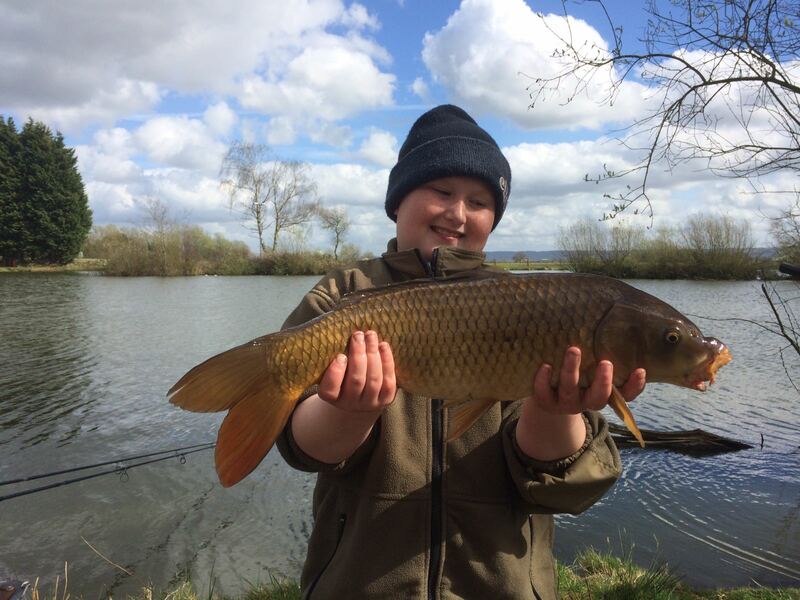 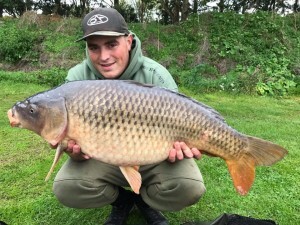 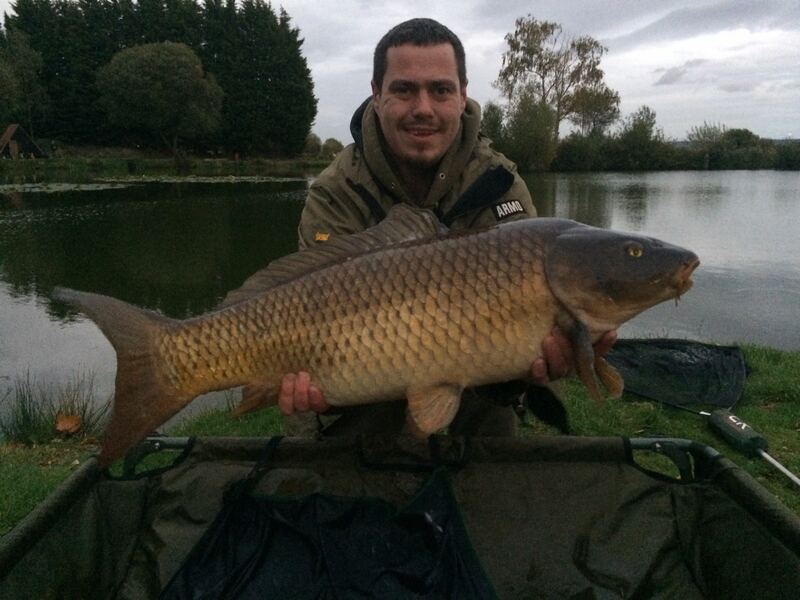 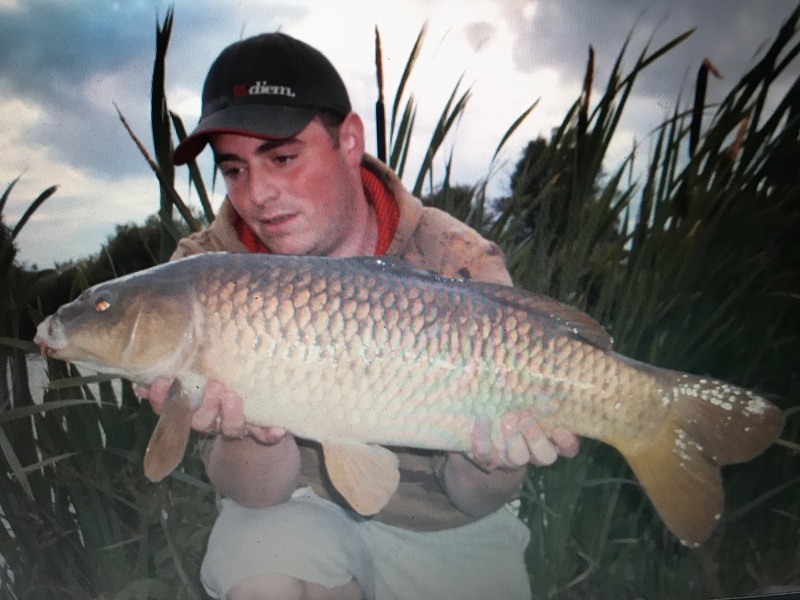 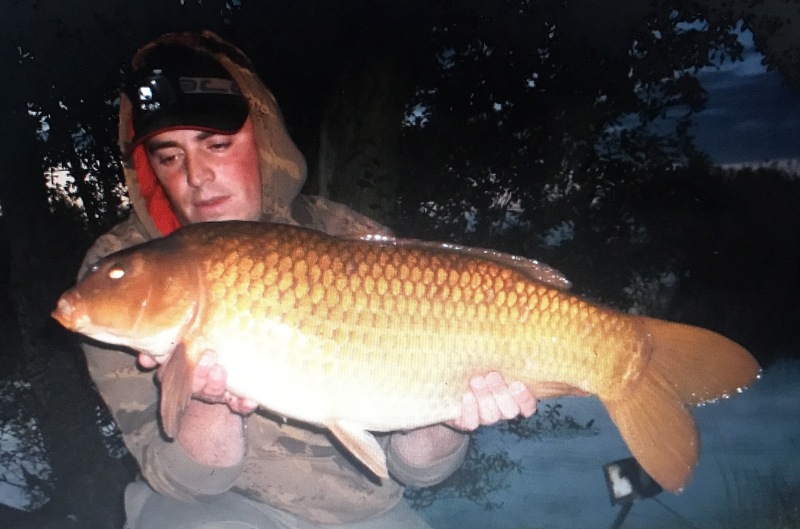 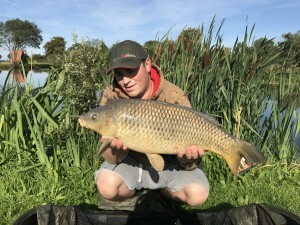 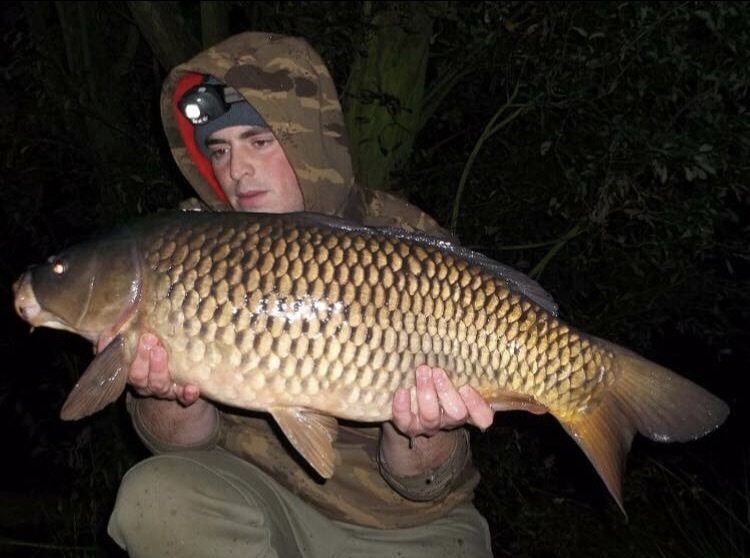 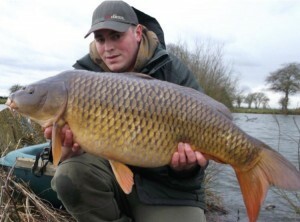 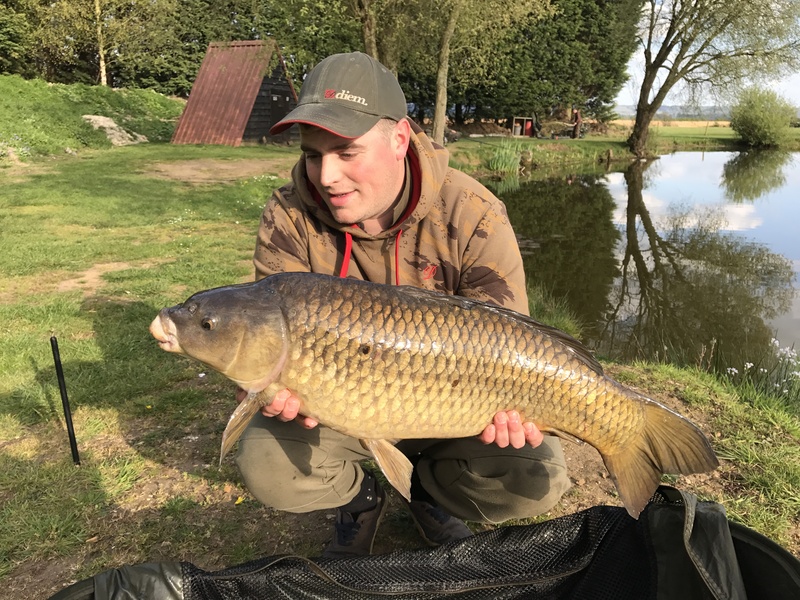 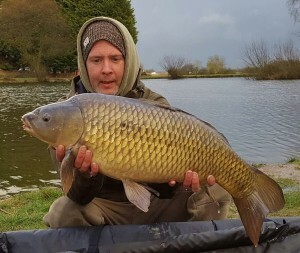 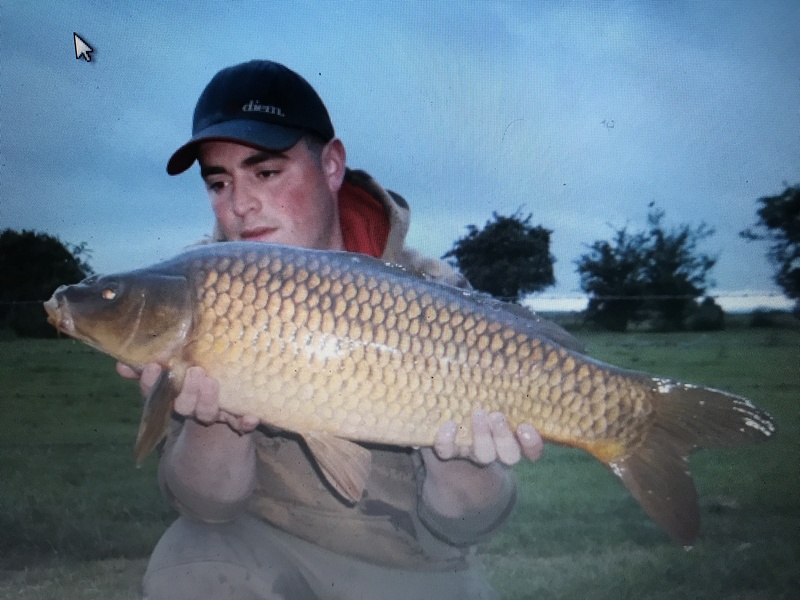 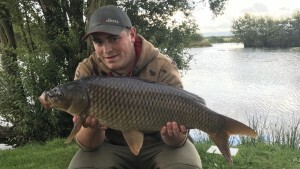 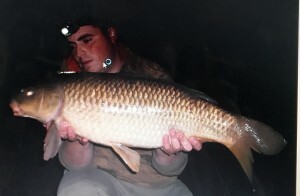 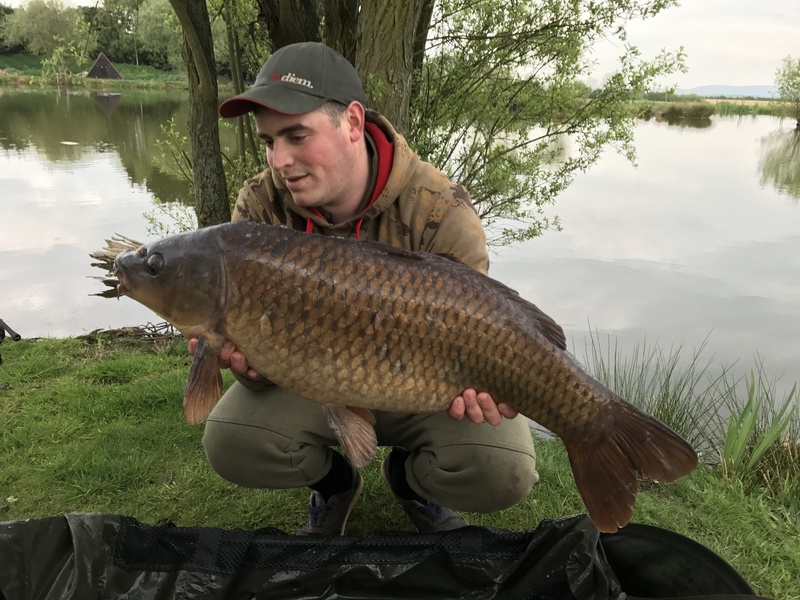 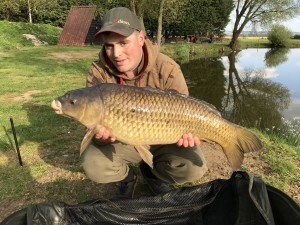 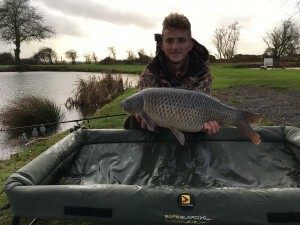 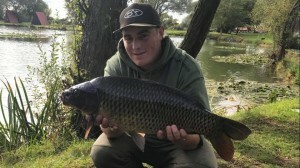 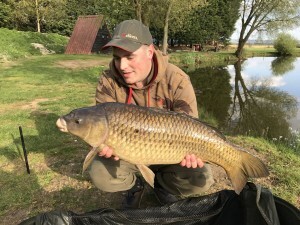 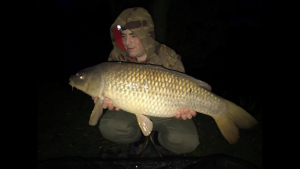 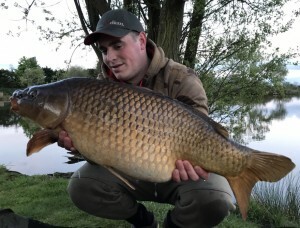 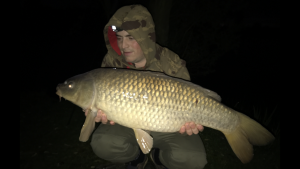 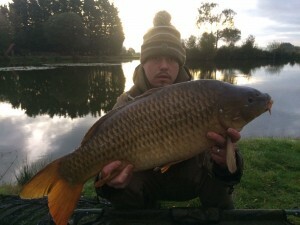 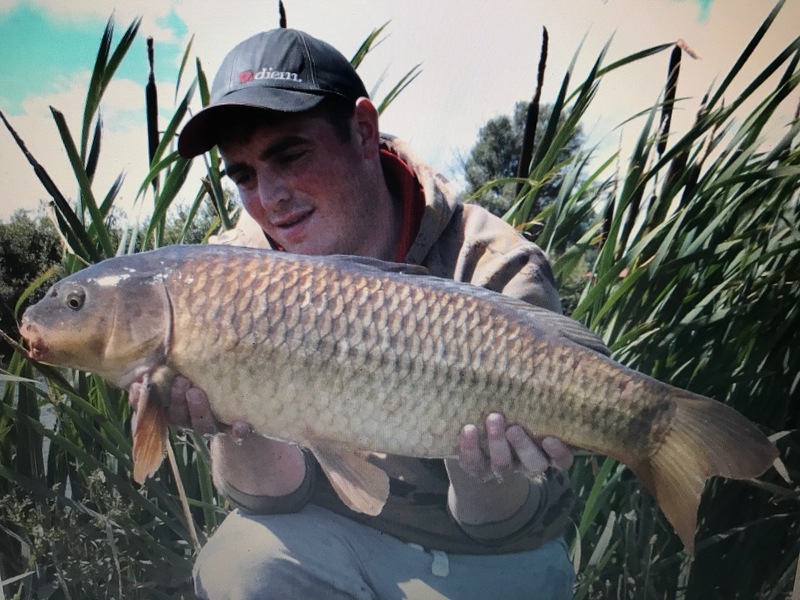 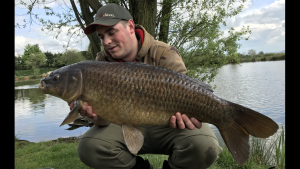 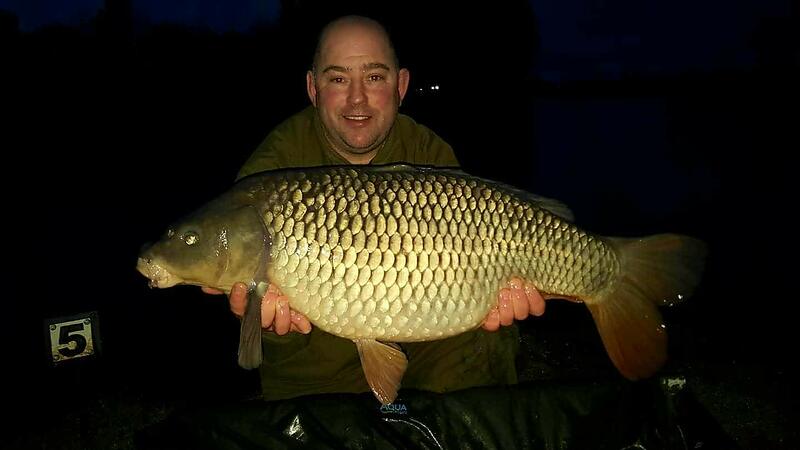 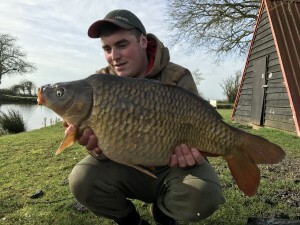 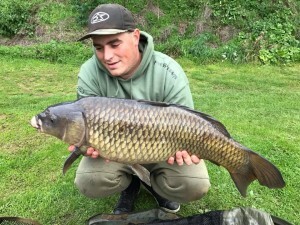 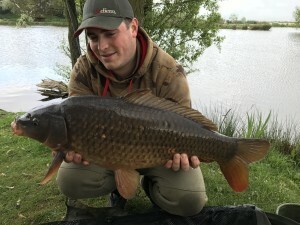 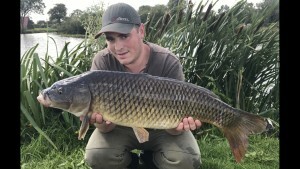 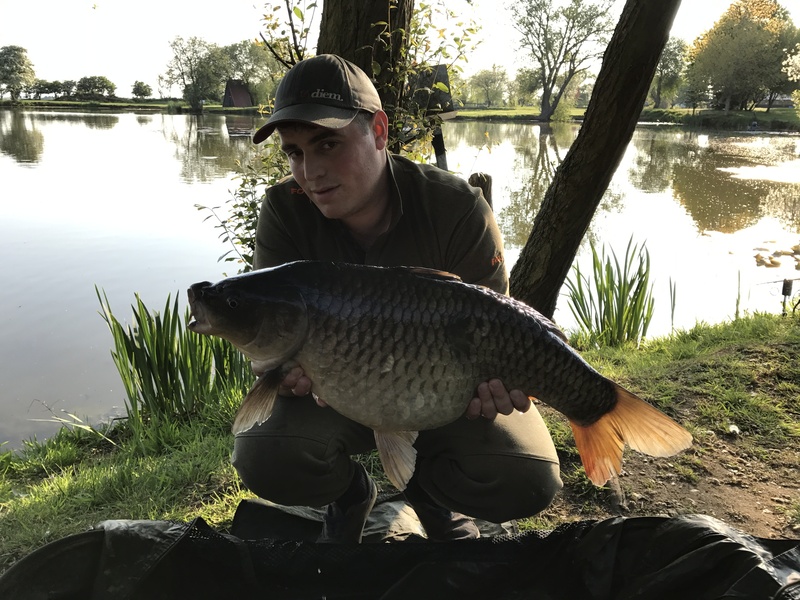 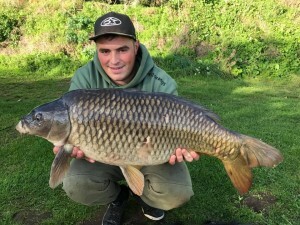 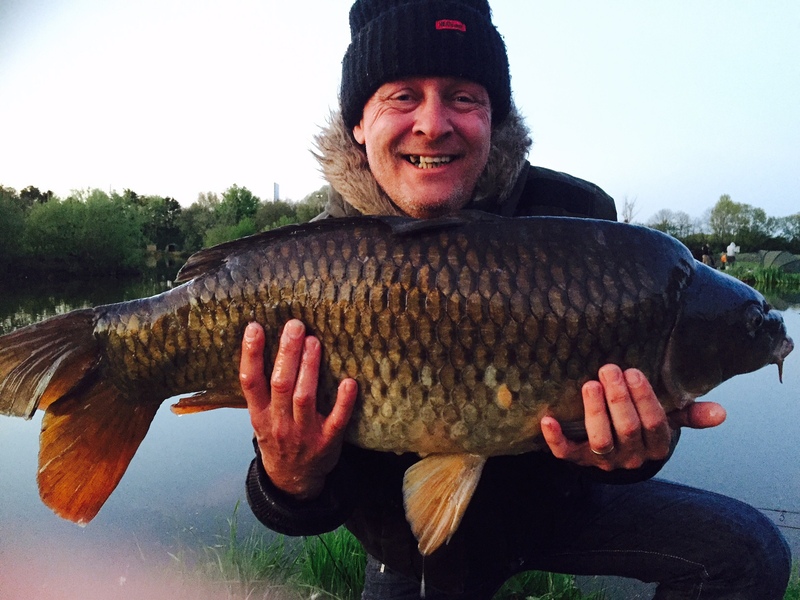 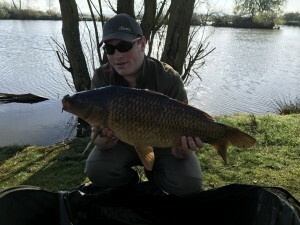 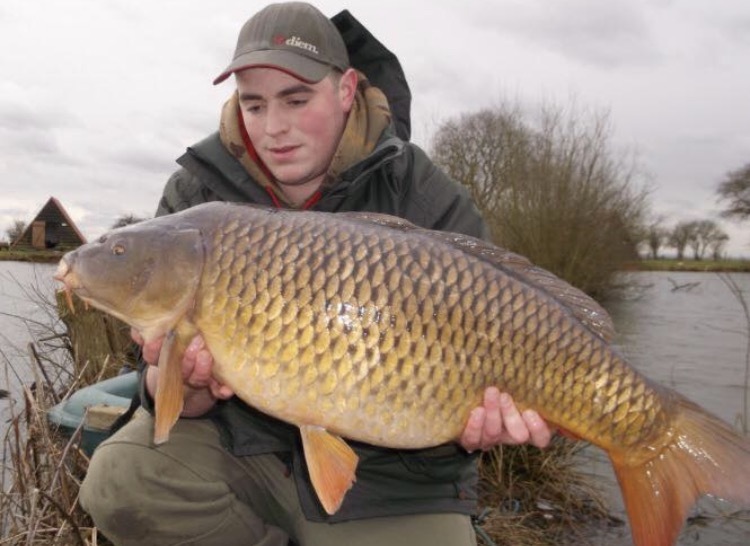 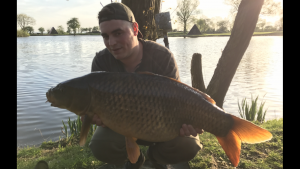 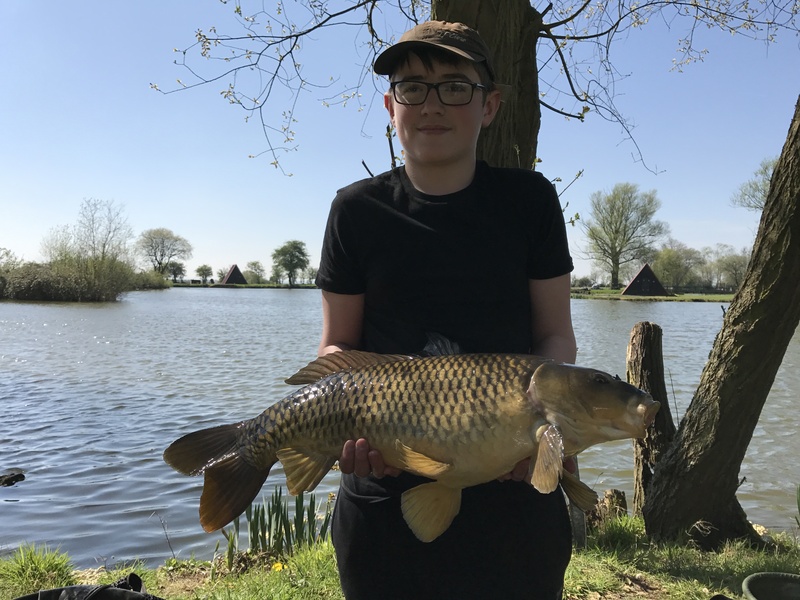 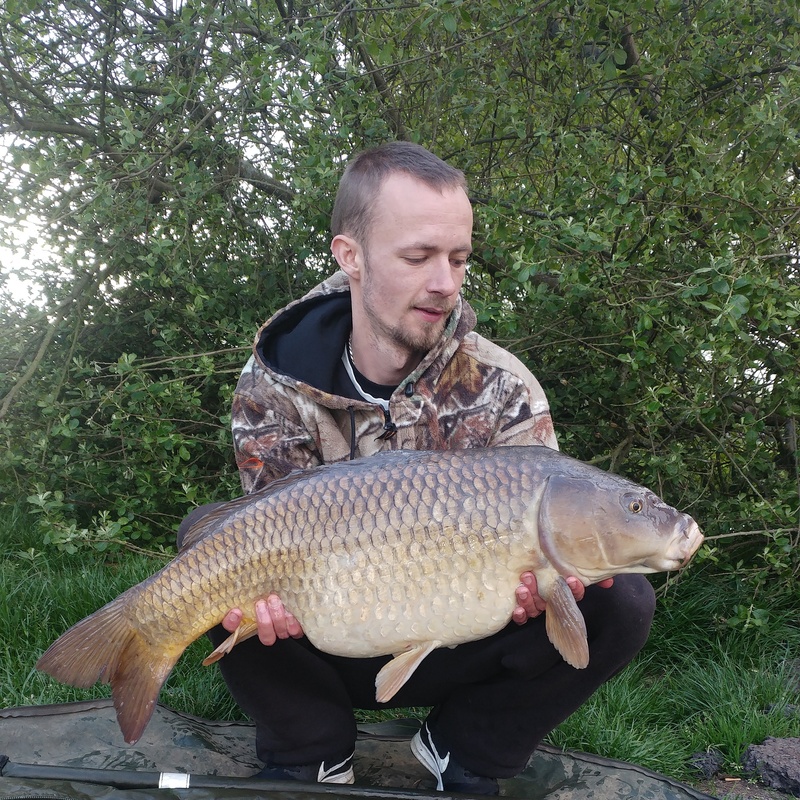 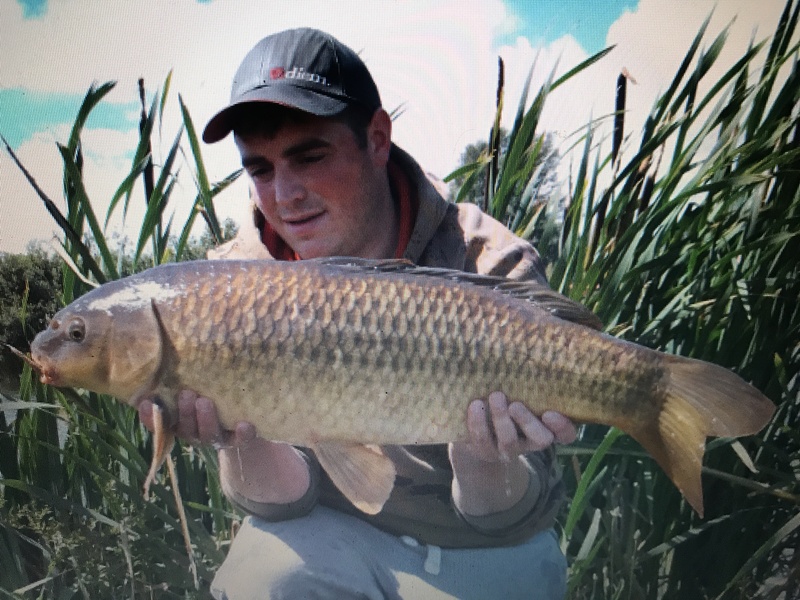 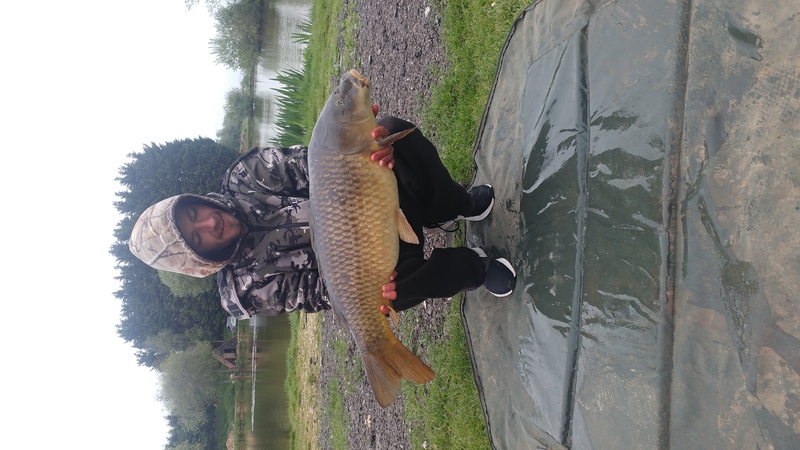 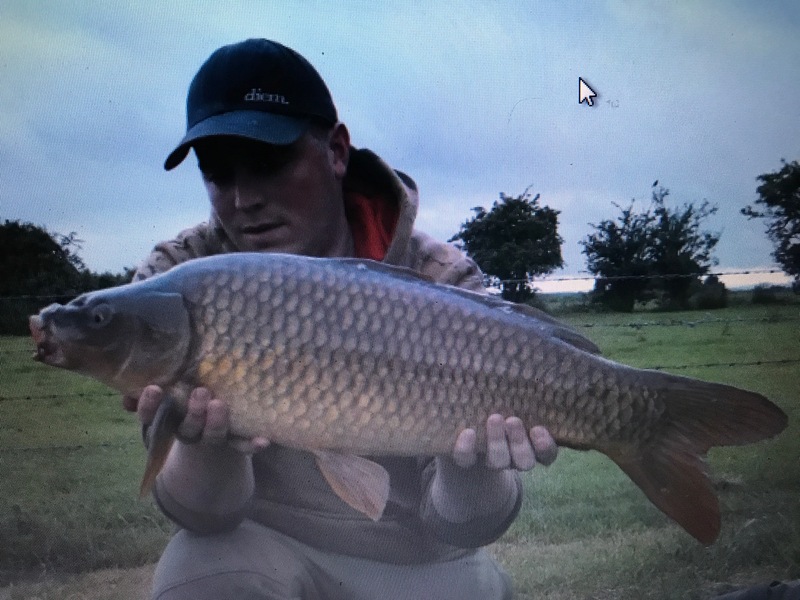 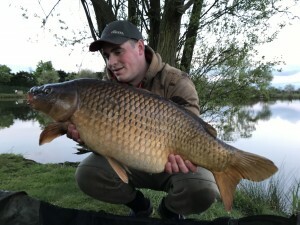 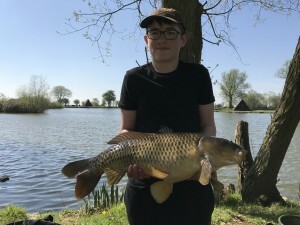 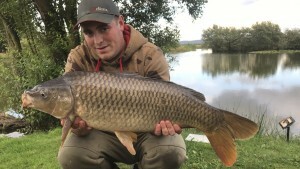 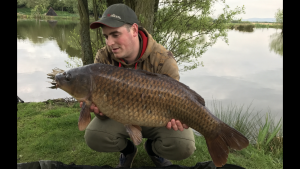 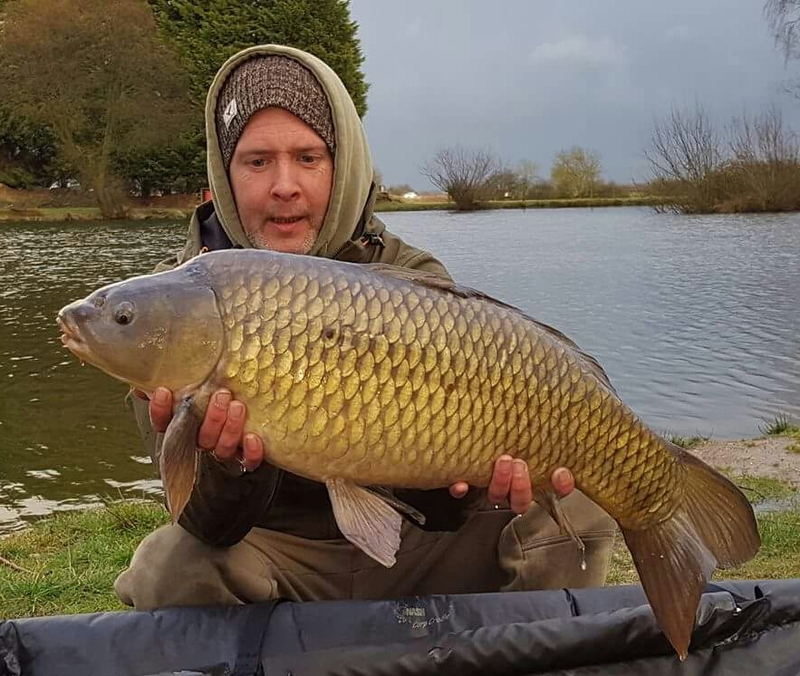 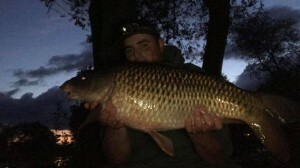 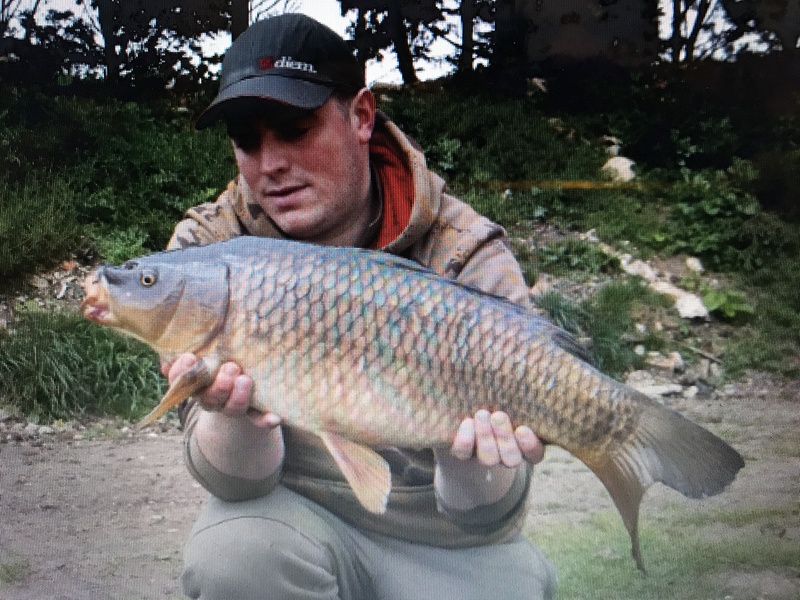 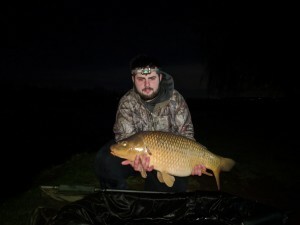 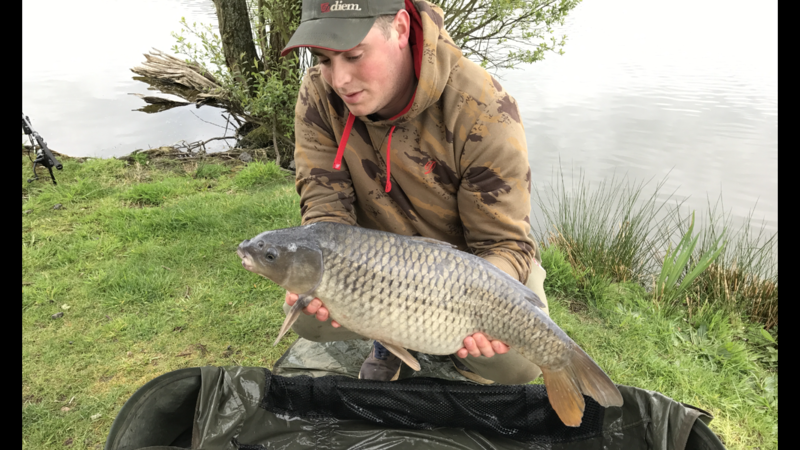 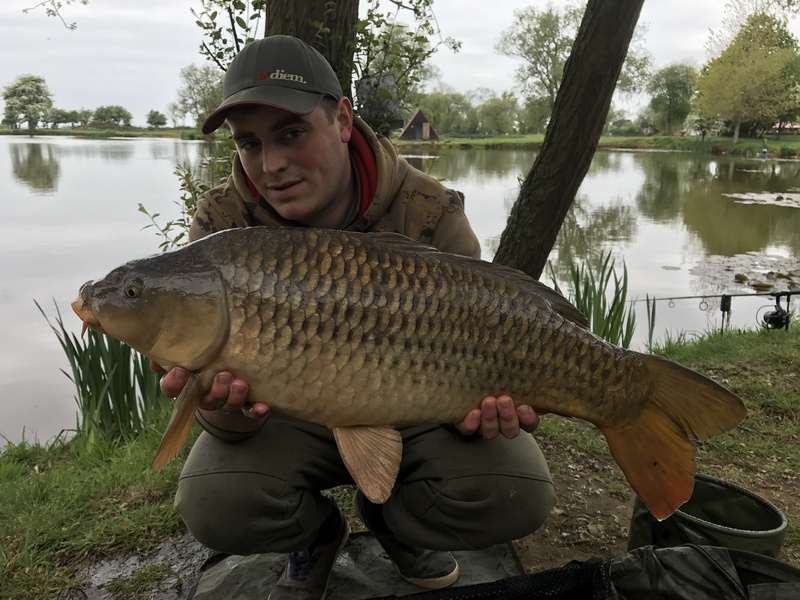 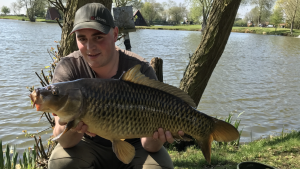 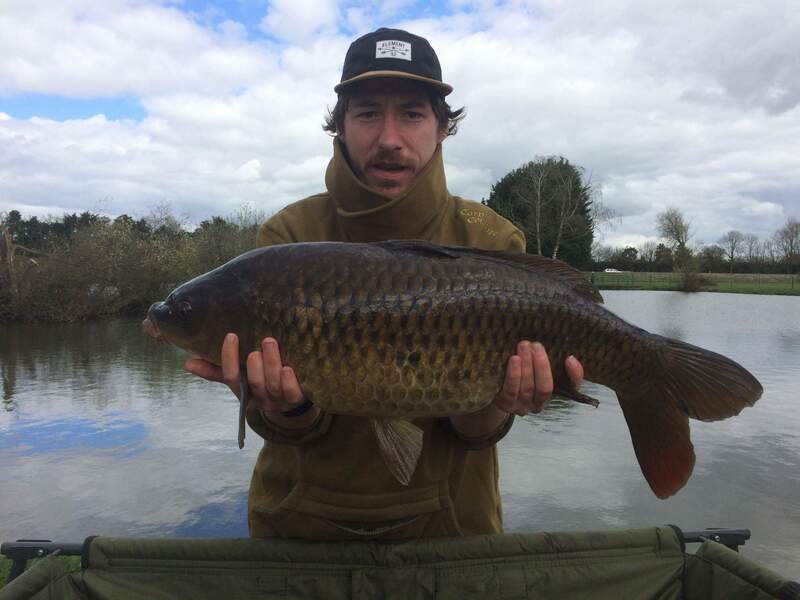 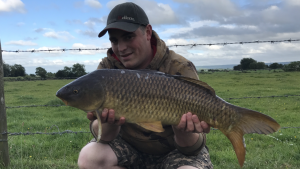 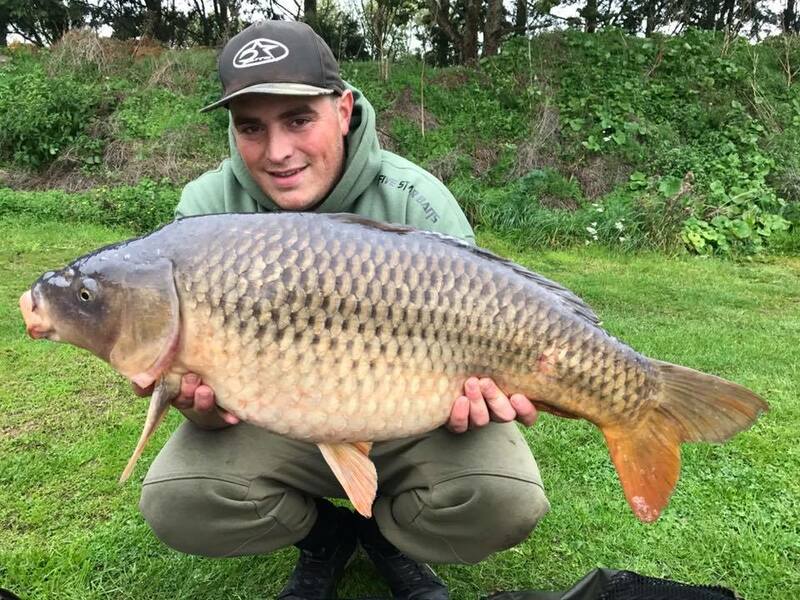 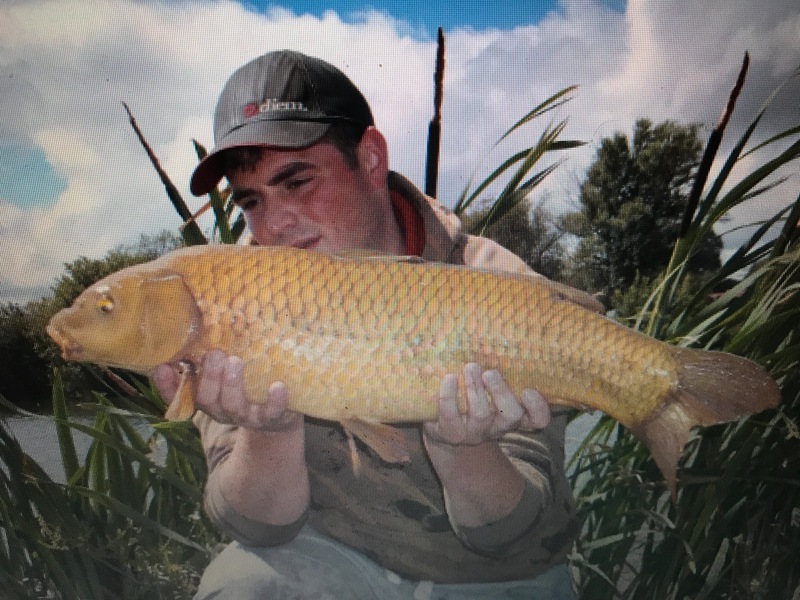 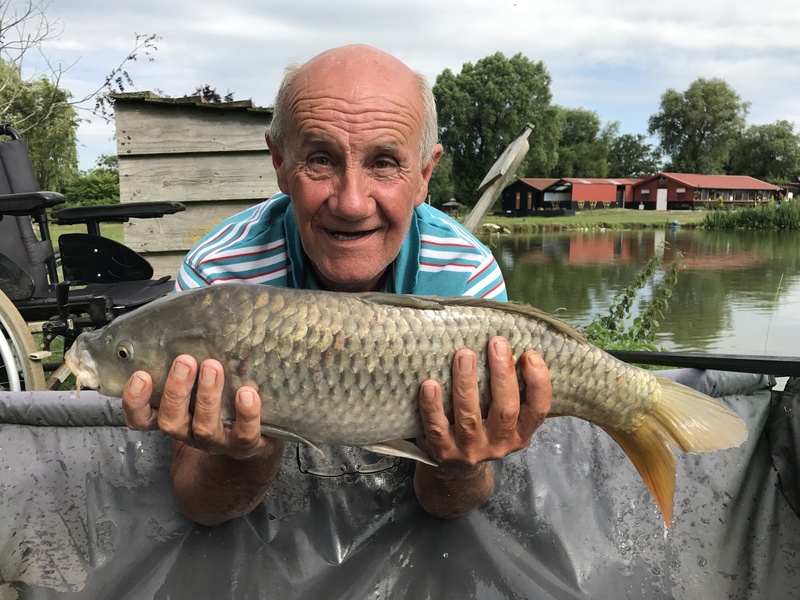 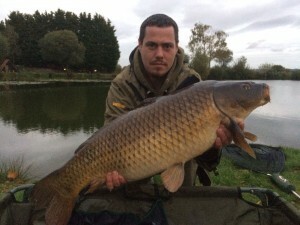 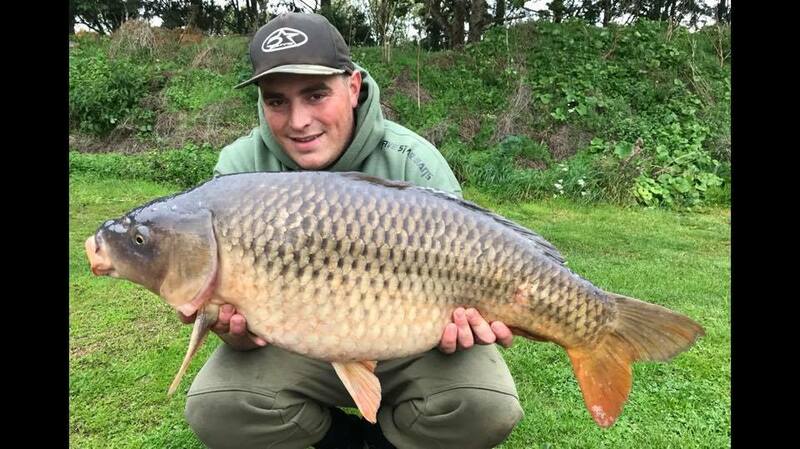 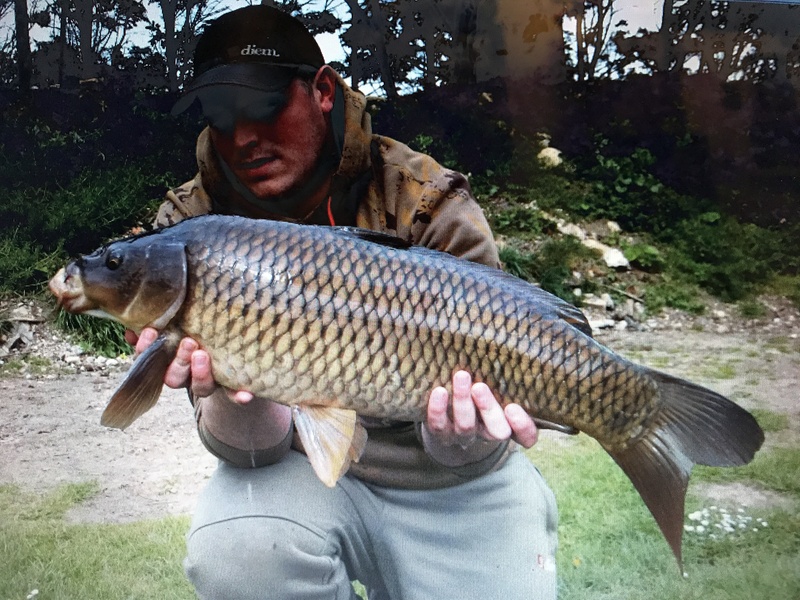 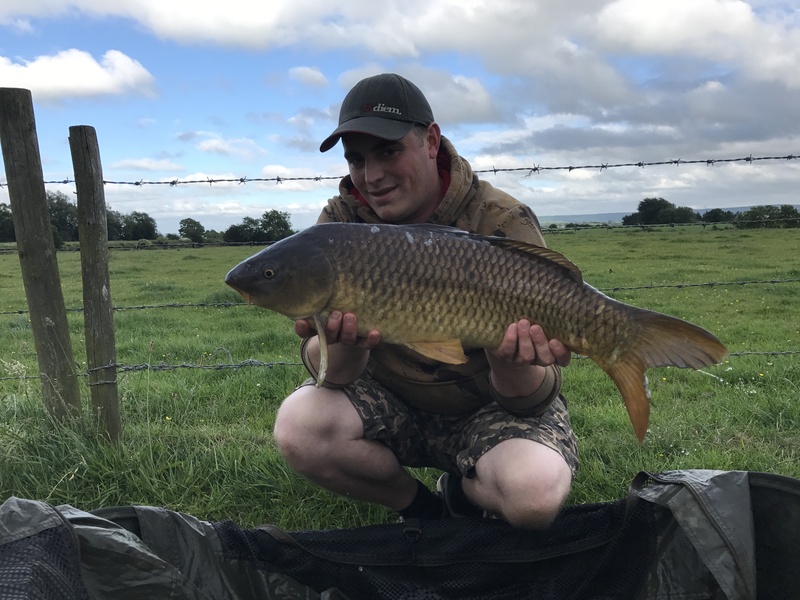 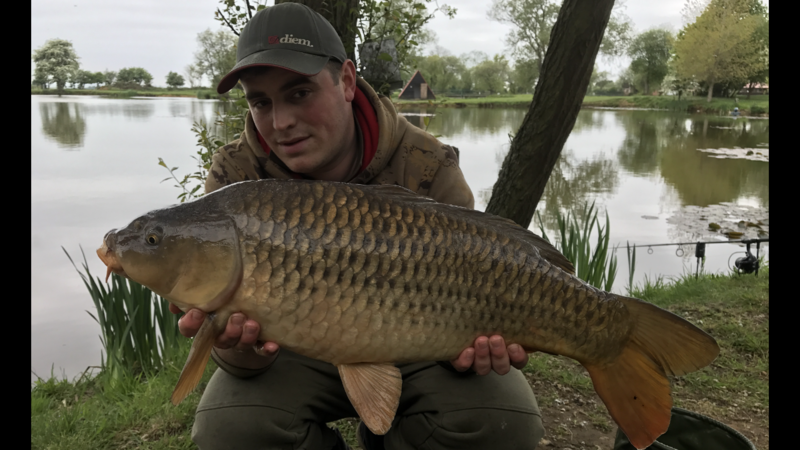 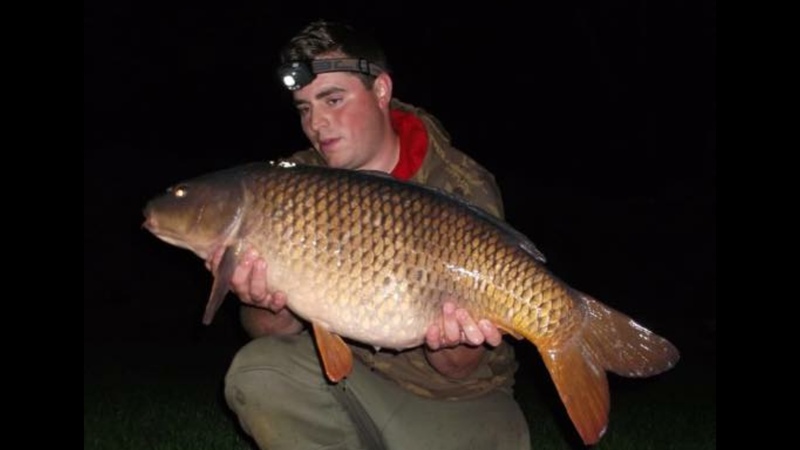 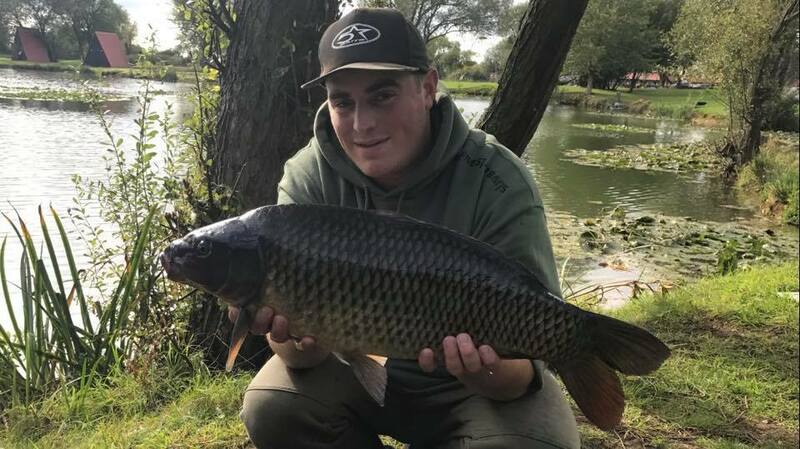 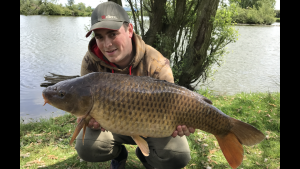 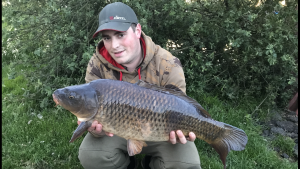 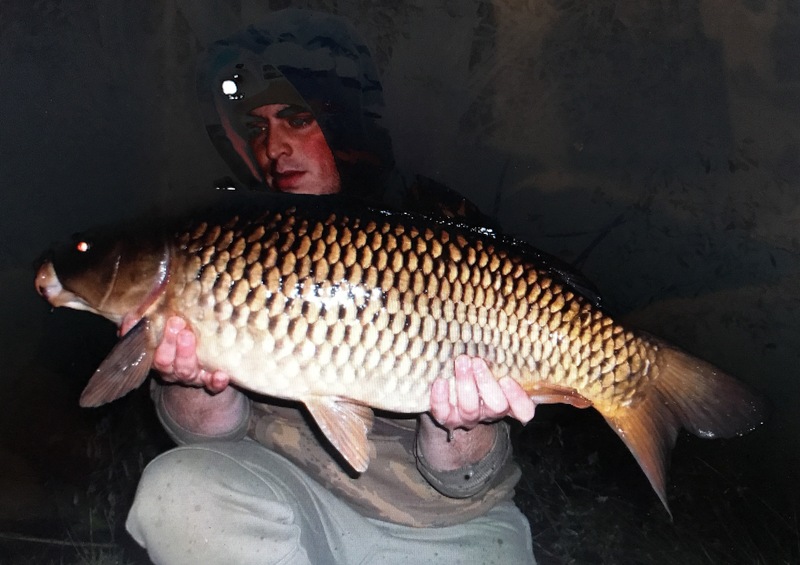 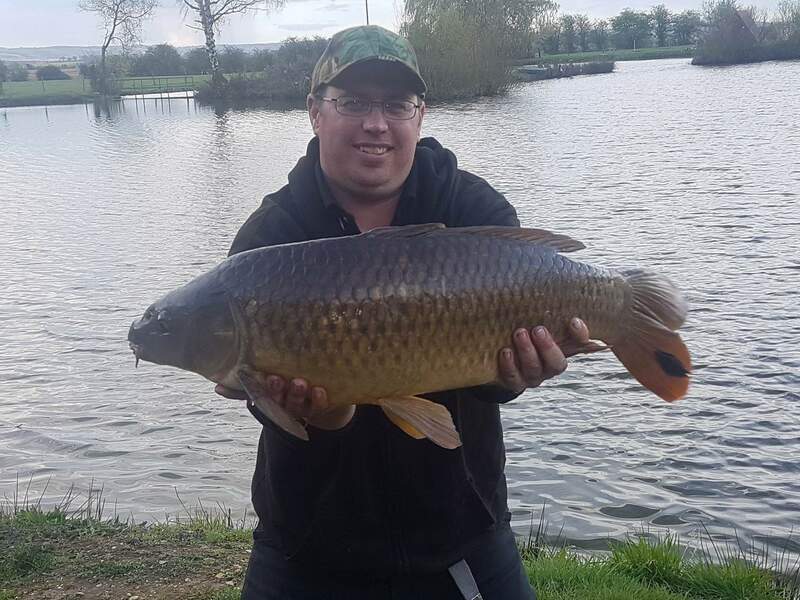 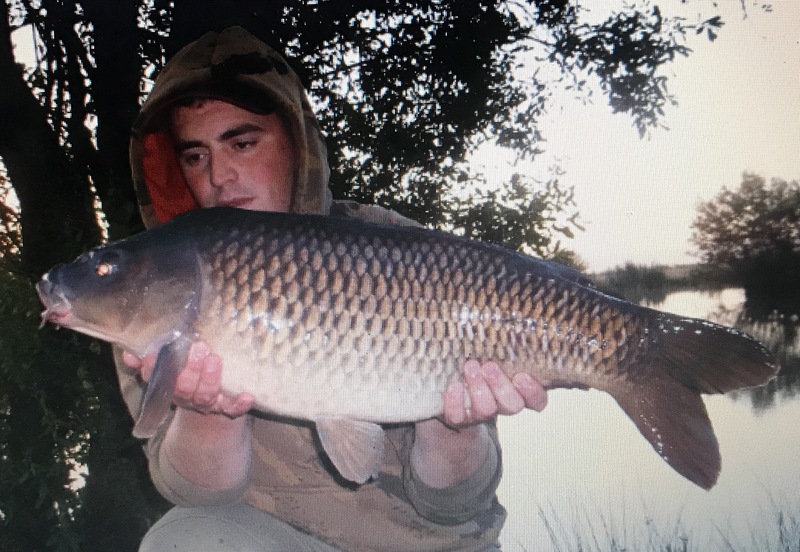 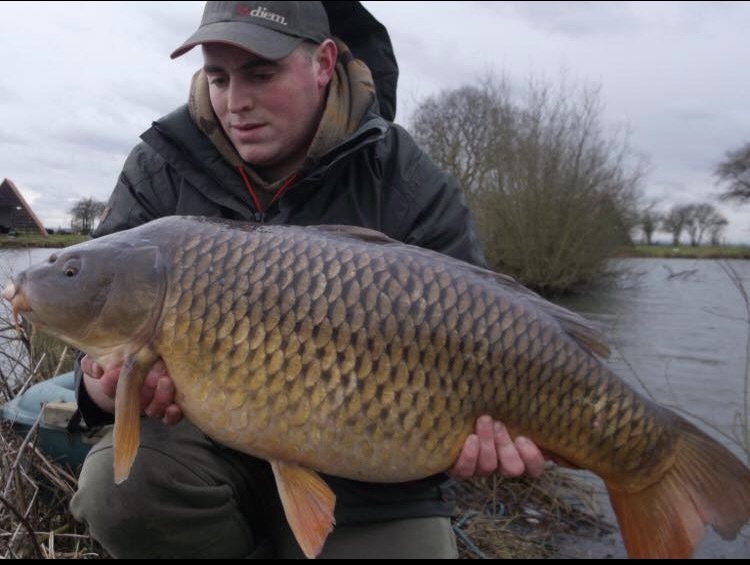 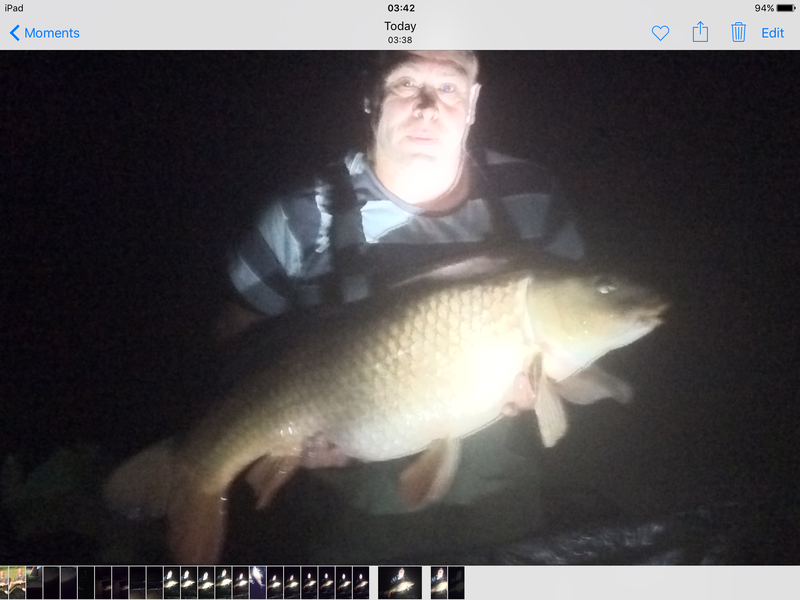 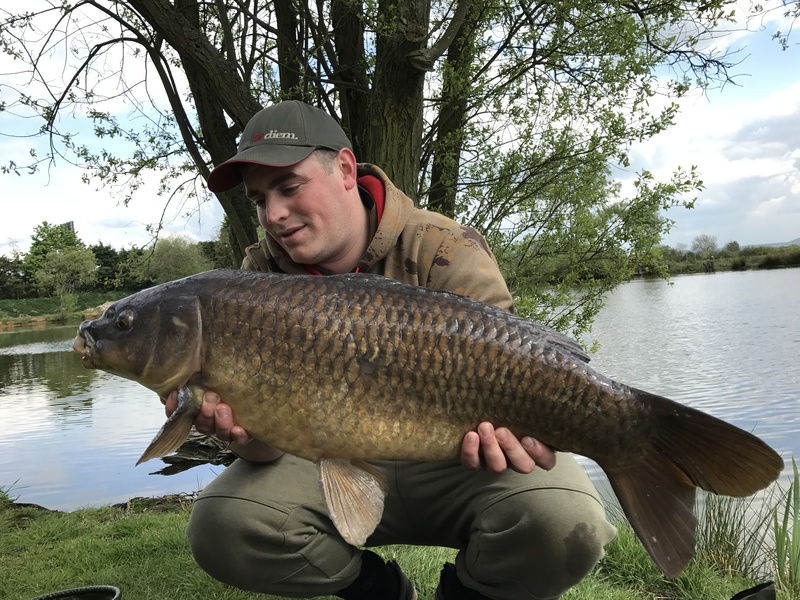 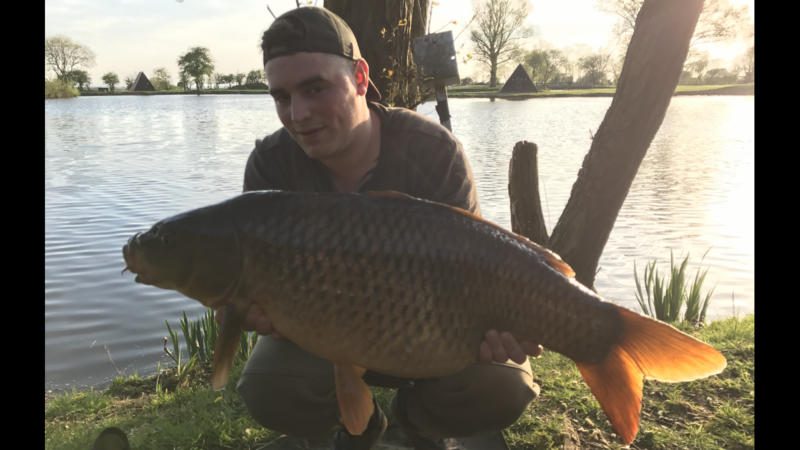 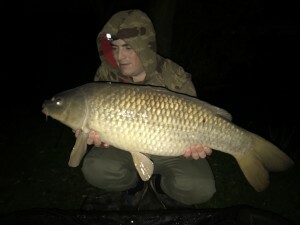 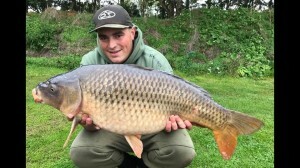 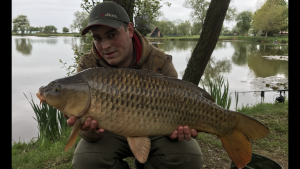 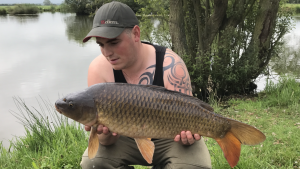 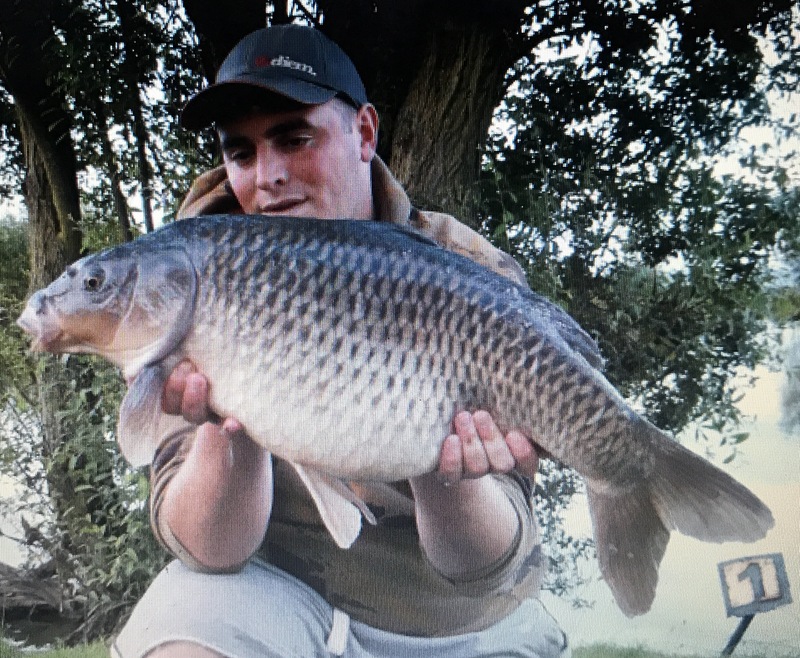 Mr Costers party fishing swims 1 to 5 on the Specimen lake over the weekend, an impressive 35lbs 4oz Common Caught from peg 3, well done from the Milton pools fishery team. 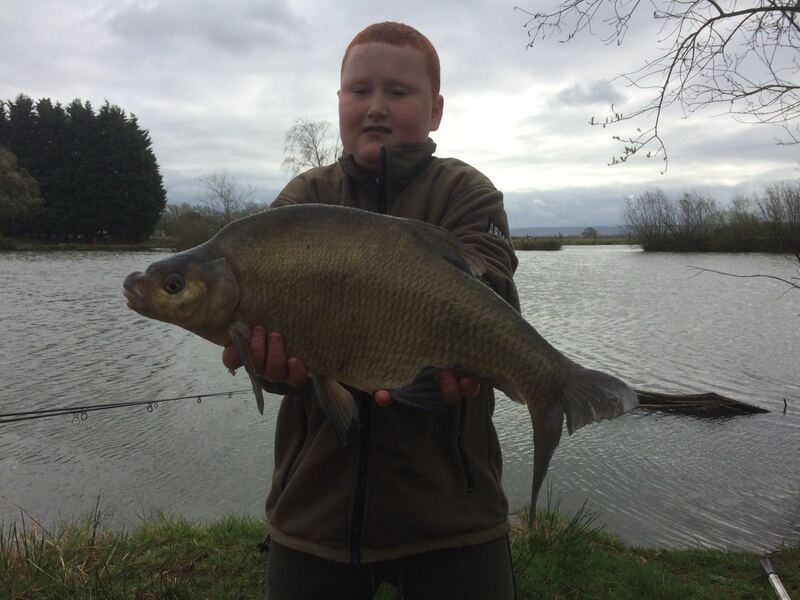 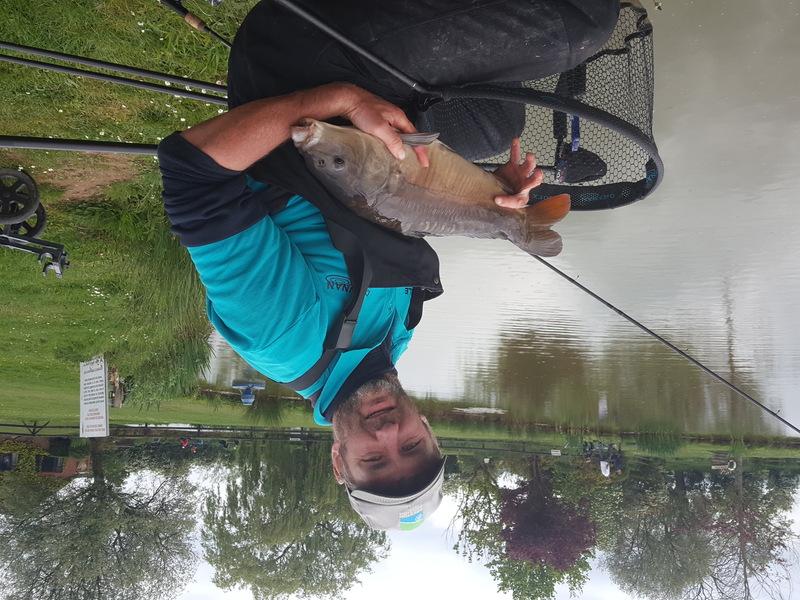 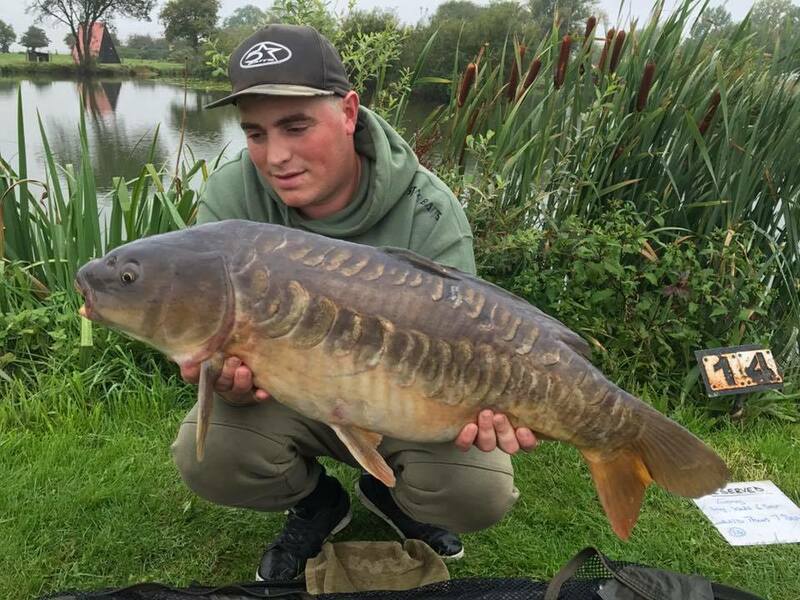 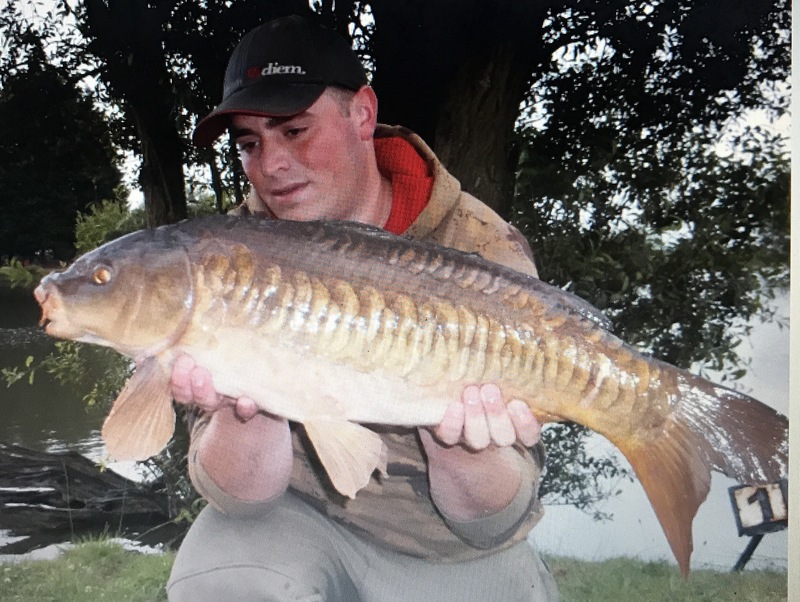 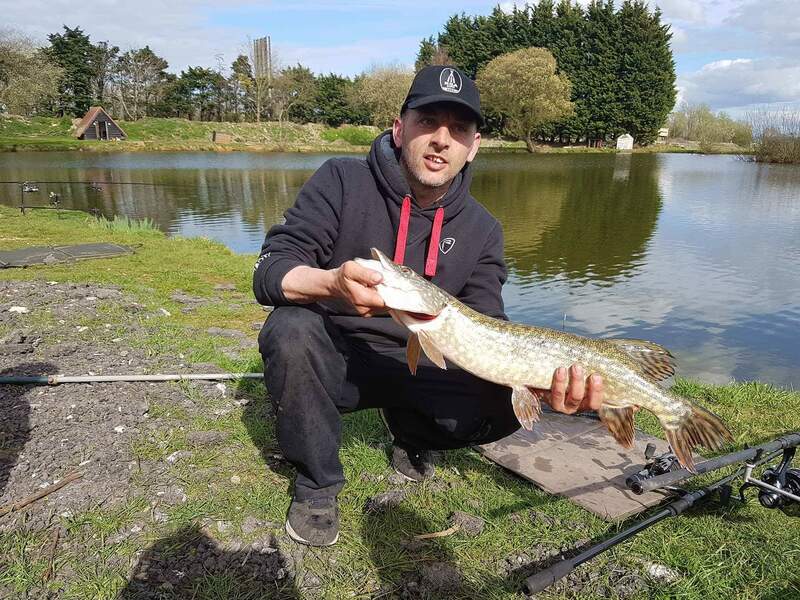 Dominic Vallance fishing the Specimen Lake on swims 4 & 5 for 24 hours caught some cracking fish well done from the Milton Pools Team. 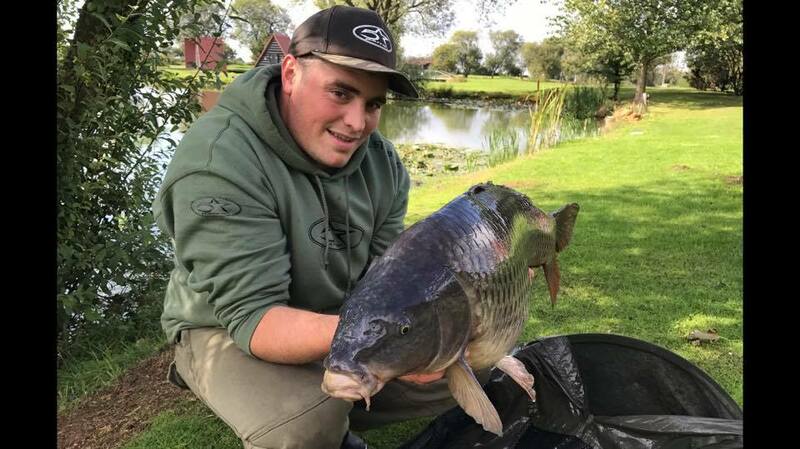 Colin Morris doing a five day session swims 10 & 11 on the Specimen lake Caught a total of 15 Carp with the biggest being a mirror weighing just under 27lbs. He also caught an outstanding 22lbs 8oz linear, followed by four Commons weighing 24lbs,23lbs,21lbs 4oz and 20lbs 2oz, respectively. 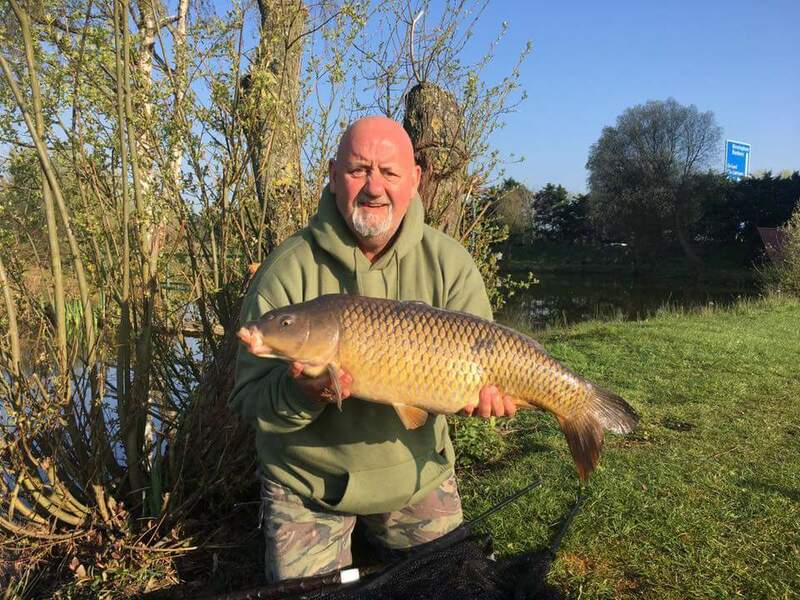 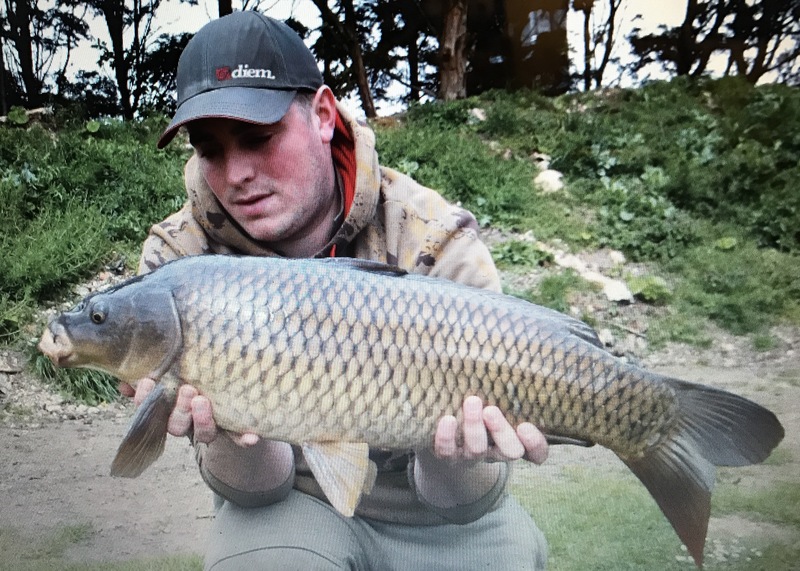 Colin Morris swim 10 on the Specimen Lake Caught some Splendid fish including the following, Two 12lbs Common, 22lbs 8oz Common, 23lbs Common, 24lbs Common and an 18lbs 4oz Mirror, Colin also had a Session making 30lbs 8oz Common Carp. Colin Morris swims 8 & 9 on the Specimen Lake, Once again had a eventful 48 hours caught some beautiful fish including 7 Commons weighing 12lbs, 12lbs 4oz, 14lbs 2oz, 15lbs 4oz, 16lbs, 23lbs and 24lbs, Along with 4 remarkable Mirrors weighing the following 10lbs 2oz, 14lbs 12oz, 15lbs and 15lbs 2oz. 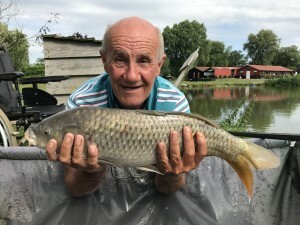 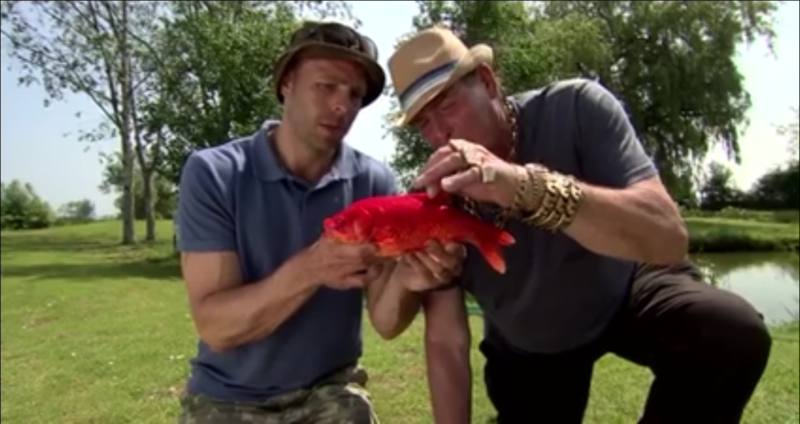 Well done Mr Morris from us here at Milton Pools Fishery. 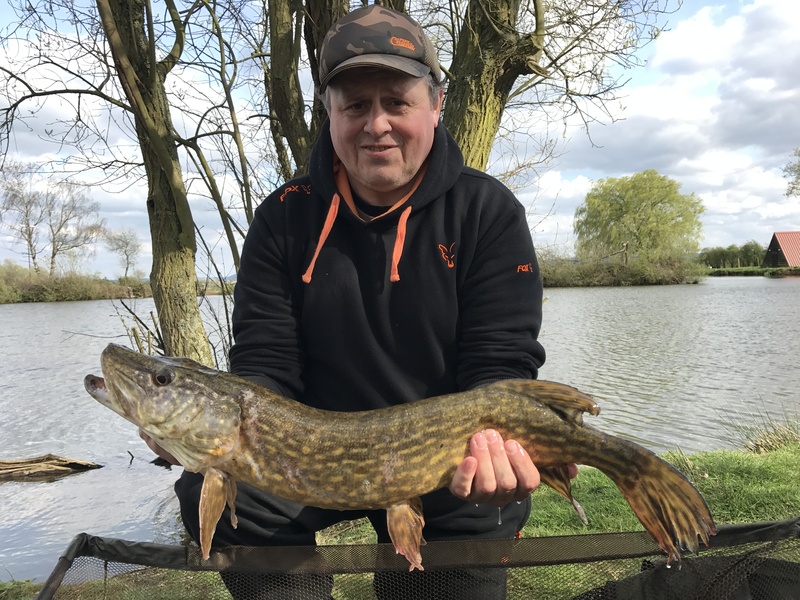 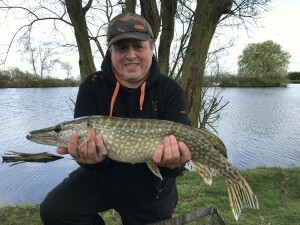 Milton Pools regular Colin Morris fishing swims 13 & 14 on the Specimen Lake for 48 hours caught some impressive fish including, 5 Commons weighing 14lbs 4oz, 15lbs, 16lbs 14oz, 17lbs and a 19lbs 4oz. 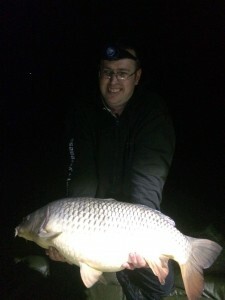 A stunning 20lbs Ghostie along with 3 Mirrors at 21lbs, and 22lbs along with a lovely fully scaled 14lbs Mirror. 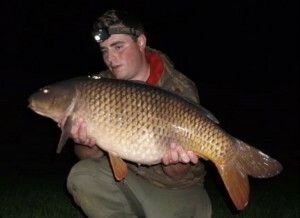 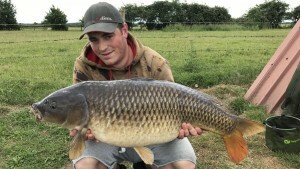 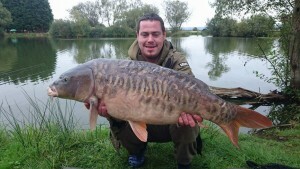 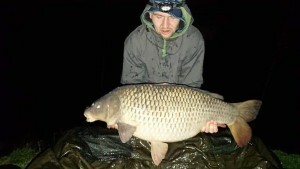 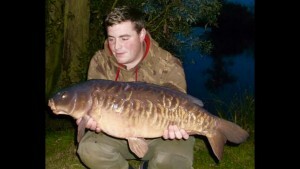 His session was then topped off with an outstanding 21lbs Linear. 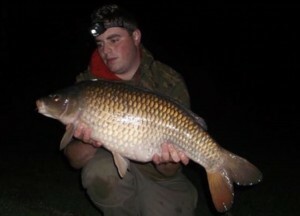 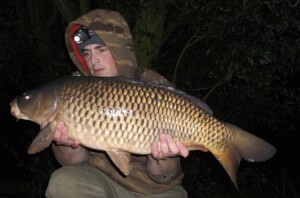 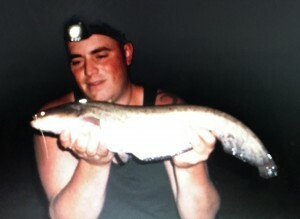 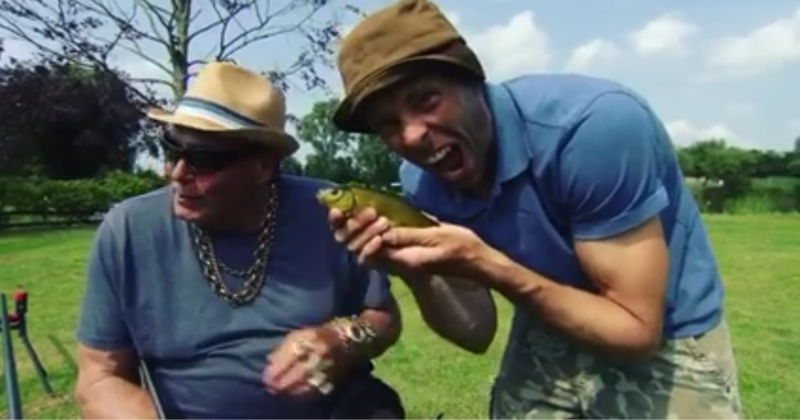 Once again showing that small baits and small hooks along with little and often feed produces results. 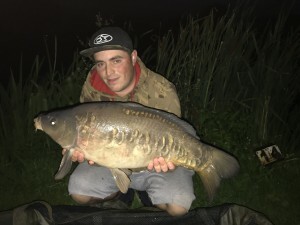 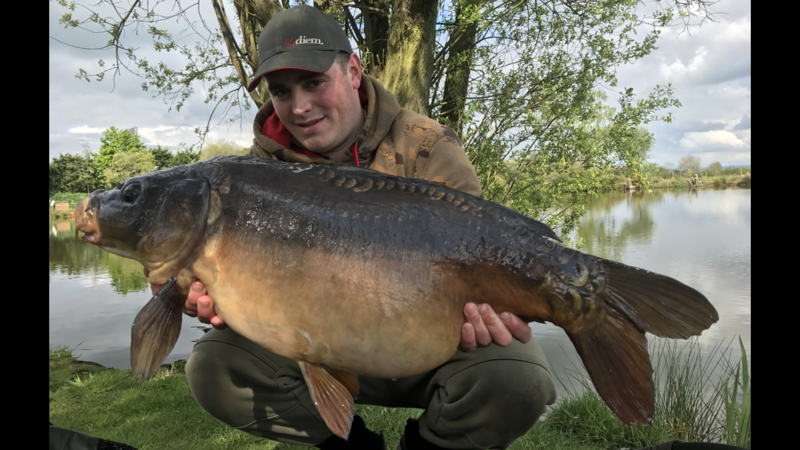 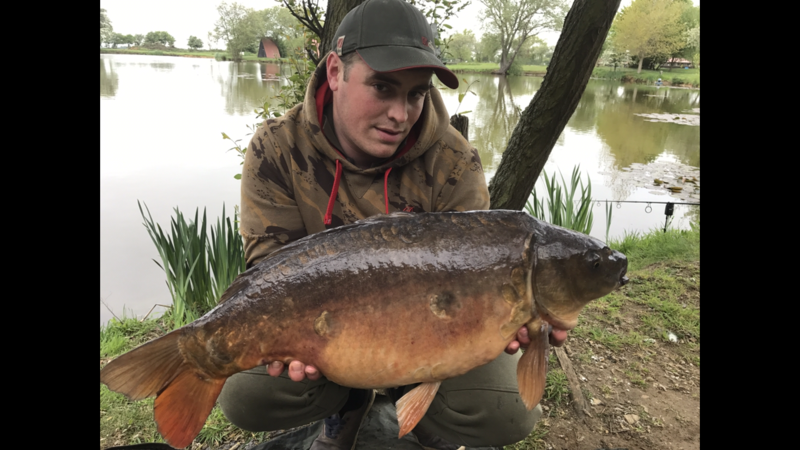 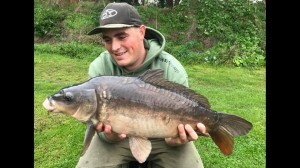 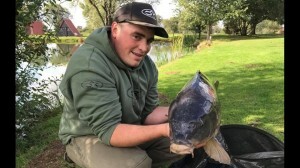 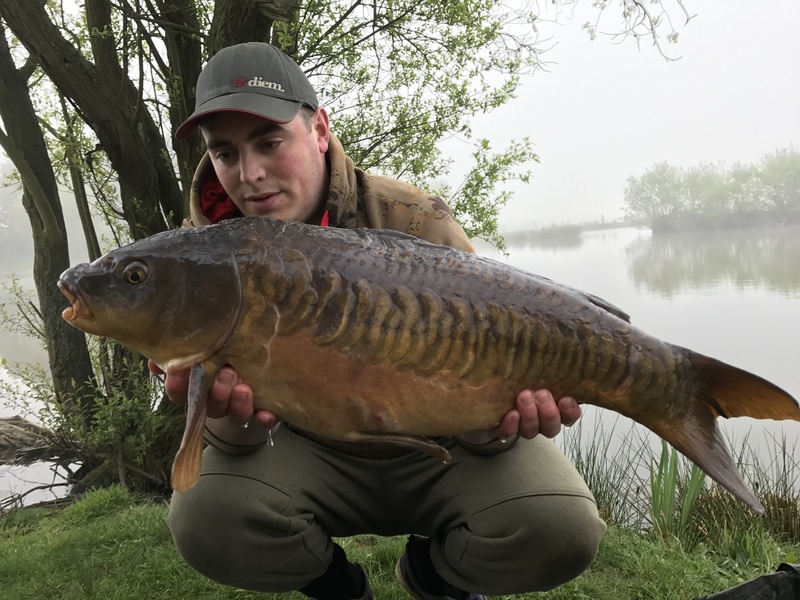 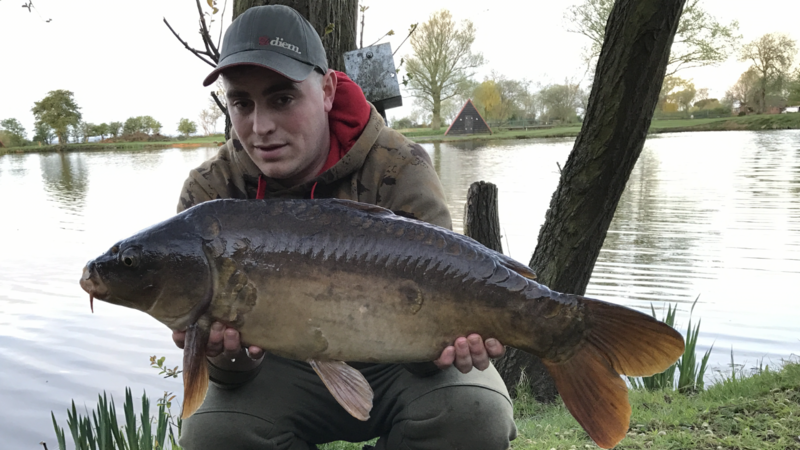 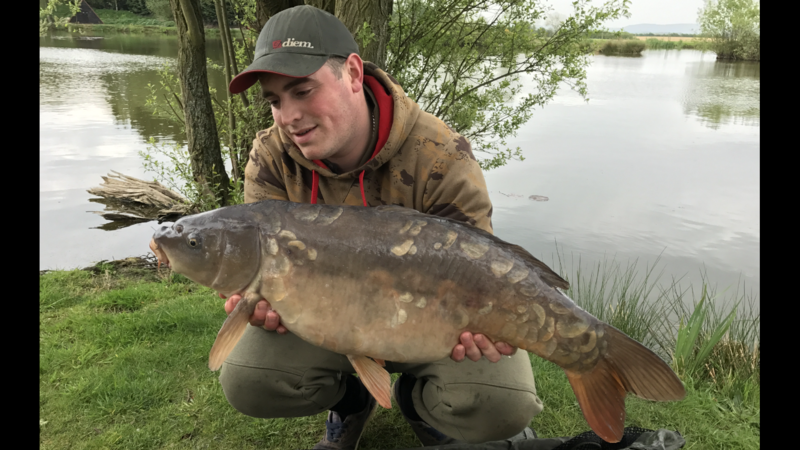 Danny Myers enjoyed a fruitful first session at Milton Pools Fishery whilst fishing on peg 3 of the House Lake for 24hours and was rewarded with 13 Carp a biggest of 17lbs, some of which can be seen above, capping off a thoroughly enjoyable experience. 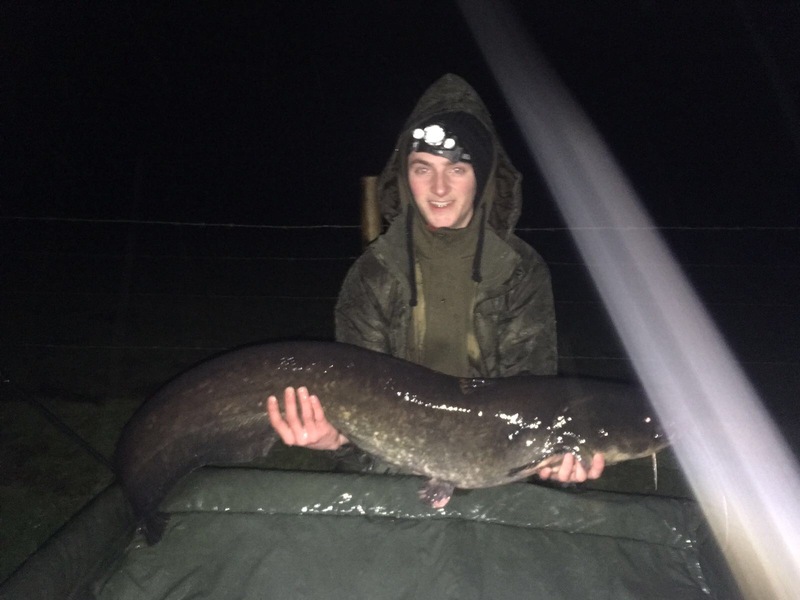 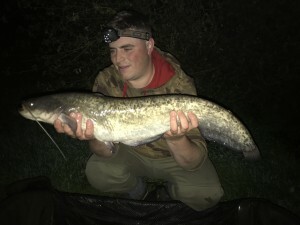 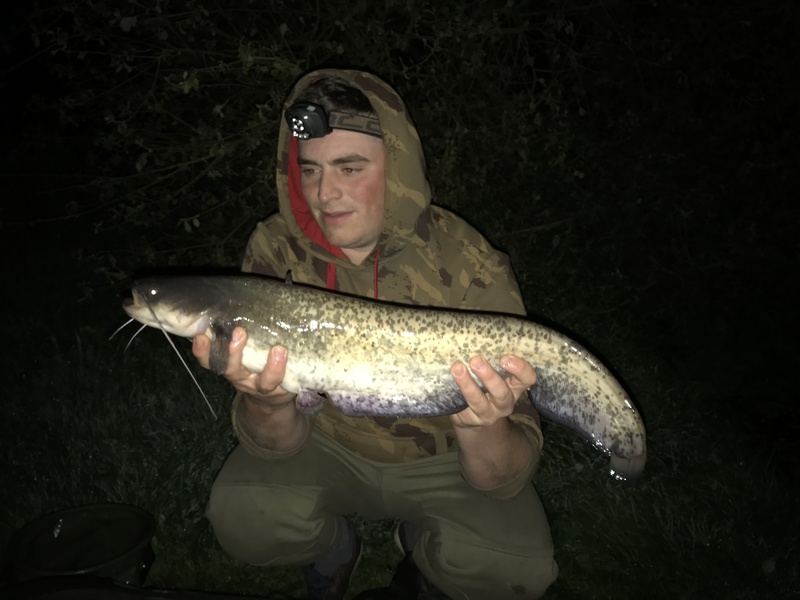 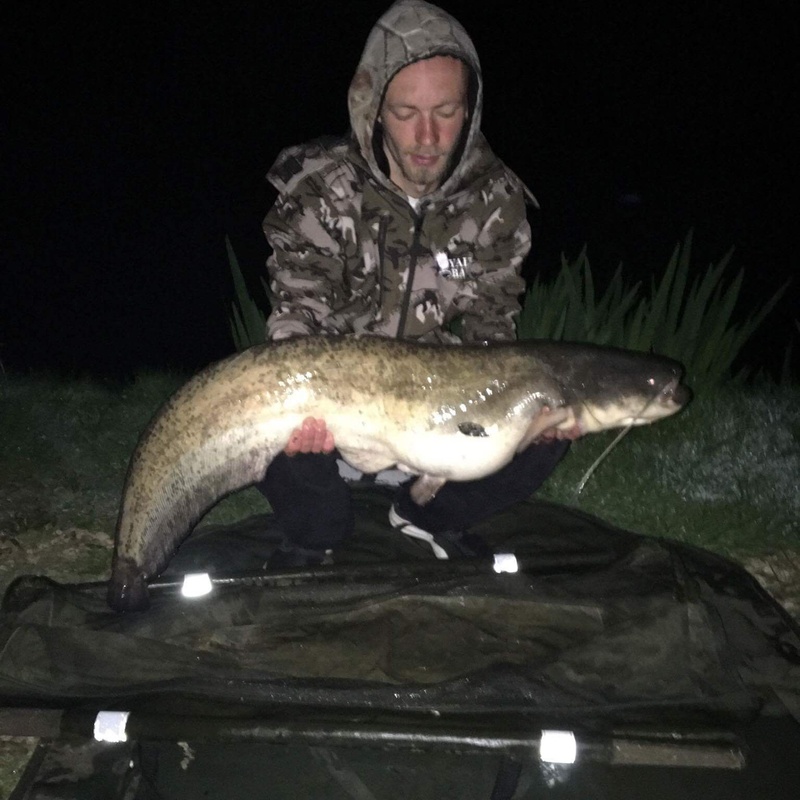 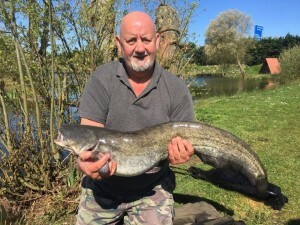 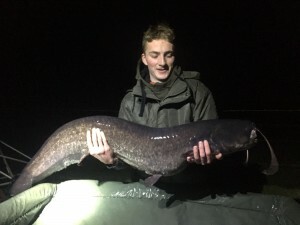 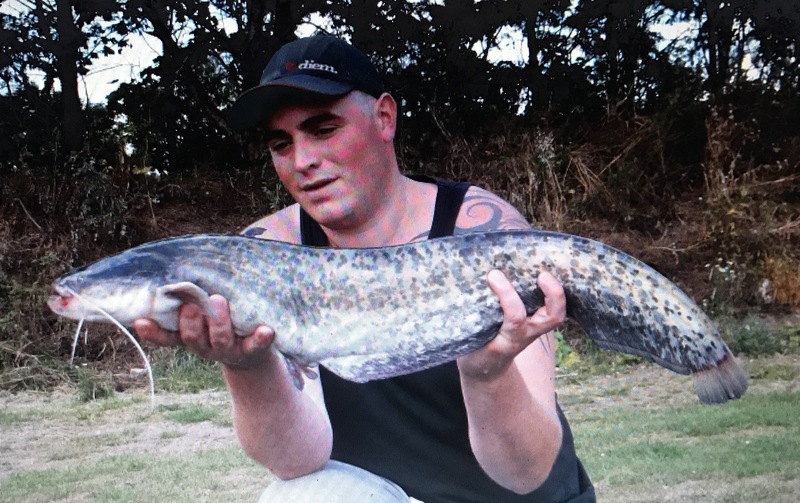 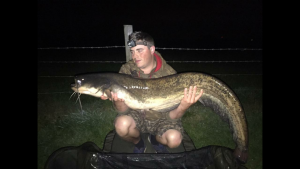 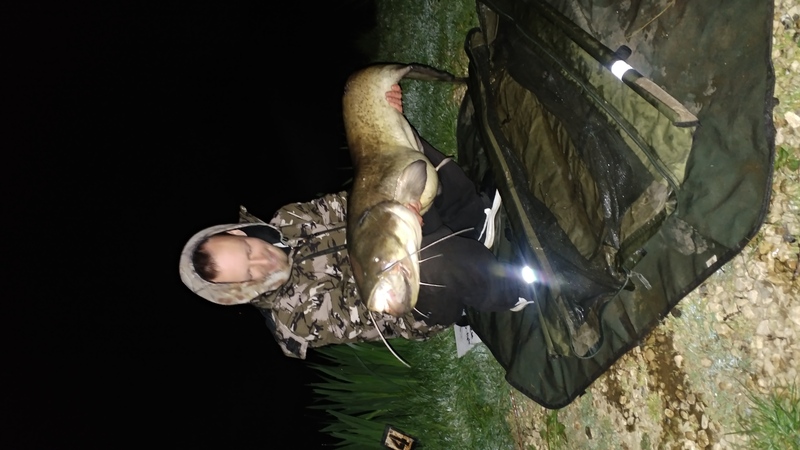 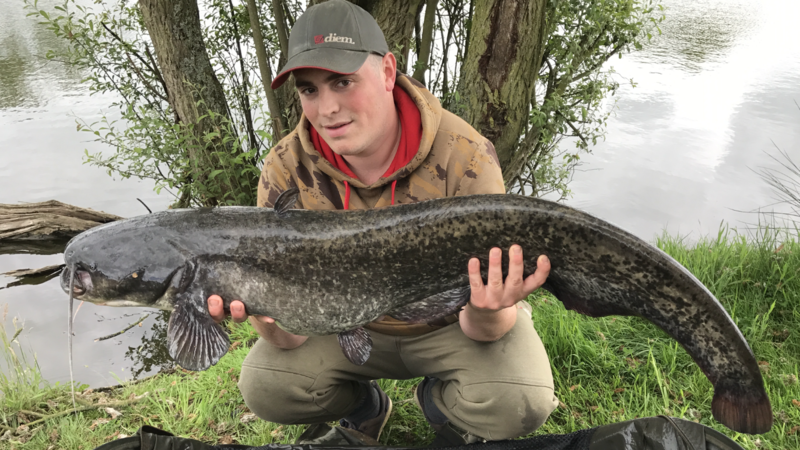 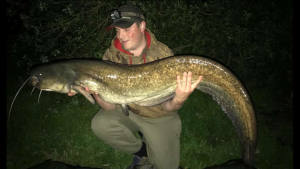 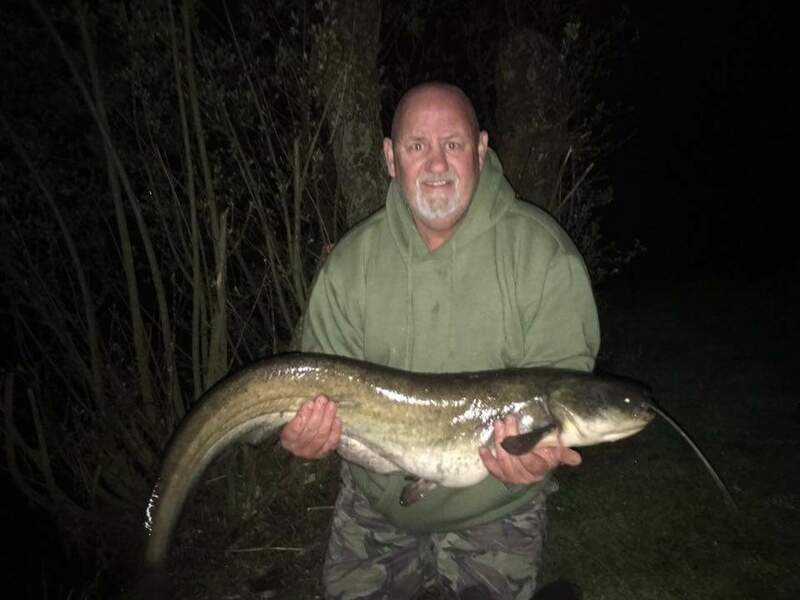 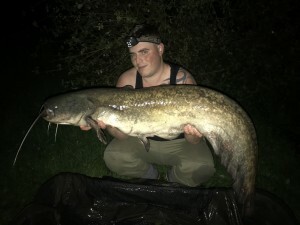 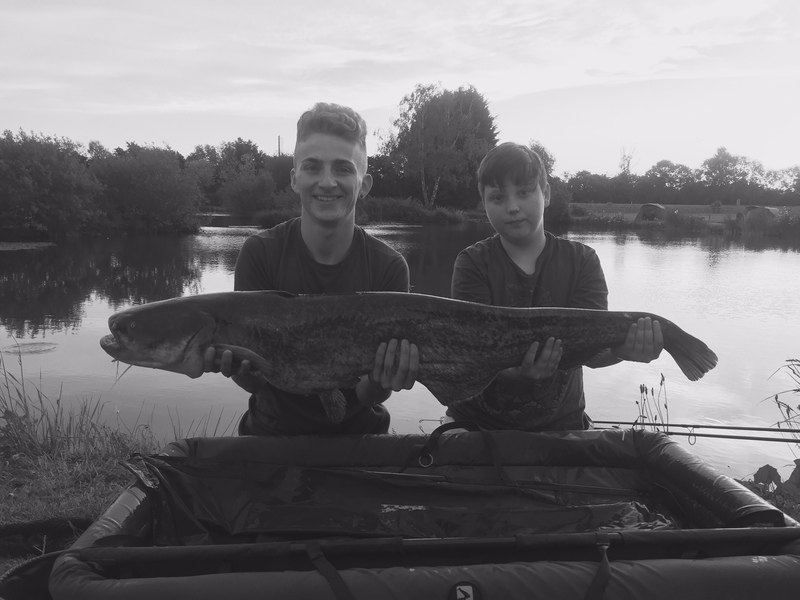 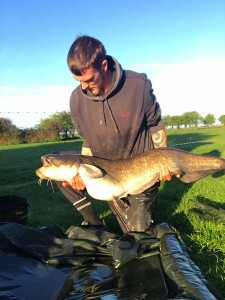 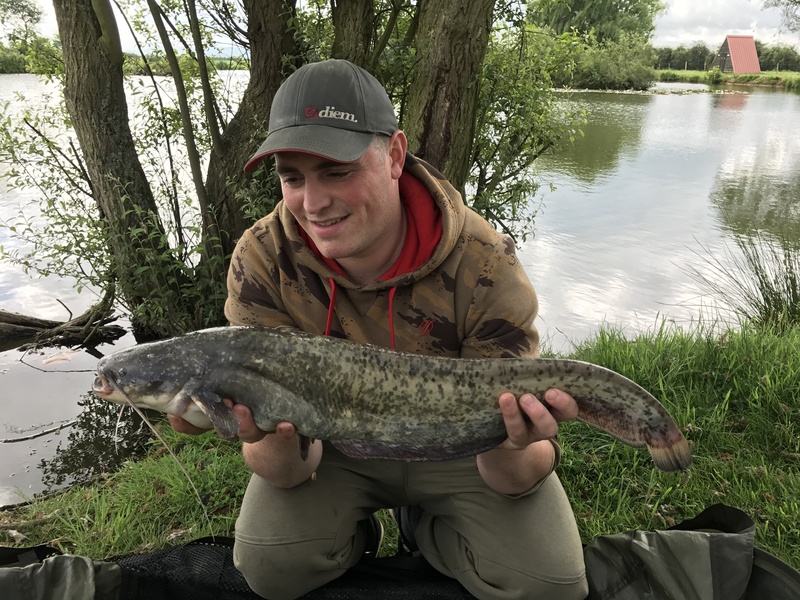 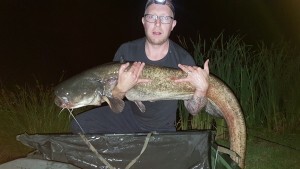 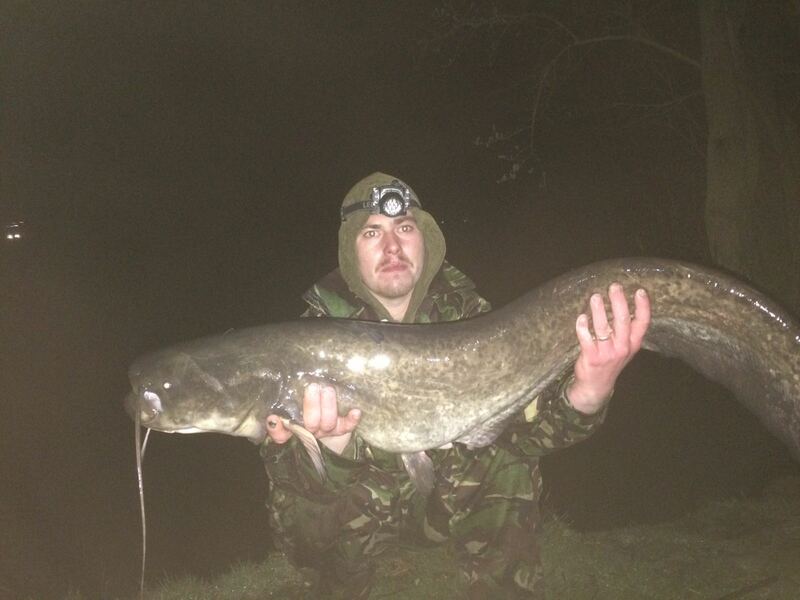 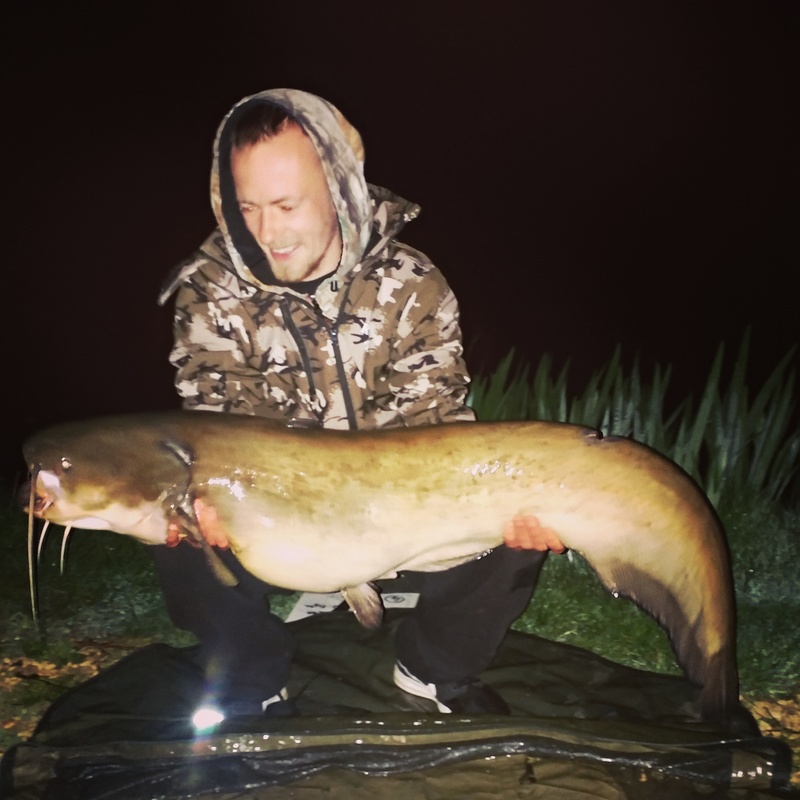 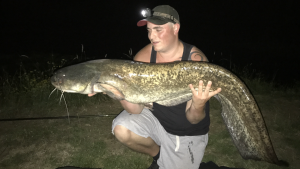 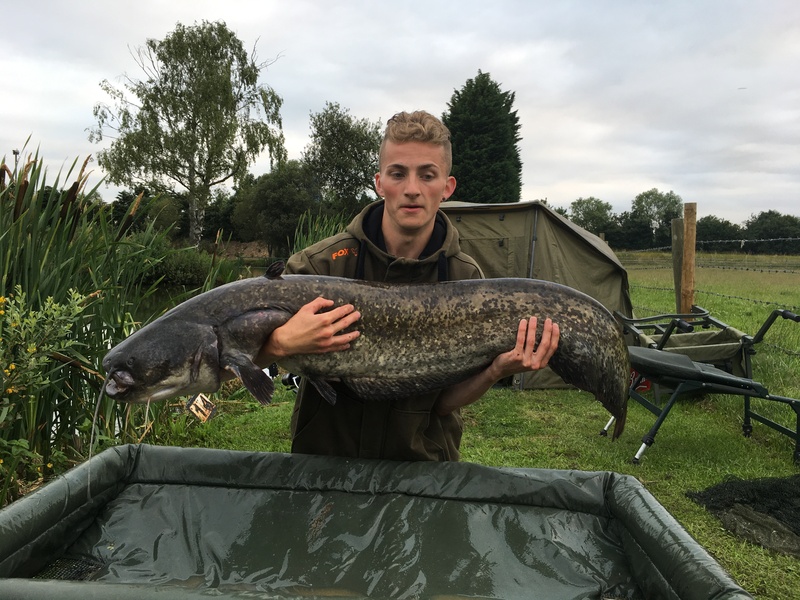 Rob Morris fishing swims 13 & 14 on the Specimen Lake with his son Colin Caught some outstanding Catfish weighing in at 39lbs, 37lbs 7oz and 30lbs 12oz massive well done from the Milton pools Team. 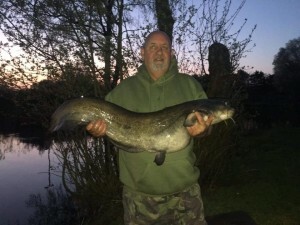 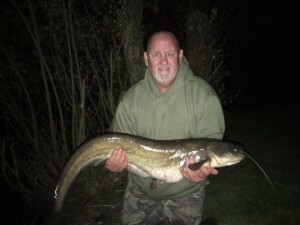 Mr Morris once again caught some incredible fish on the Specimen Lake swims 13 & 14 including a 27lbs Catfish, 17lbs 2oz Mirror and 3 Commons weighing 20lbs 4oz, 15lbs 6oz, 14lbs 4oz. 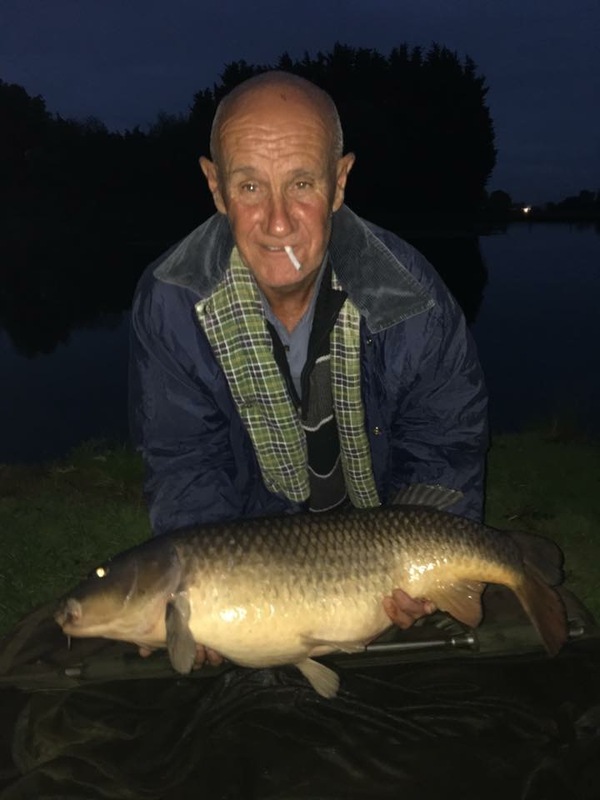 John Humphrey, a Milton Pools regular (part of the furniture) who upgraded to the big boy lake fished swims 4 & 5 after Colin caught his first specimen carp weighing 24lbs 4oz, what a beautiful catch Well done John!! 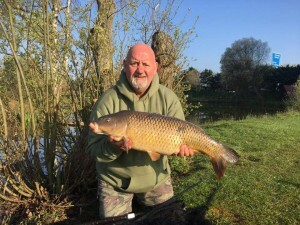 Swim 4 & 5 on the Specimen Lake, In 48 Hours Colin Morris Caught 6 Stunning fish with lovely Colours & Pattens including an 18lbs Brown Koi, 14lbs 4oz Common and 14lbs Mirror. 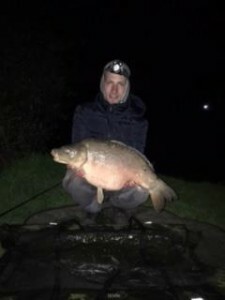 Colin Morris on swims 13 & 14 on the Specimen Lake for 48 hours, Our Regular Angler Caught some incredible fish including these two fully scaled Mirrors weighing 26lbs & 18lbs His catch also included 17lbs Mirror, 16lbs 12oz Common, 15lbs 4oz Common, 14lbs Common,12lbs common and a 15lbs chagoi some fantastic catches well done! 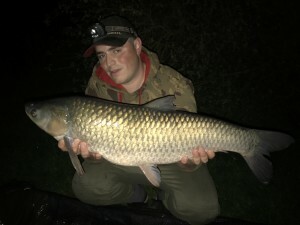 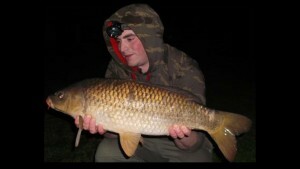 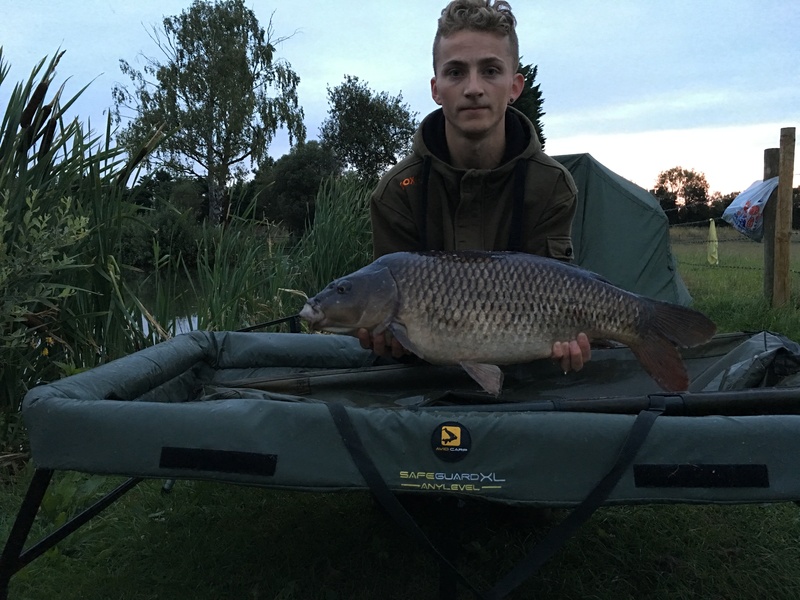 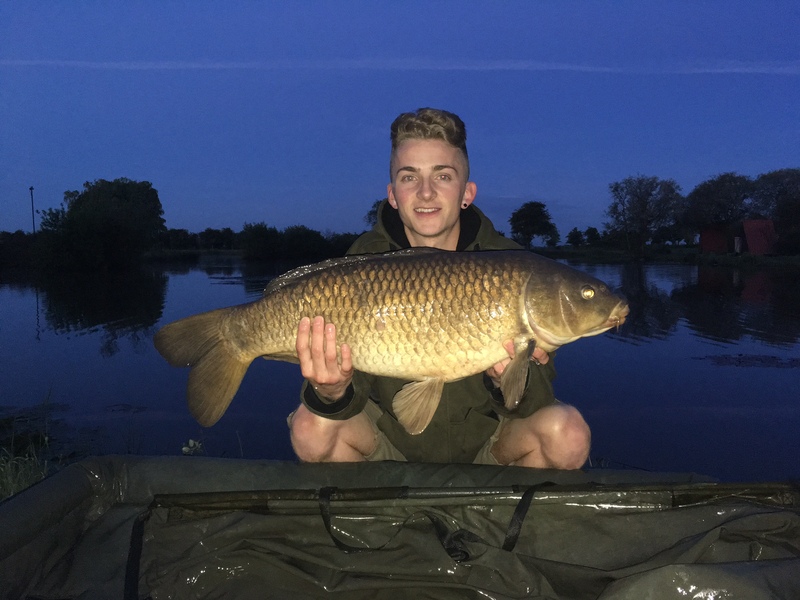 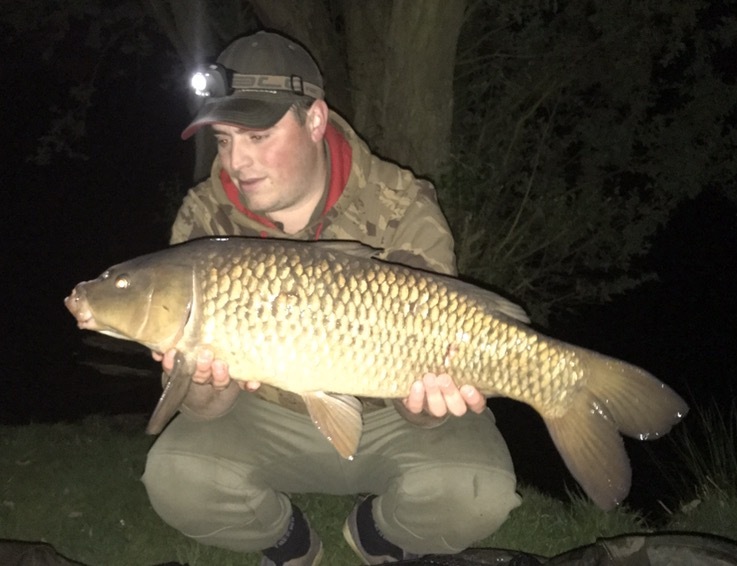 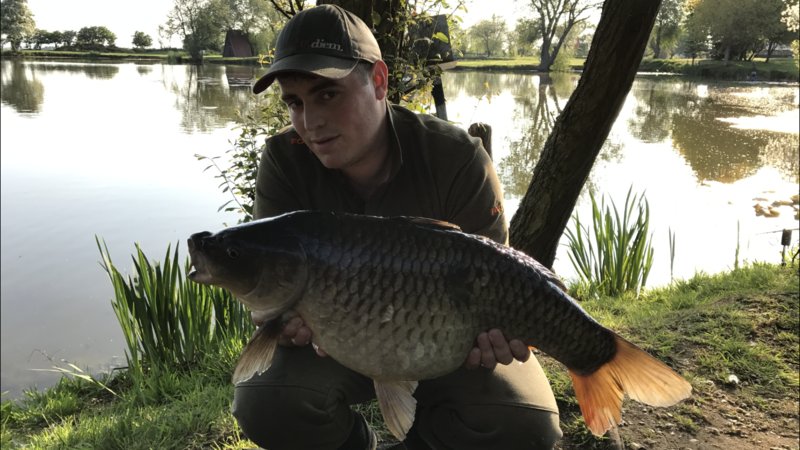 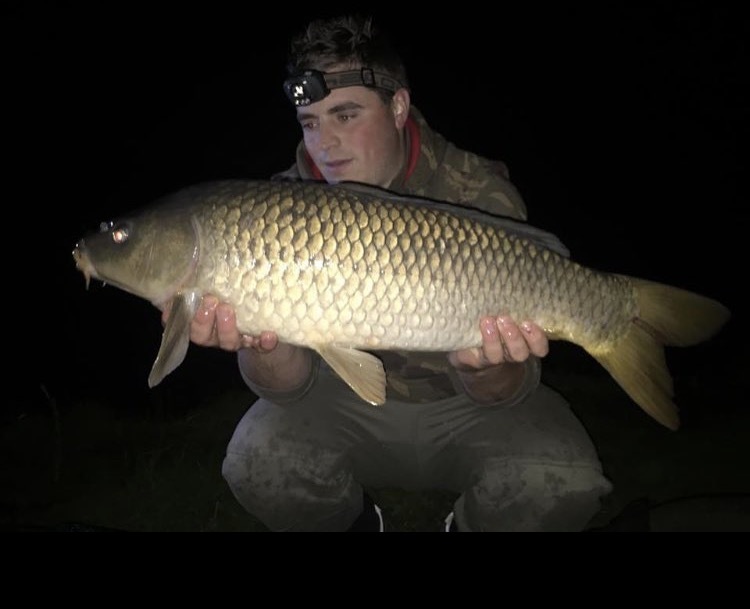 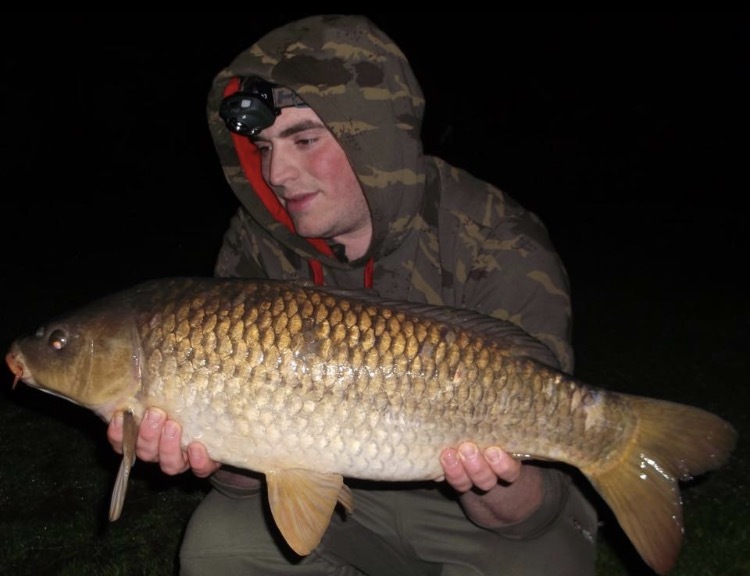 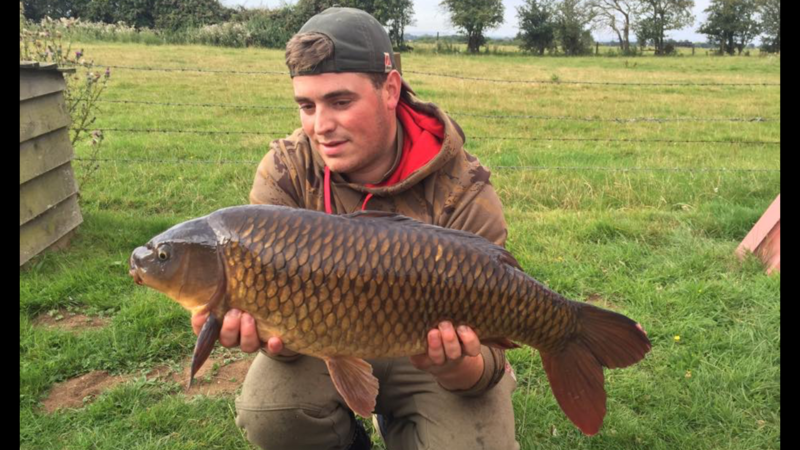 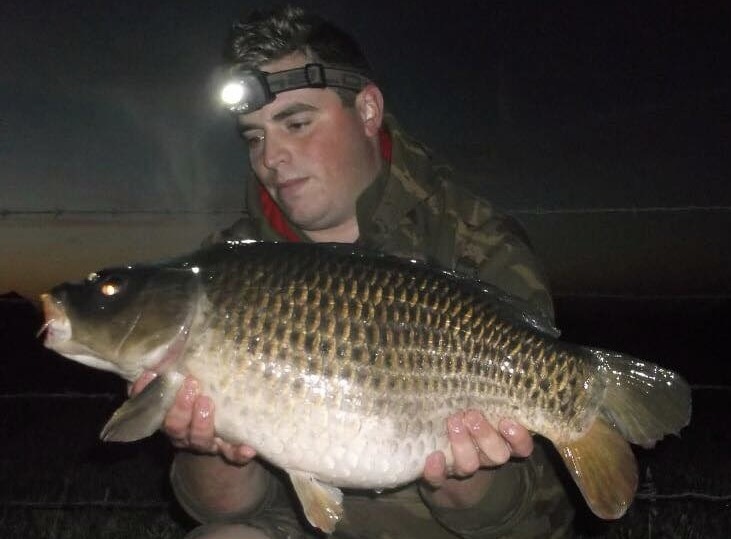 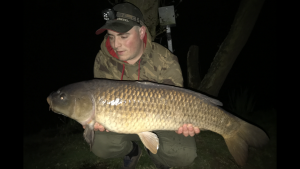 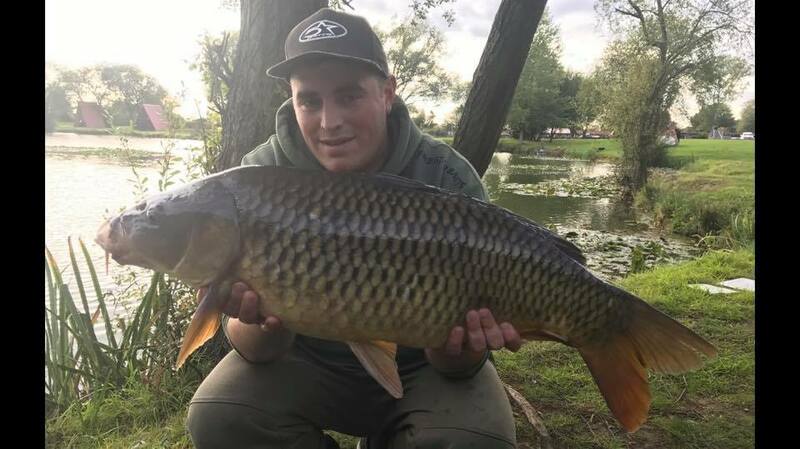 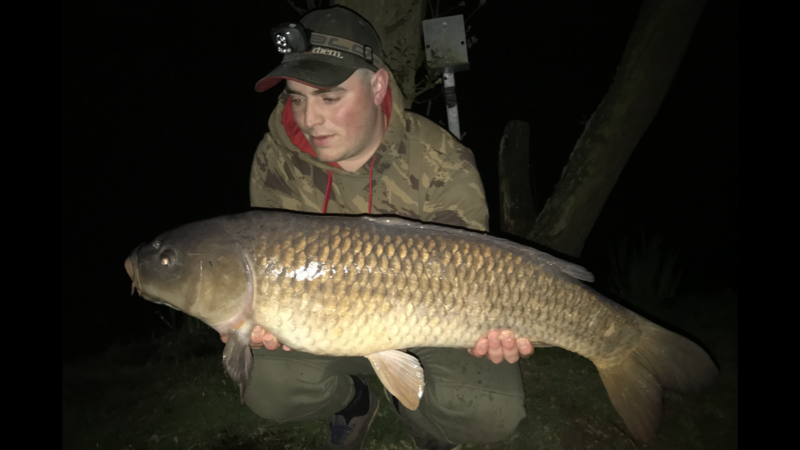 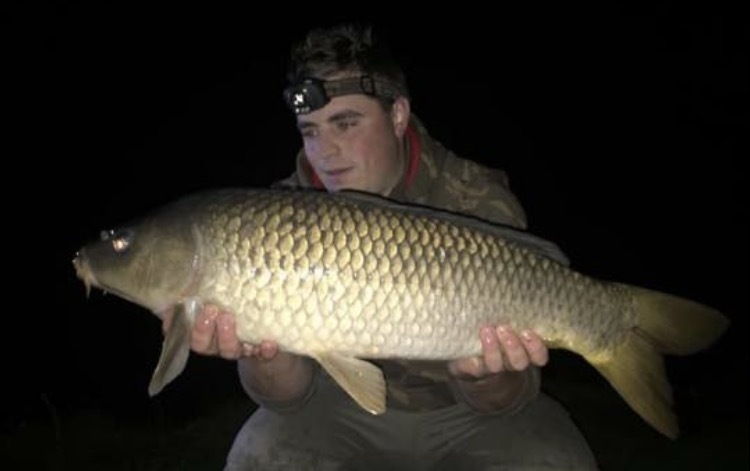 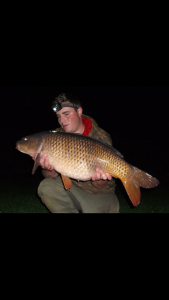 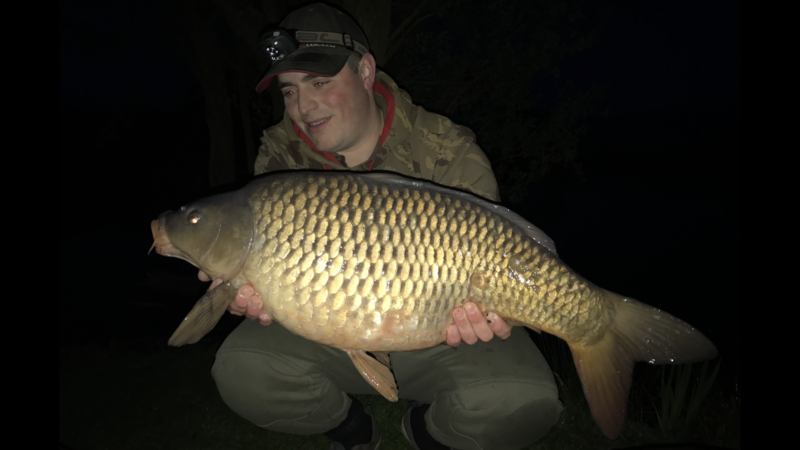 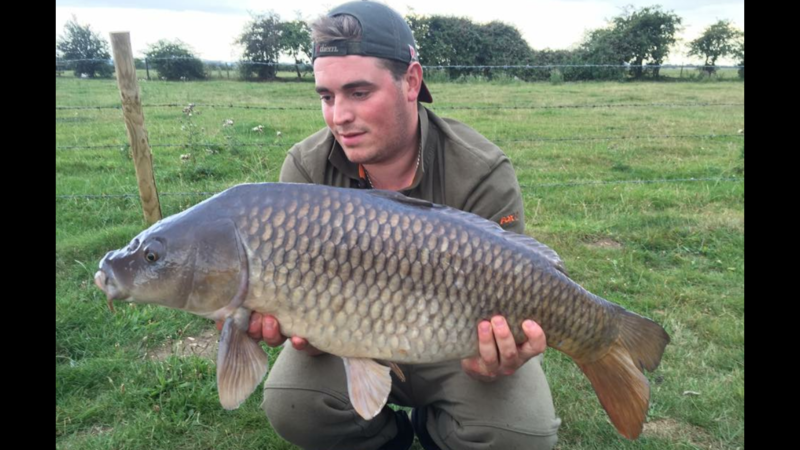 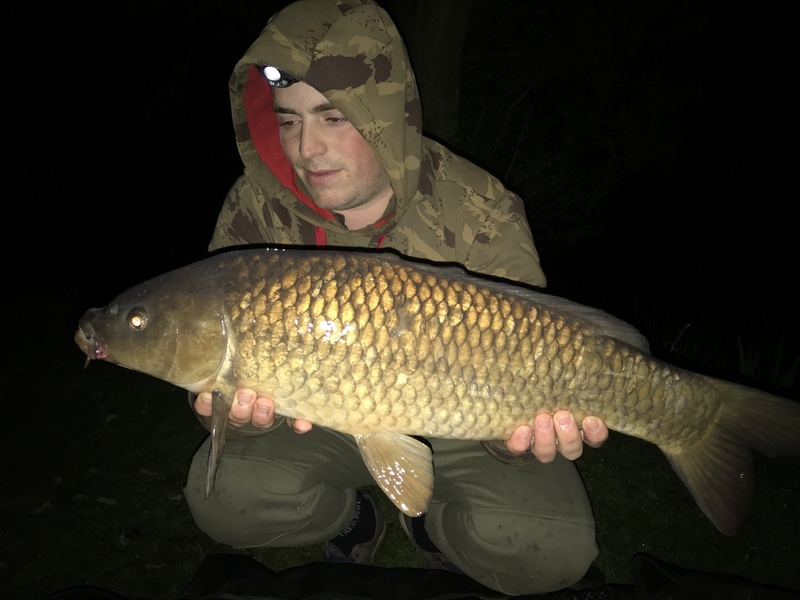 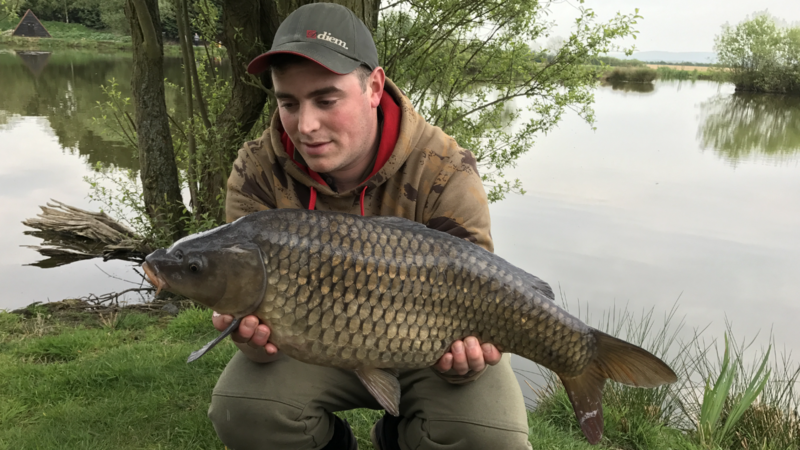 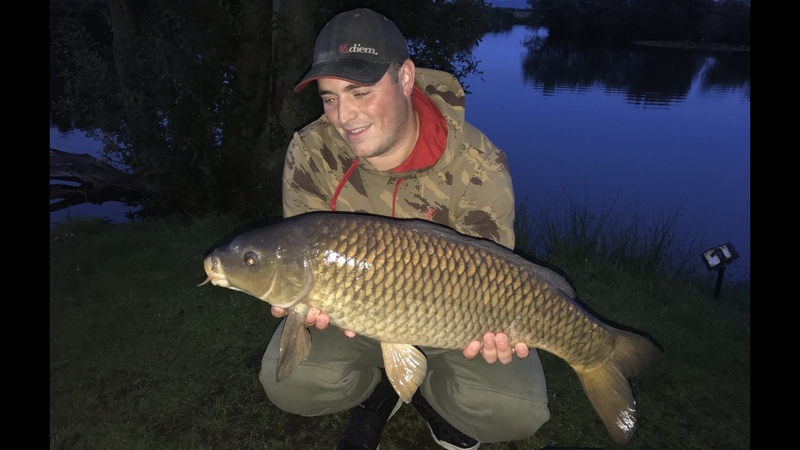 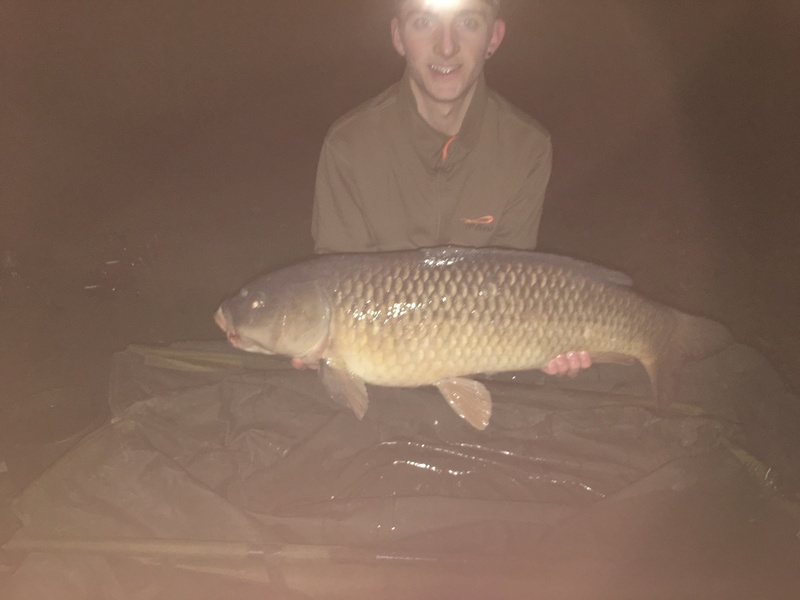 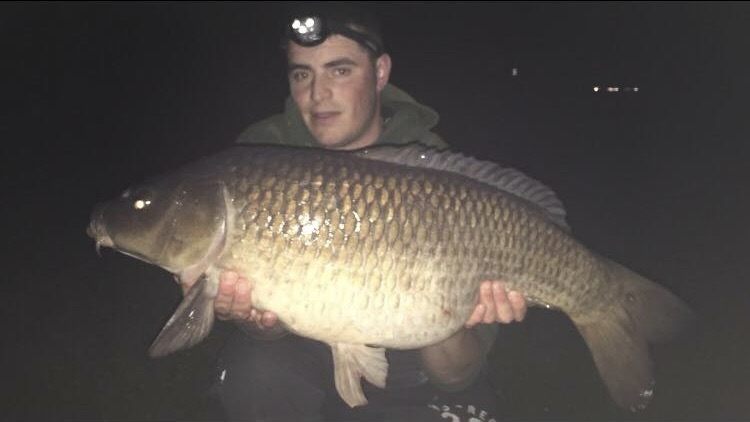 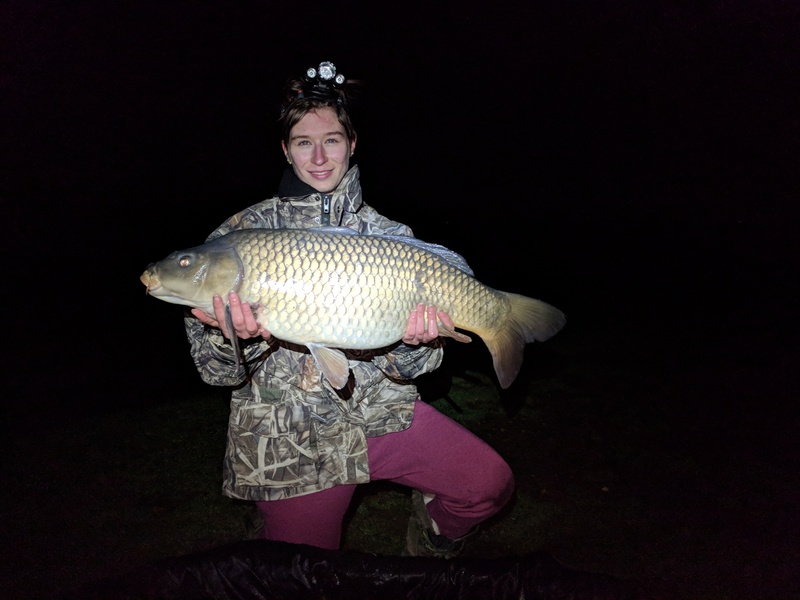 Josh Noall fishing midweek on the Specimen Lake swim 14, had two lovely catches with this 10lbs 5oz Common and 8lbs 12oz Common. 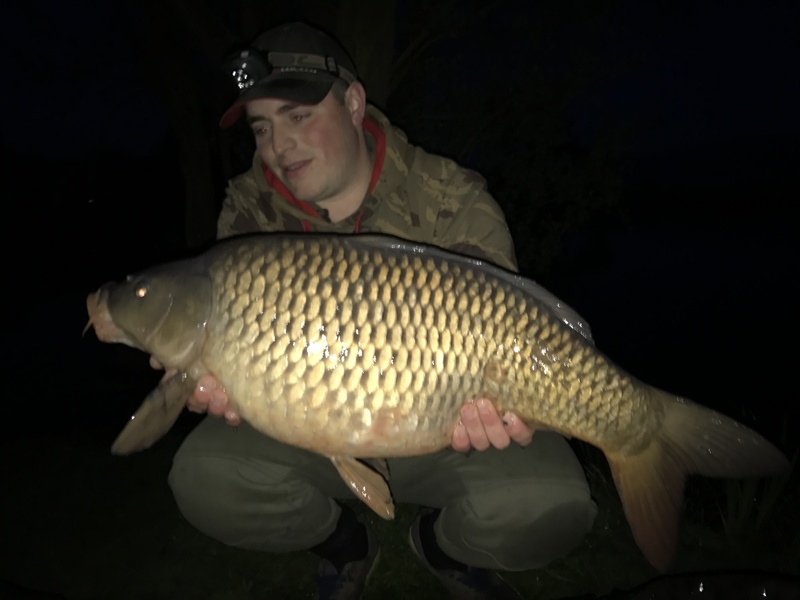 Colin Morris fishing the Specimen Lake for 36 Hours on swims 13 & 14, Caught some beautiful fish including this 19lbs 6oz Common, 18lbs 4oz Common, 17lbs 14oz Common, 17lbs 12oz Common, Two Commons at 18lbs each and an amazing 27lbs 12oz Catfish. 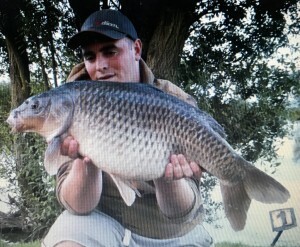 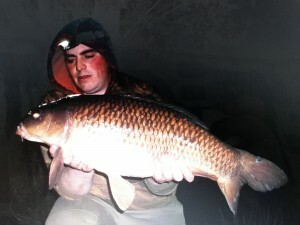 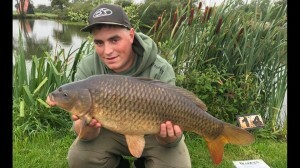 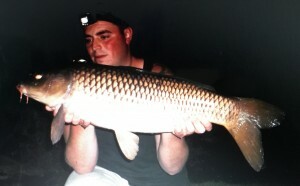 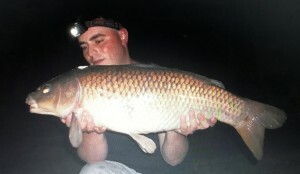 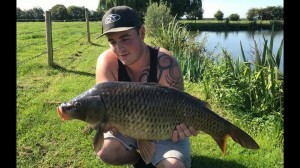 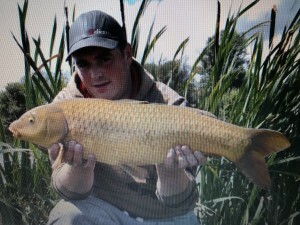 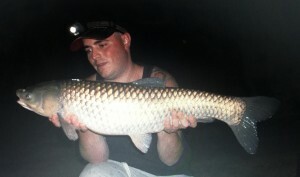 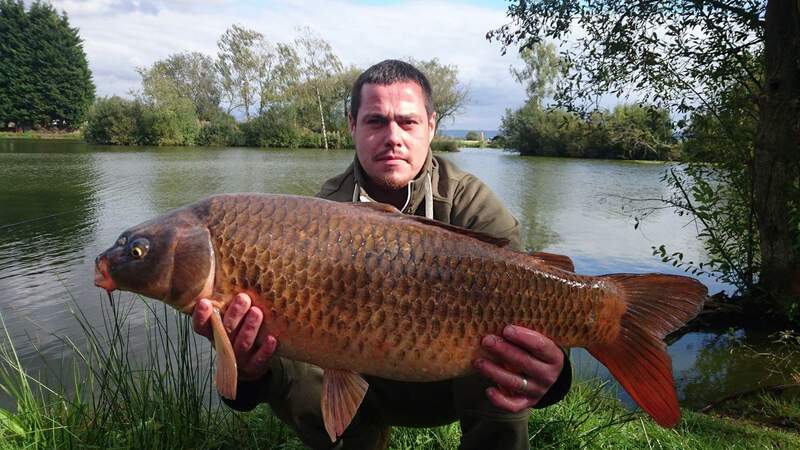 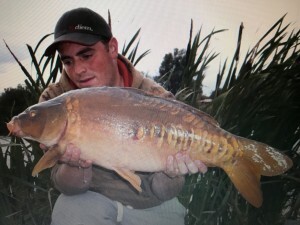 Caught within 10 minutes on the same rod and same location, what a hectic session for one of our regulars. 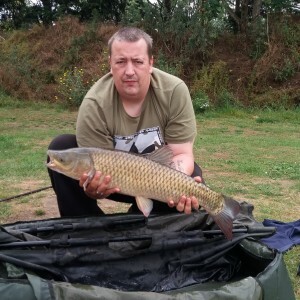 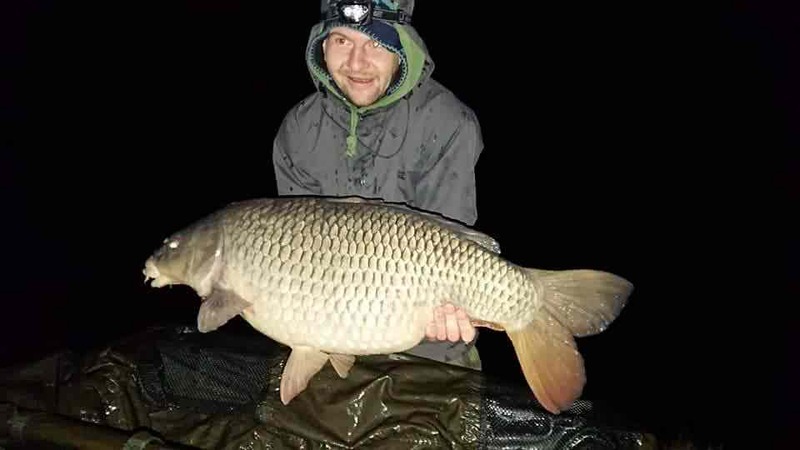 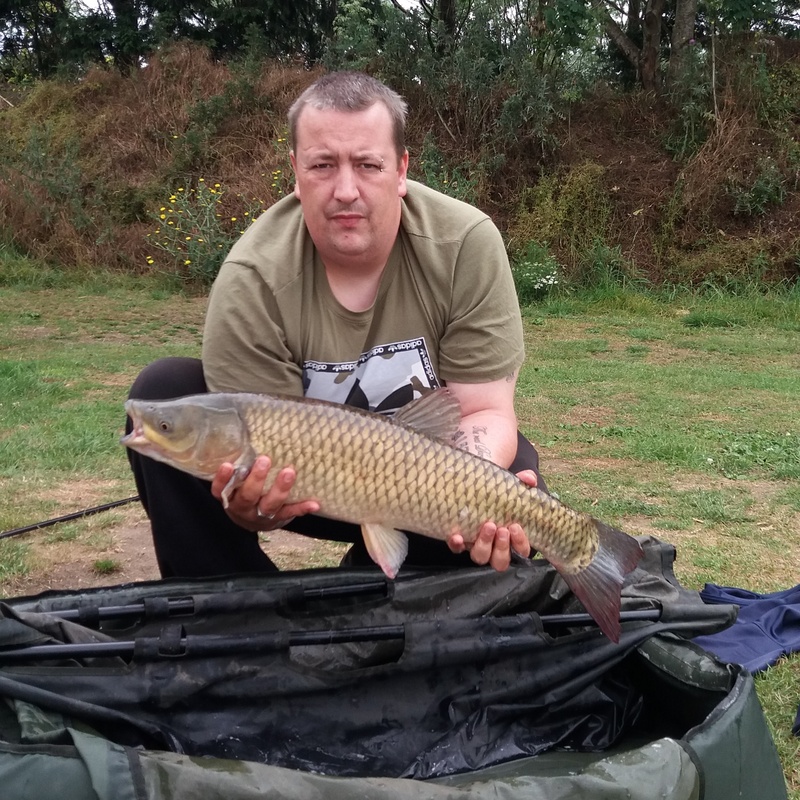 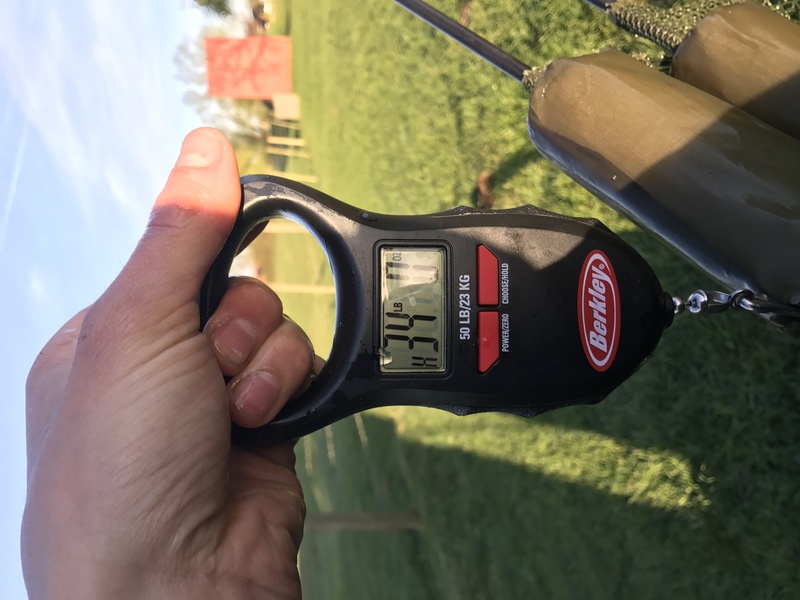 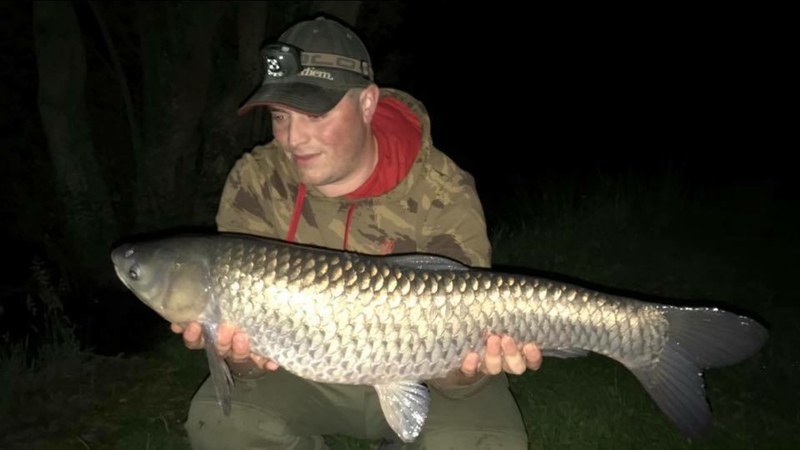 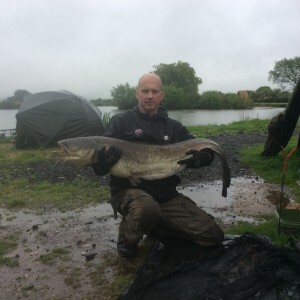 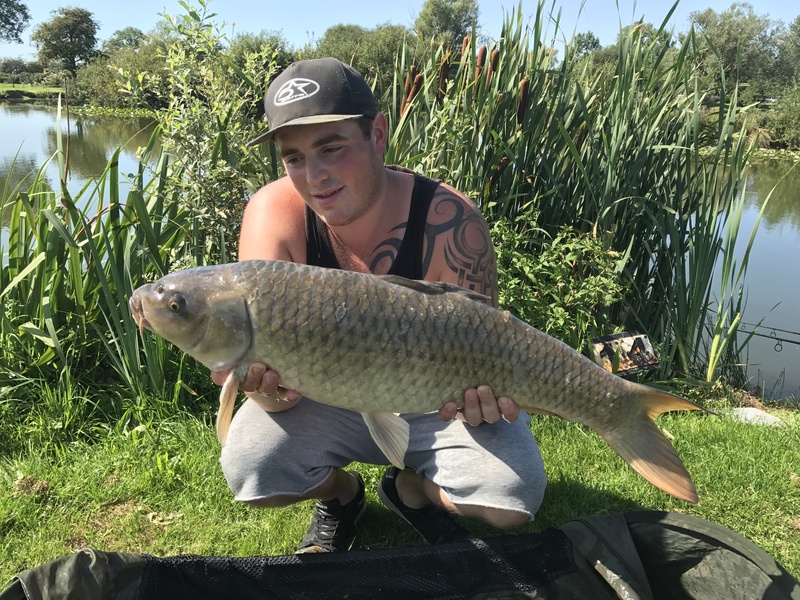 Colin Morris was fishing for 48hours on the Specimen lake swim 1, Caught some outstanding fish including, 16lbs Linea, 16lbs 4oz Koi, 17lbs Grass Carp, Two Mirrors weighing 26lbs 12oz & 16lbs 4oz and 9 Commons, The weights are the following, 24lbs 2oz, 22lbs 2oz, 17lbs 6oz, 17lbs 12oz, 16lbs 2oz, 15lbs 14oz, 15lbs 12oz, 13lbs, 12lbs 2oz. 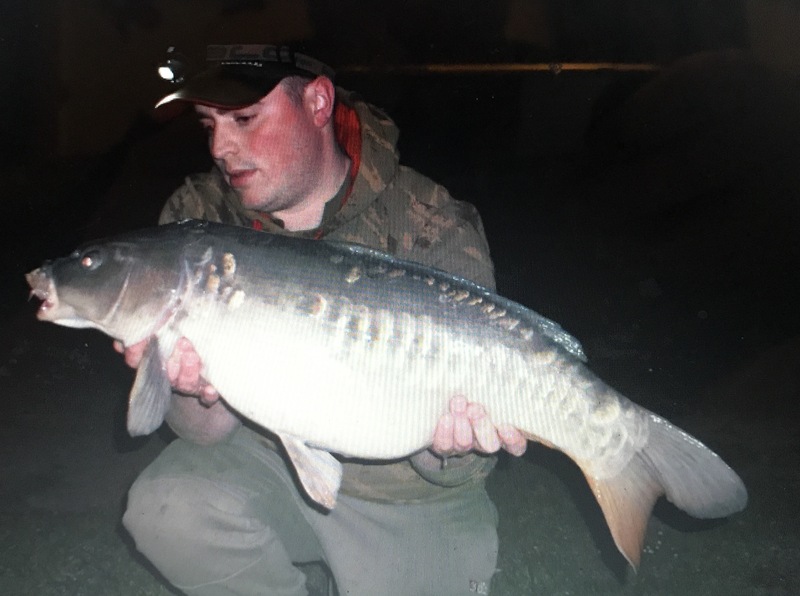 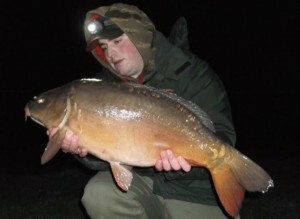 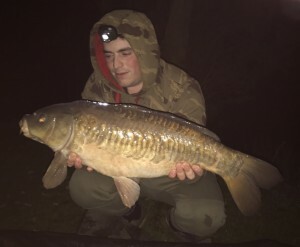 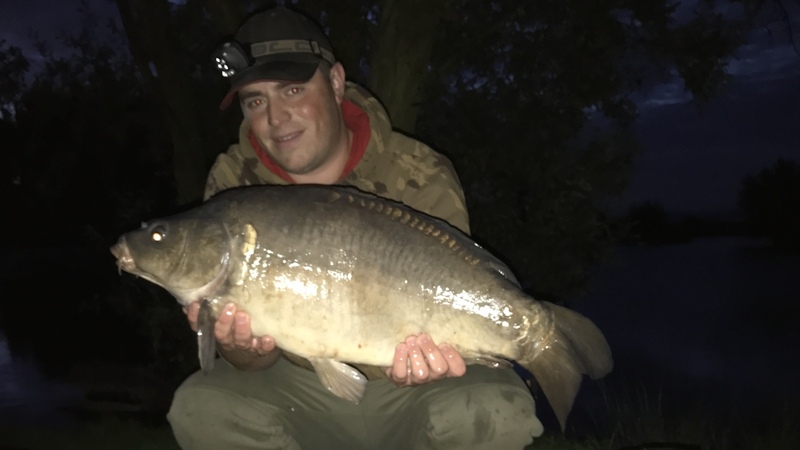 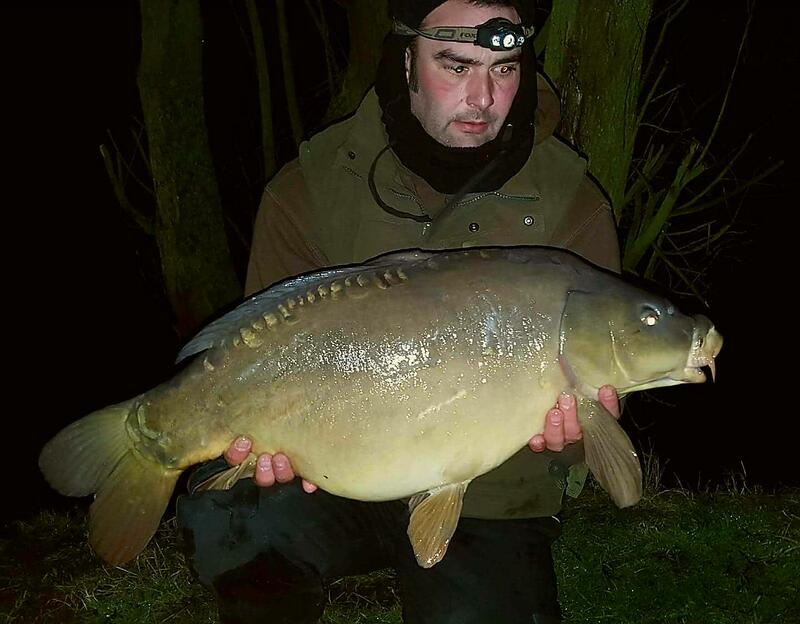 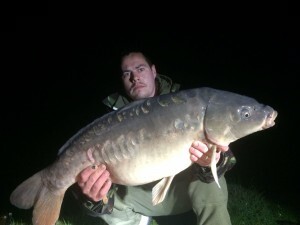 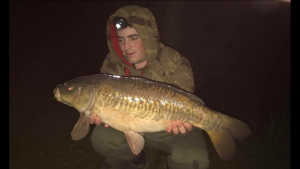 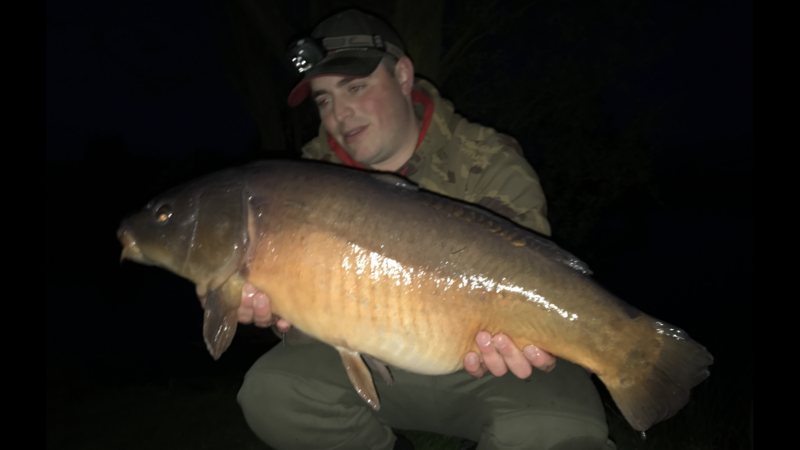 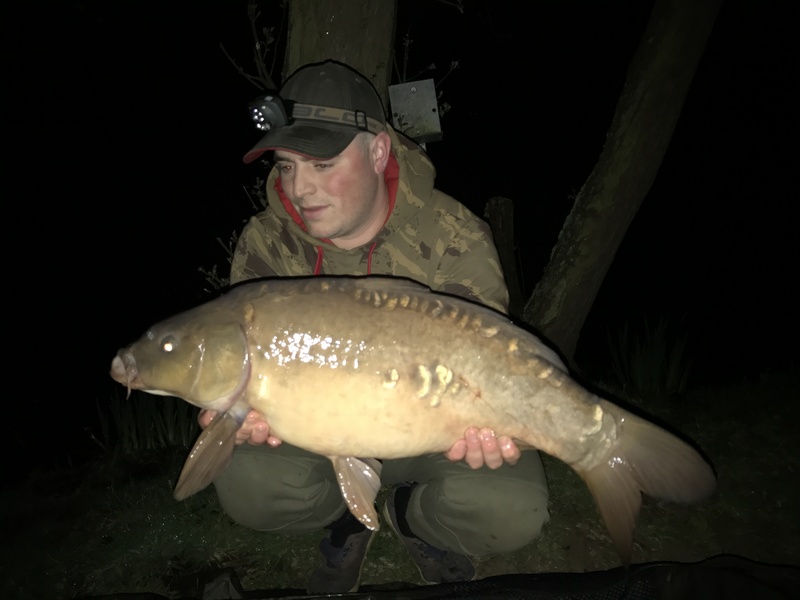 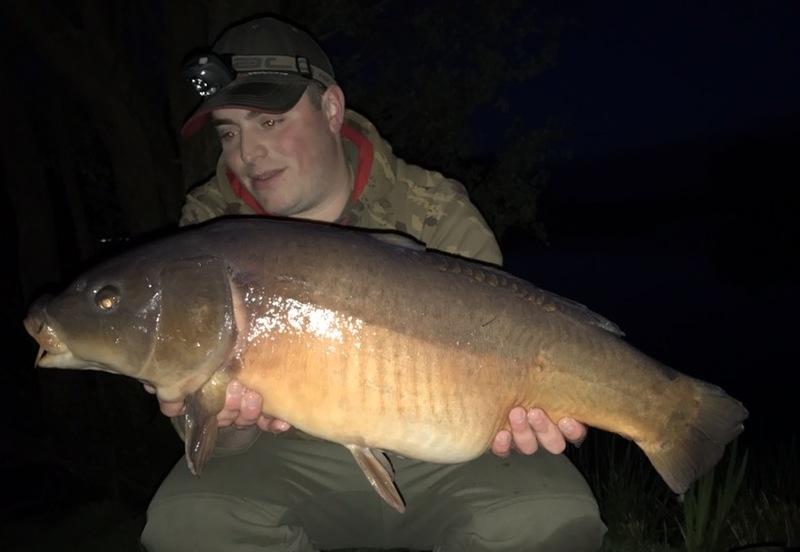 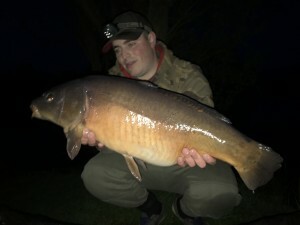 Tom White was fishing swims 4 & 5 on the Specimen Lake for 24 hours, when his snowman rig comprising of a 12mm Tutti Fruitti pop-up over a 15mm Squid boilie produced this lovely 23lbs 10oz Mirror in the early hours of Friday morning. 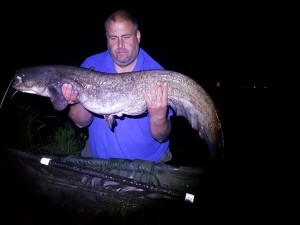 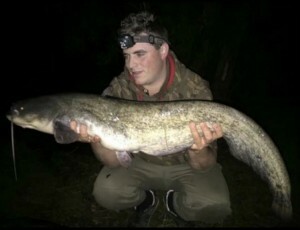 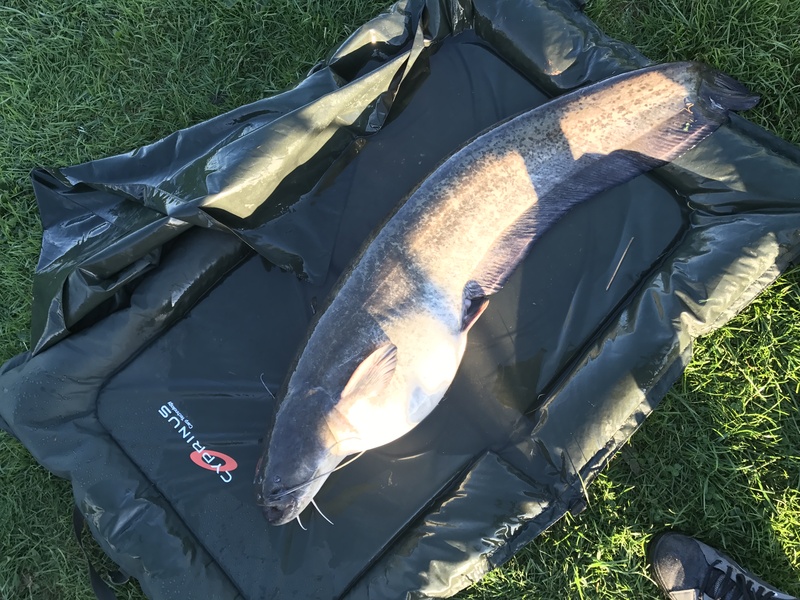 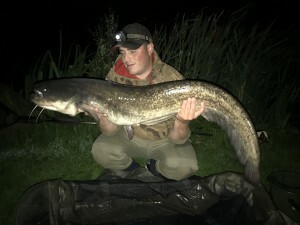 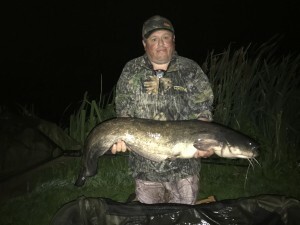 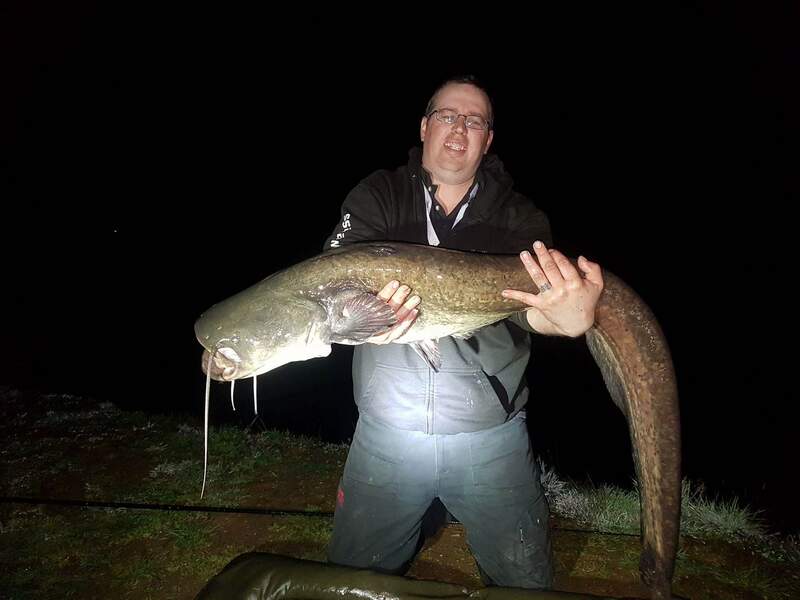 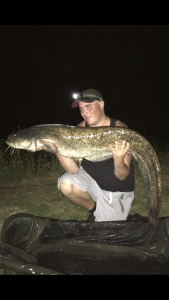 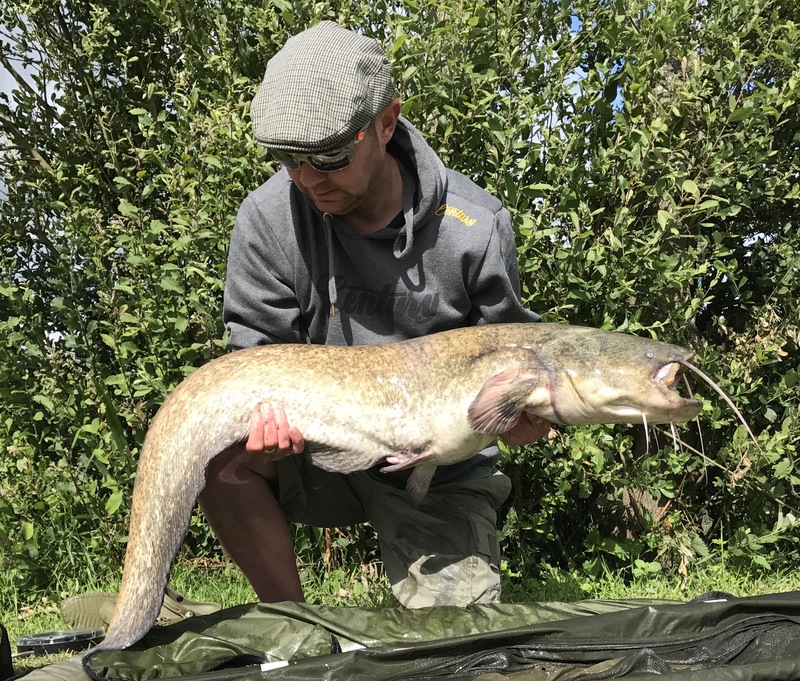 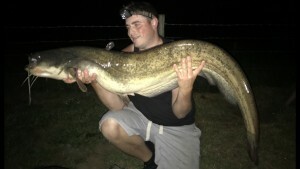 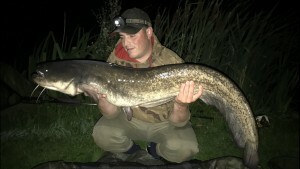 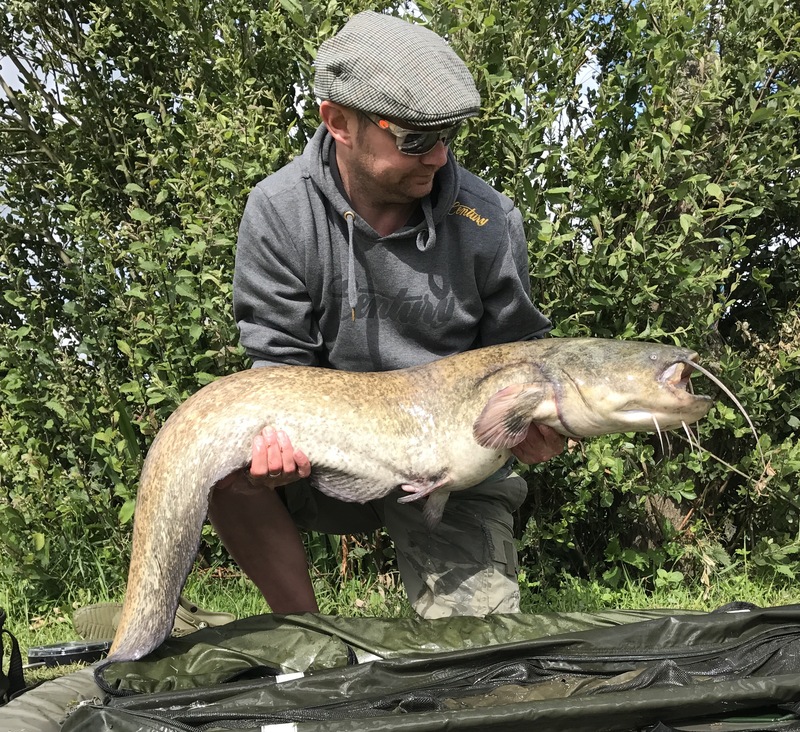 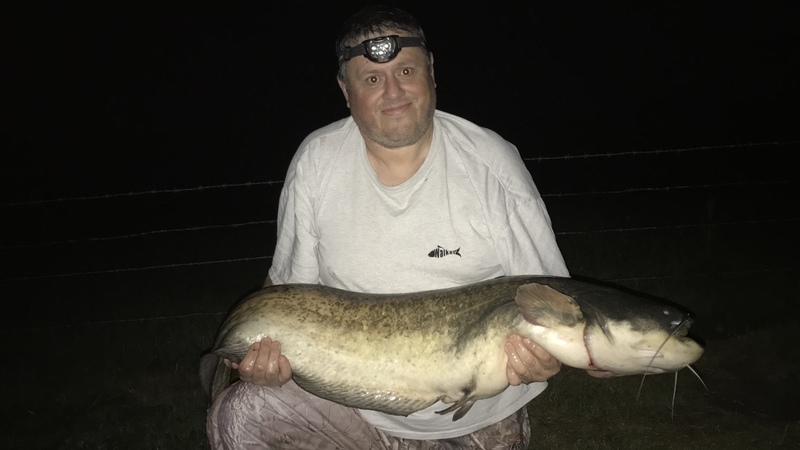 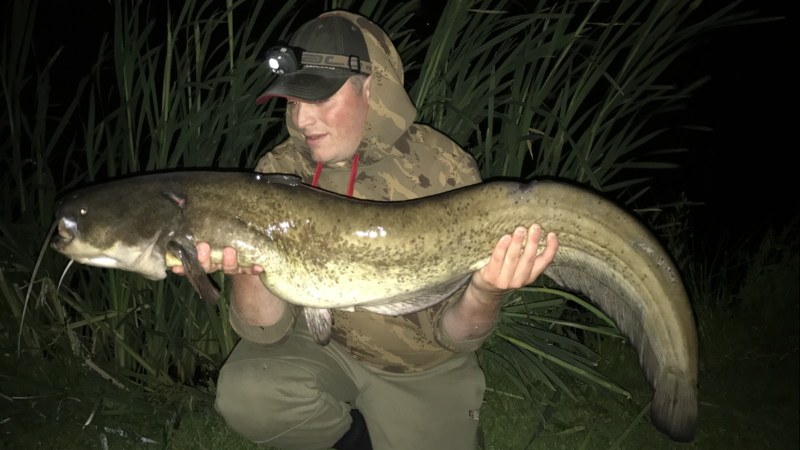 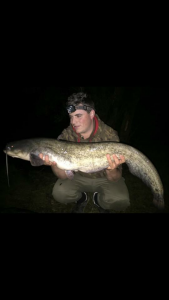 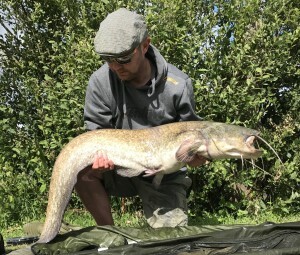 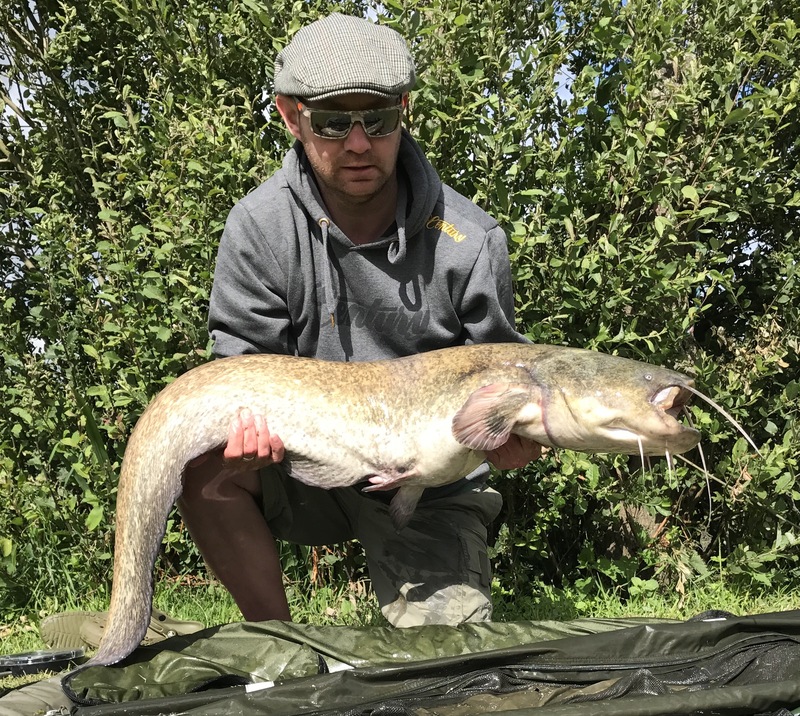 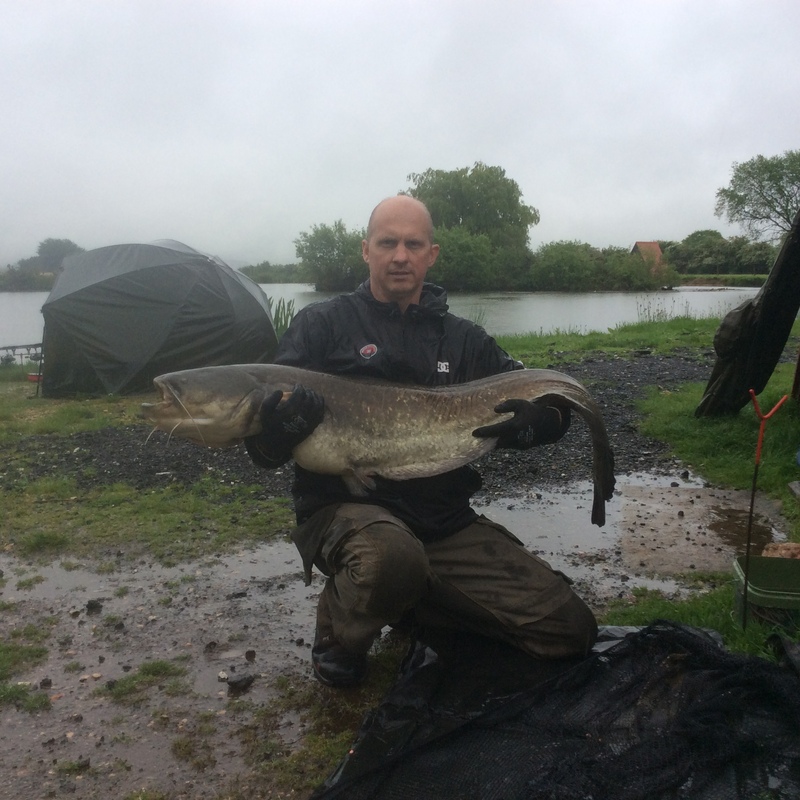 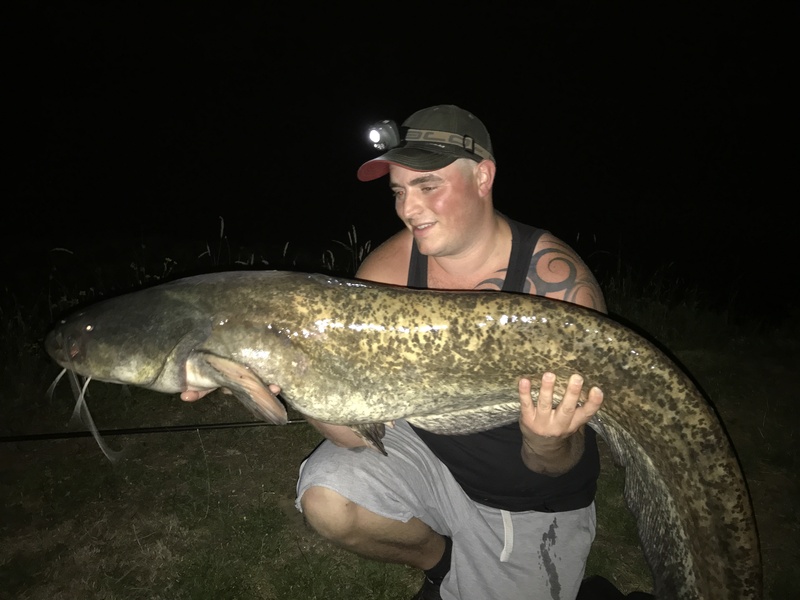 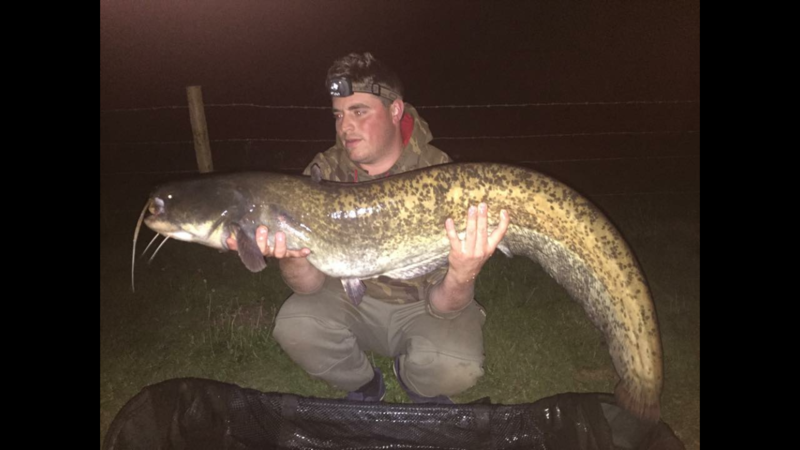 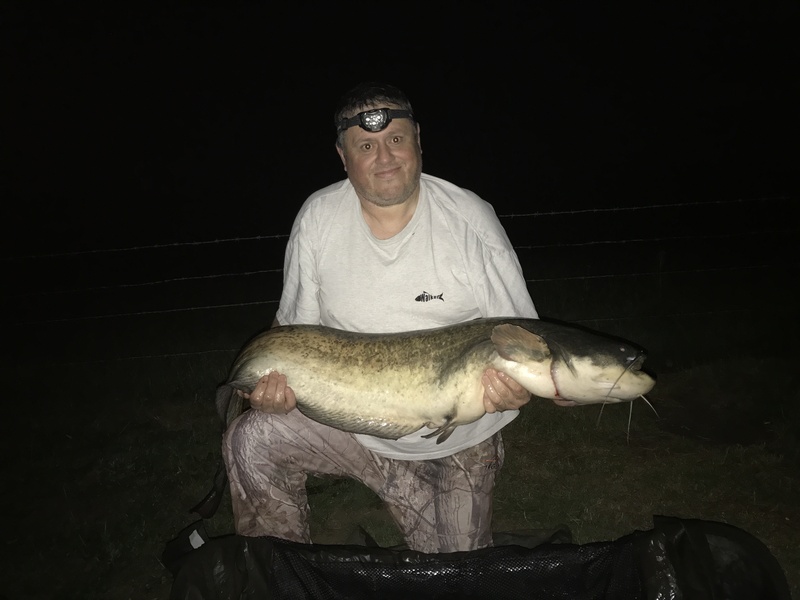 Peter Mildenhall fishing the Specimen Lake swim 1 on the 12th July for 36 hours, caught this beautiful 42lbs catfish on a 12mm boilie. 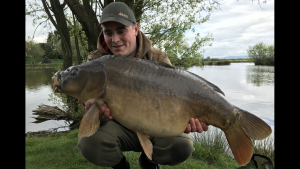 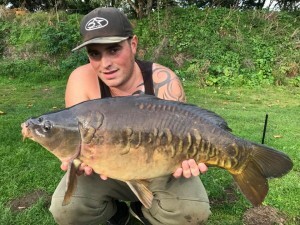 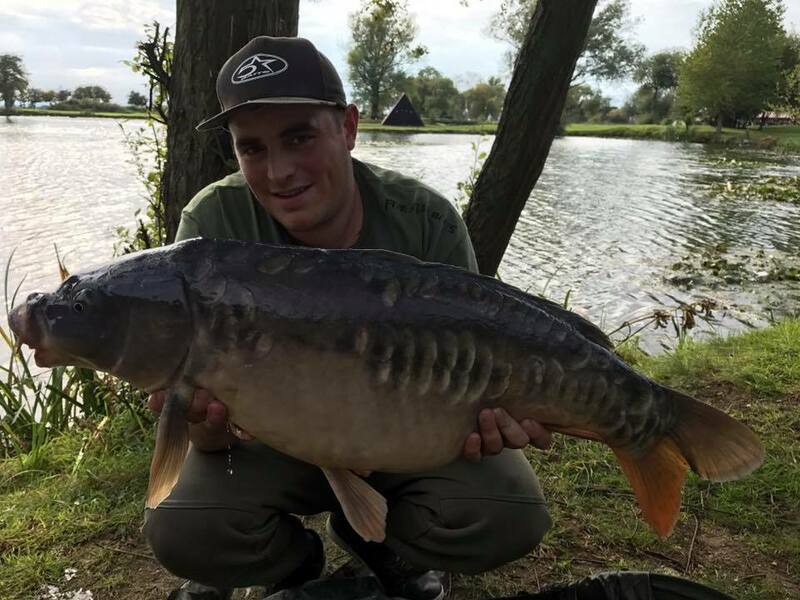 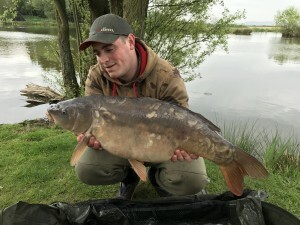 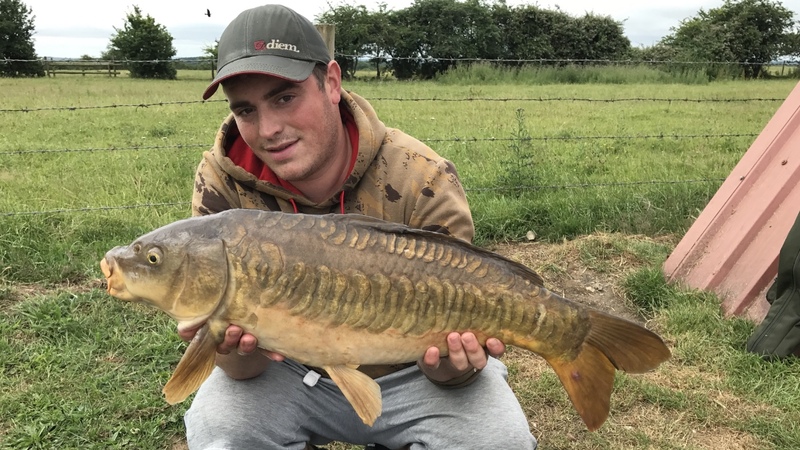 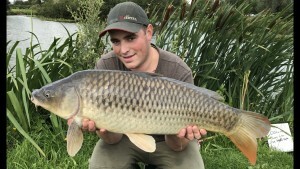 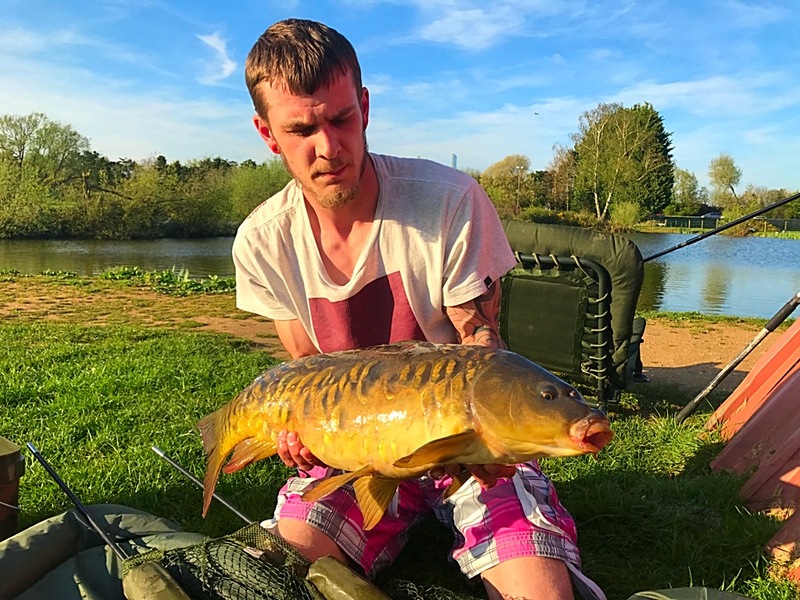 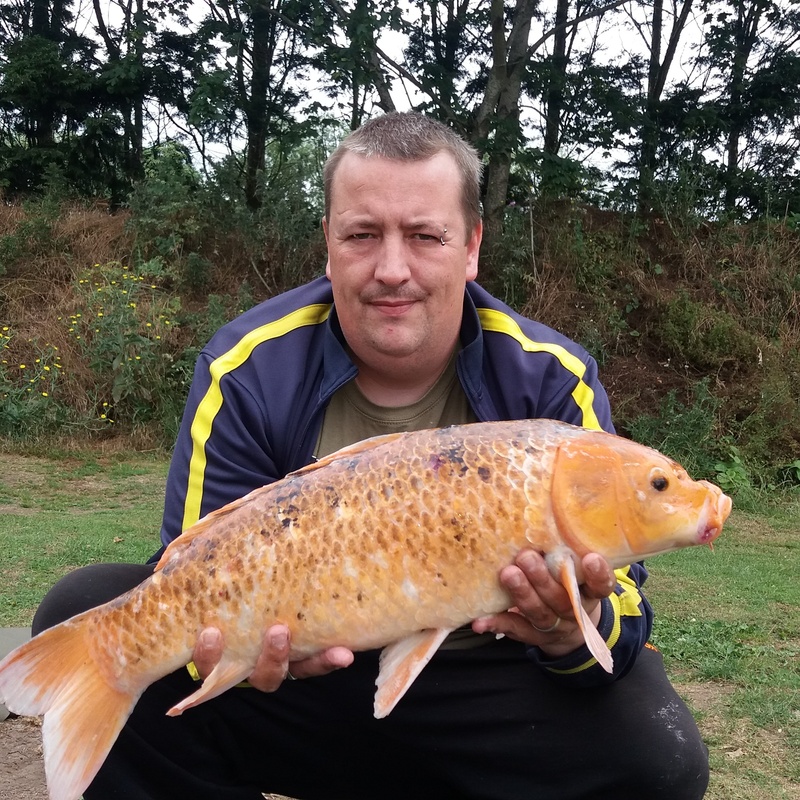 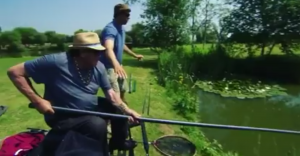 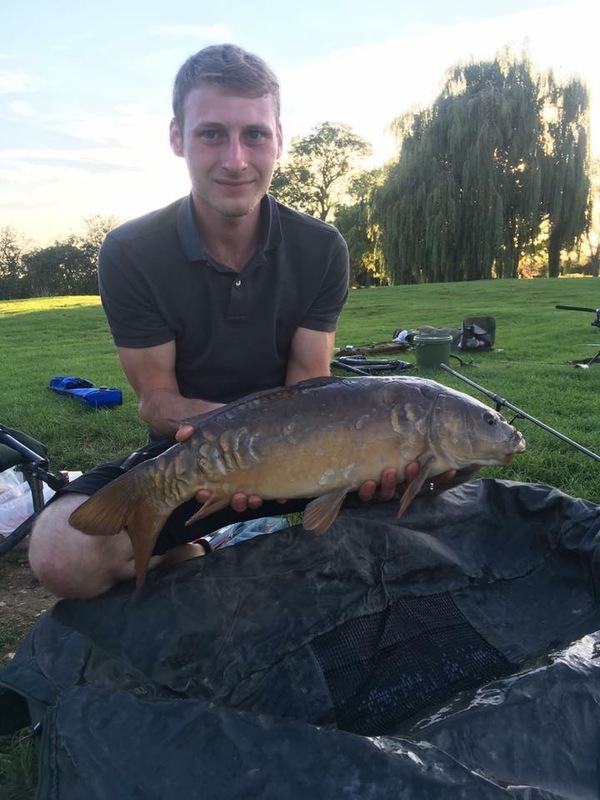 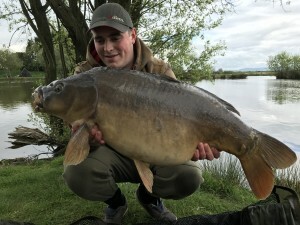 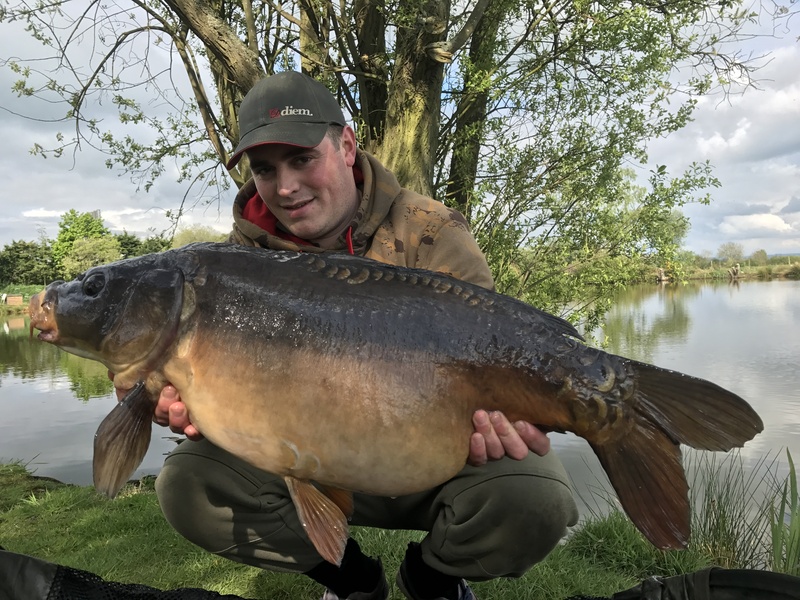 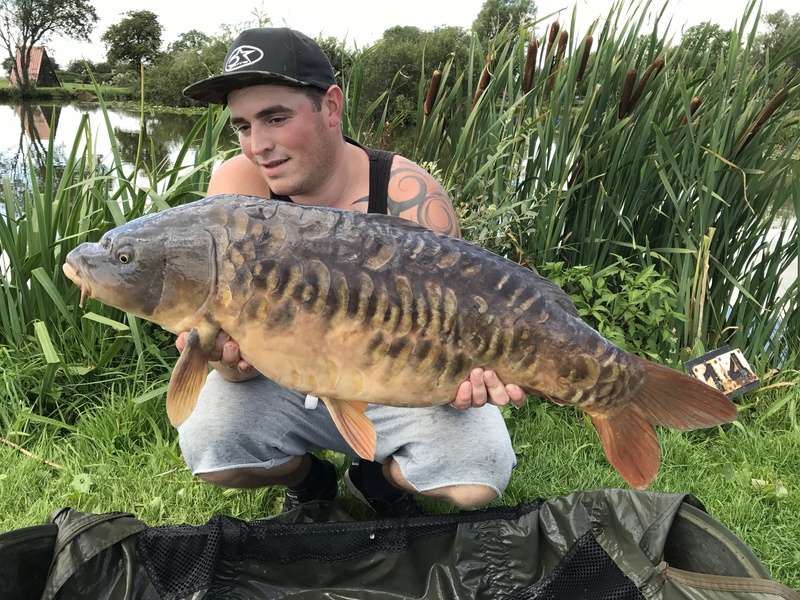 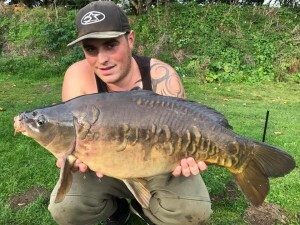 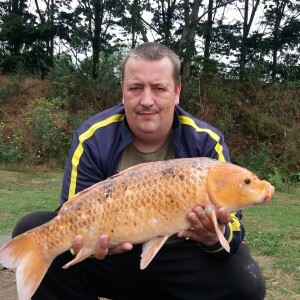 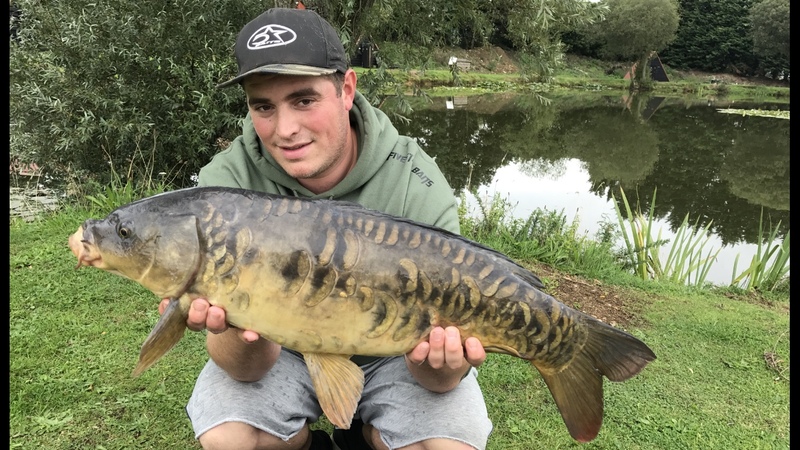 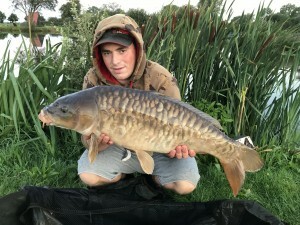 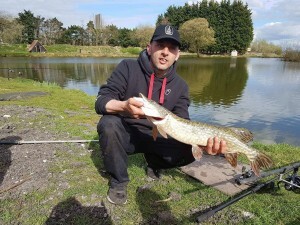 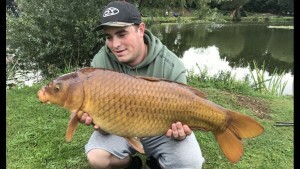 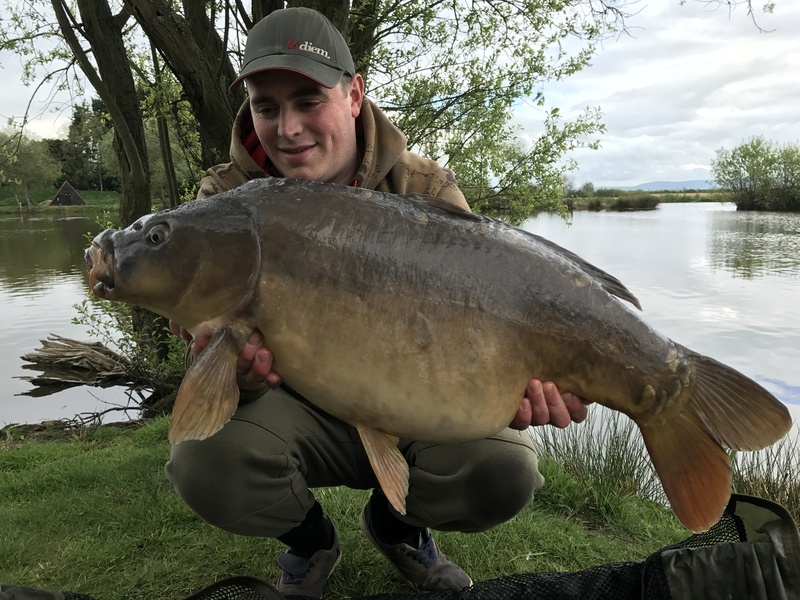 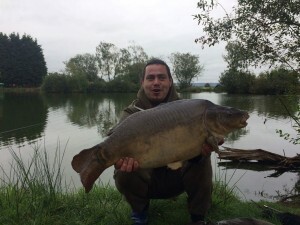 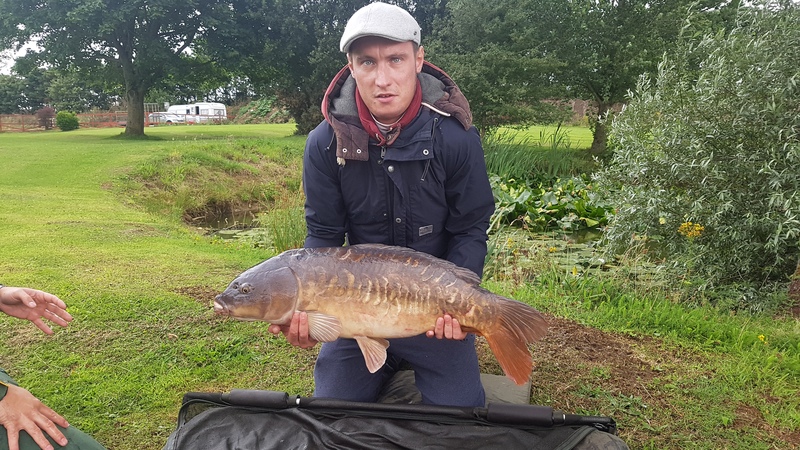 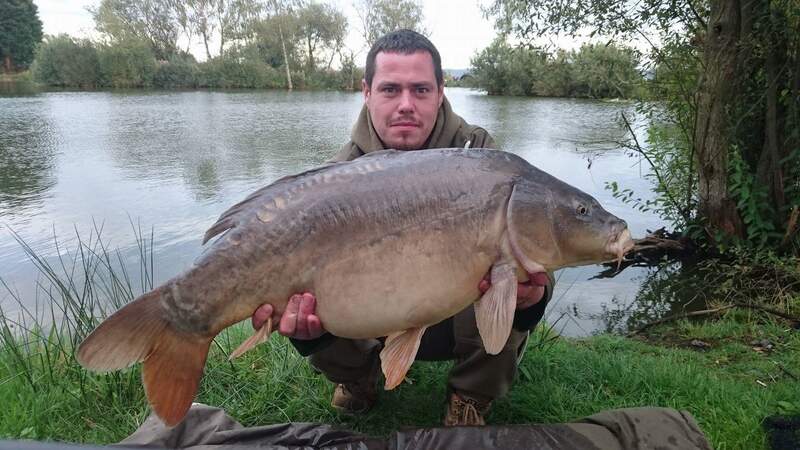 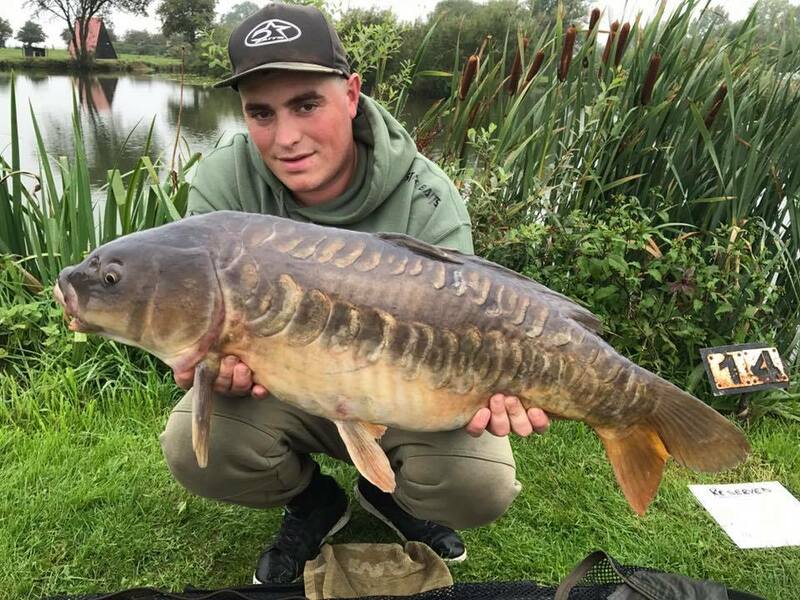 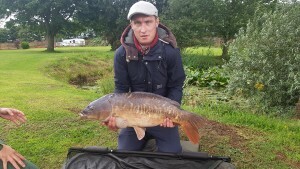 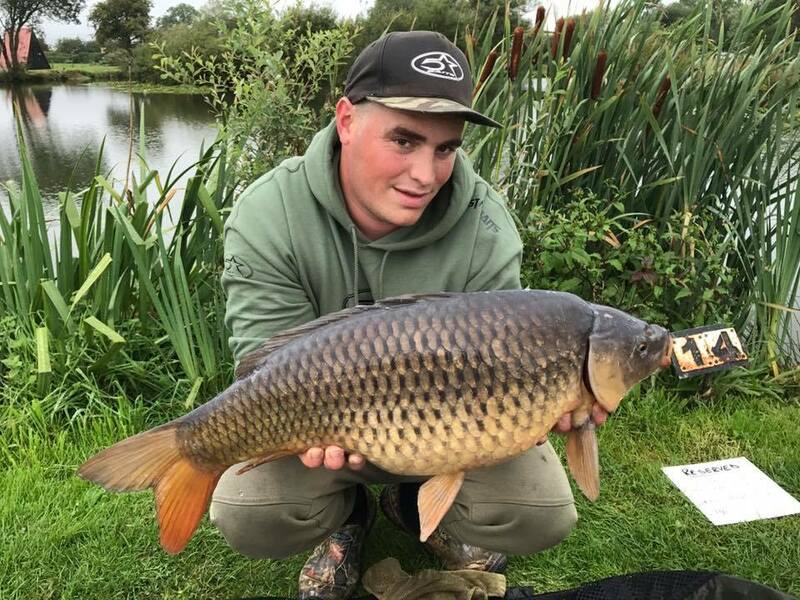 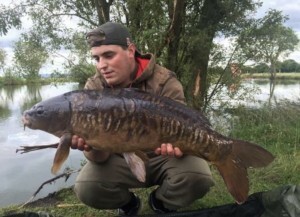 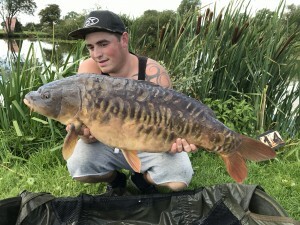 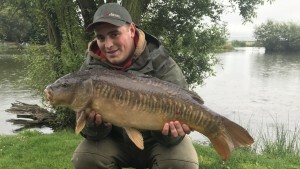 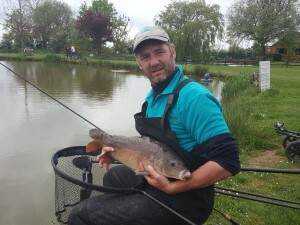 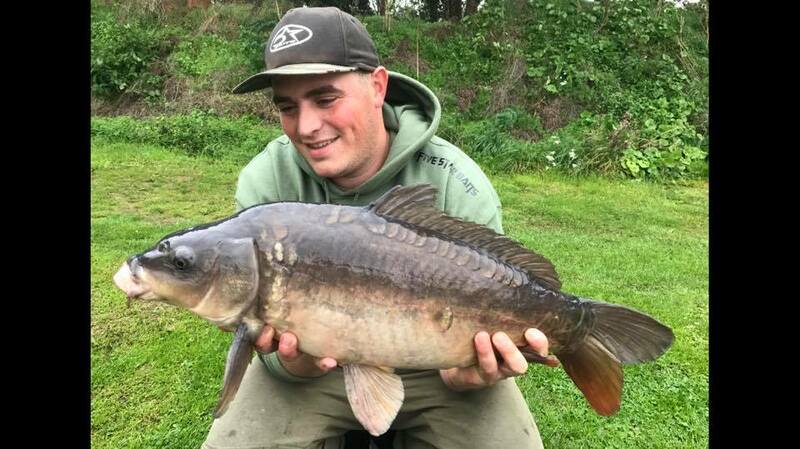 Colin Morris fishing the Specimen Lake on the 22nd July for 48 hours caught some incredible fish including, 19lbs Koi, two Linears weighing 17lbs & 16lbs 4 oz and 11 Commons, the weights are the following, 24lbs 12oz, 19lbs 2oz, 19lbs, 18lbs, 17lbs 2oz, 16lbs 6oz, 15lbs 12oz, 14lbs 4oz, 13lbs, 12lbs 6oz, 12lbs 2oz. 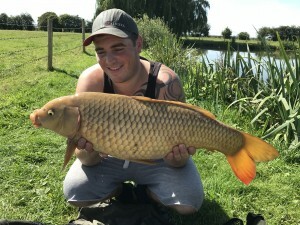 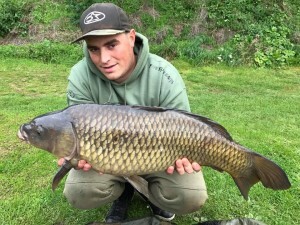 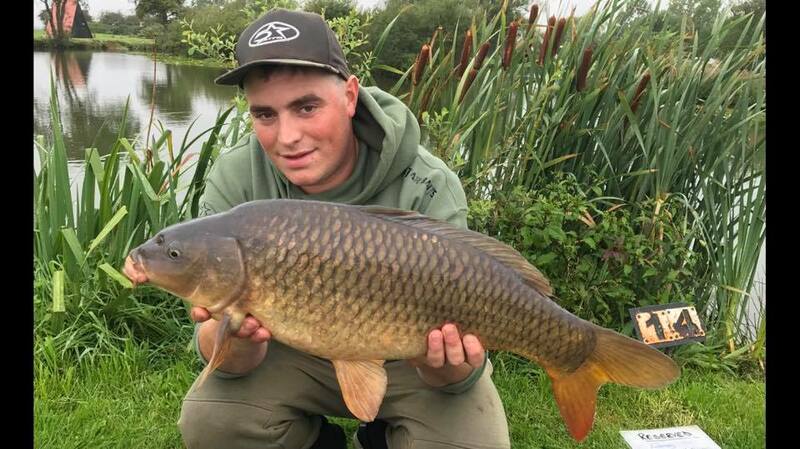 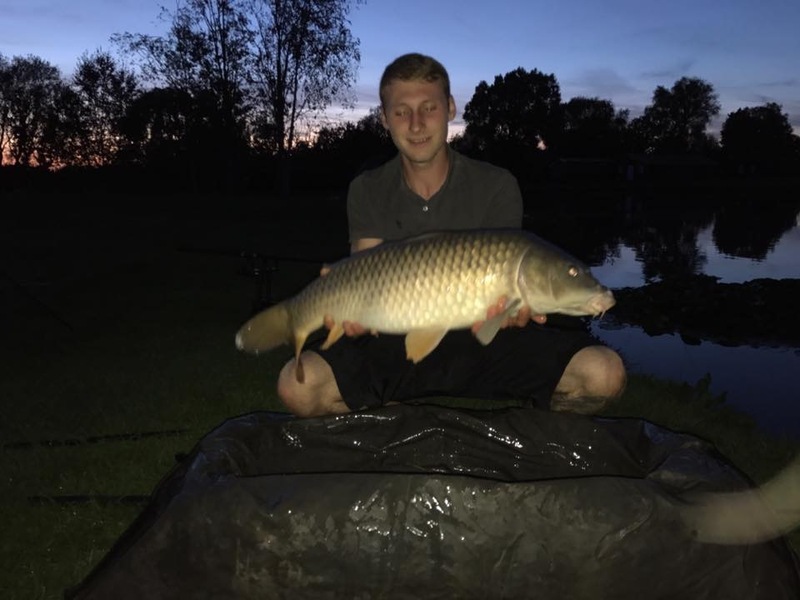 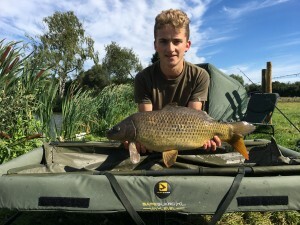 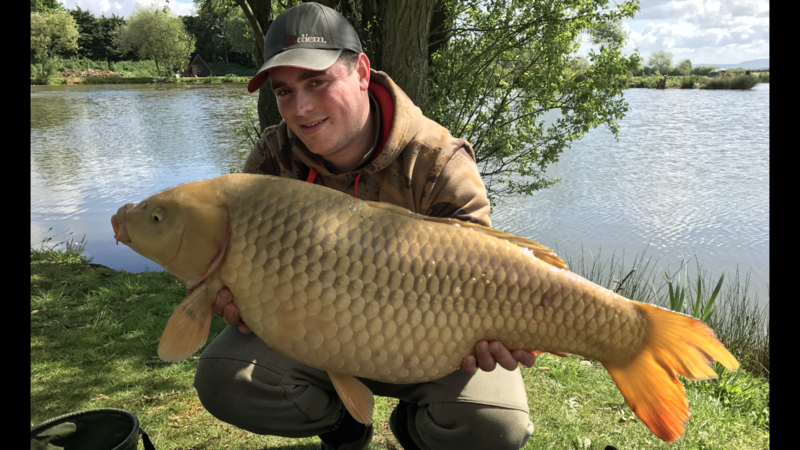 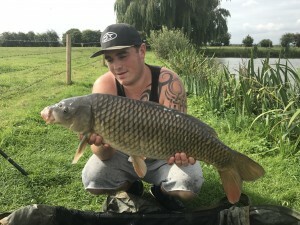 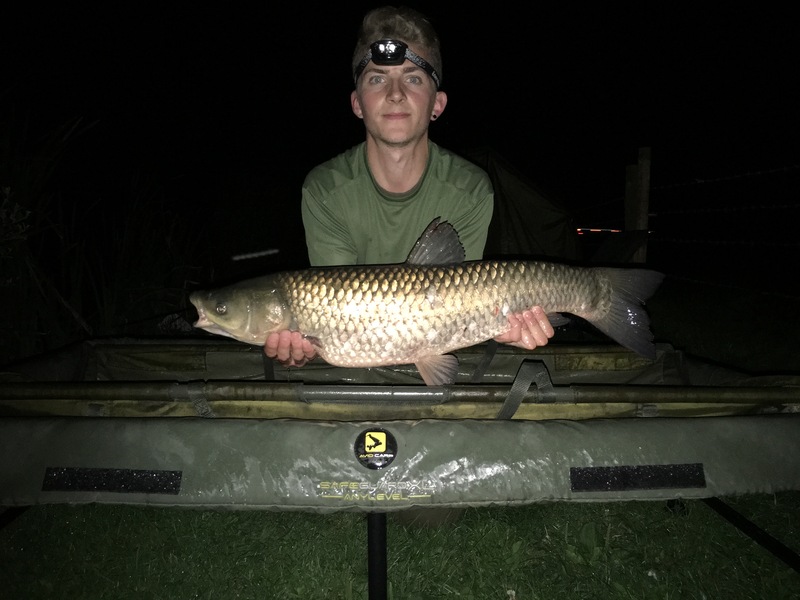 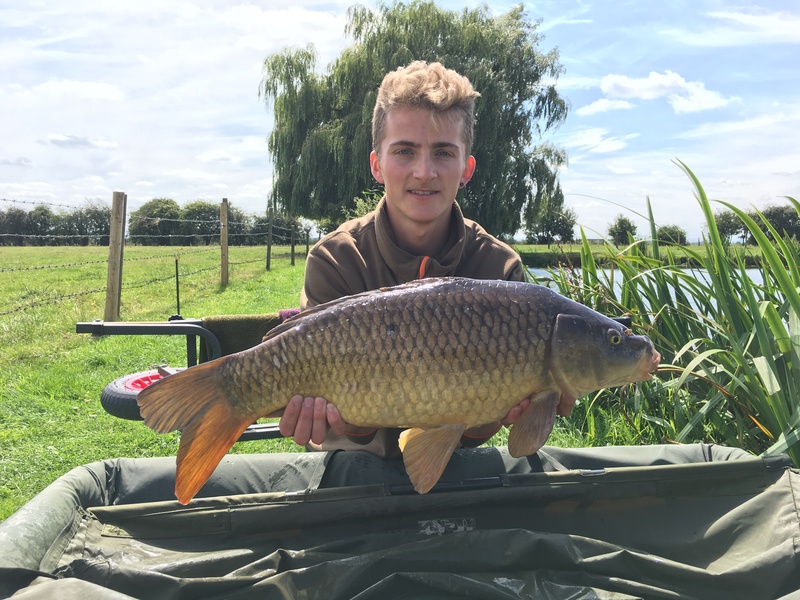 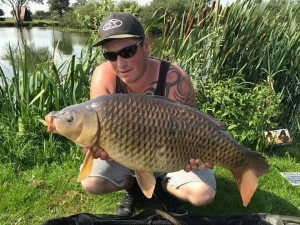 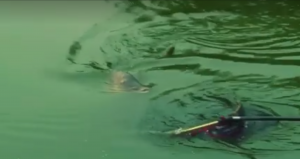 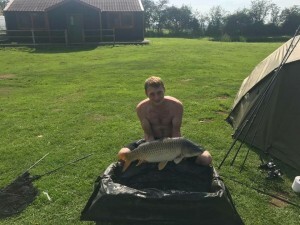 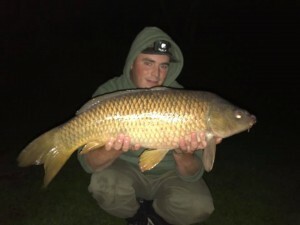 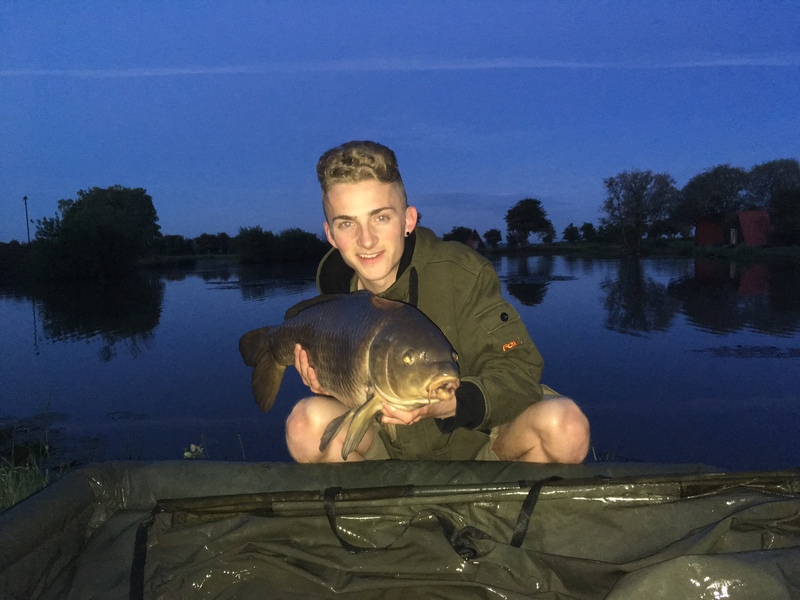 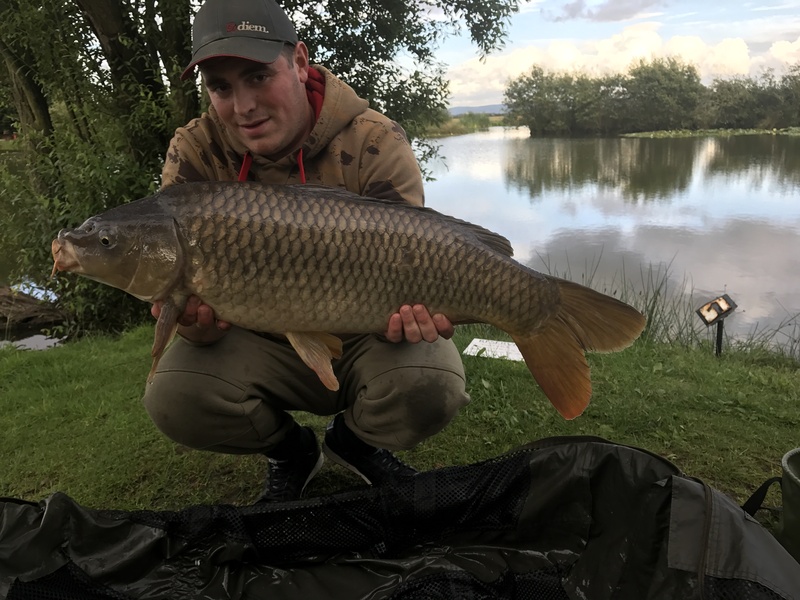 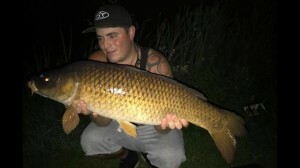 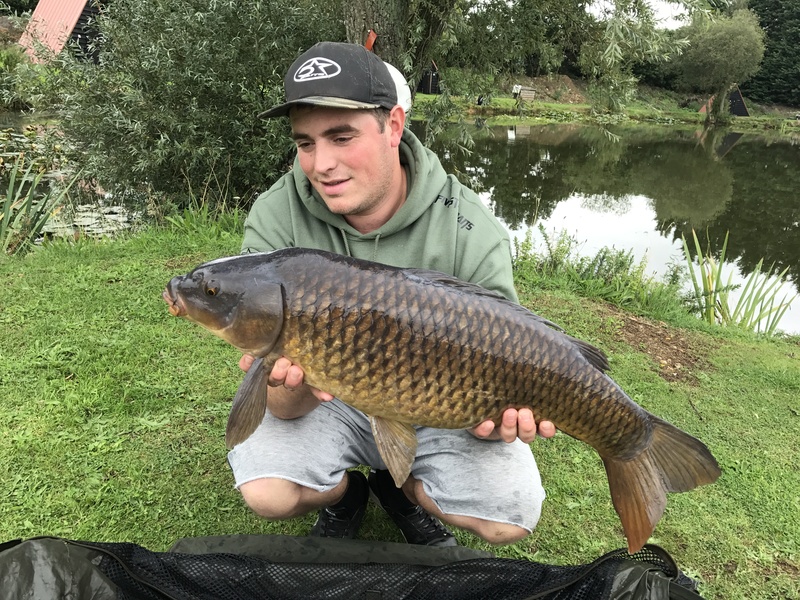 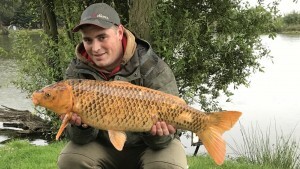 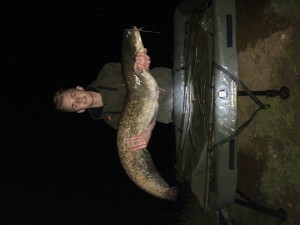 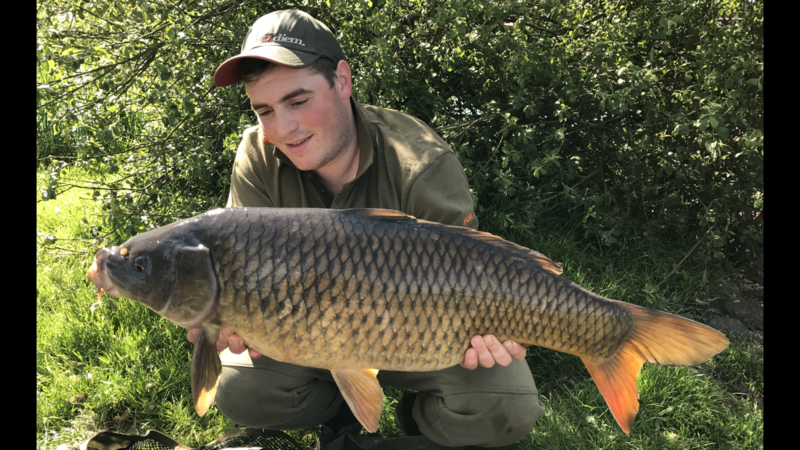 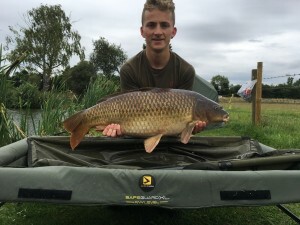 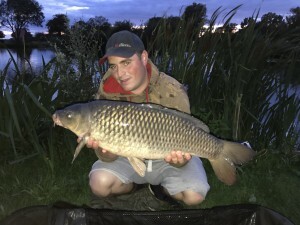 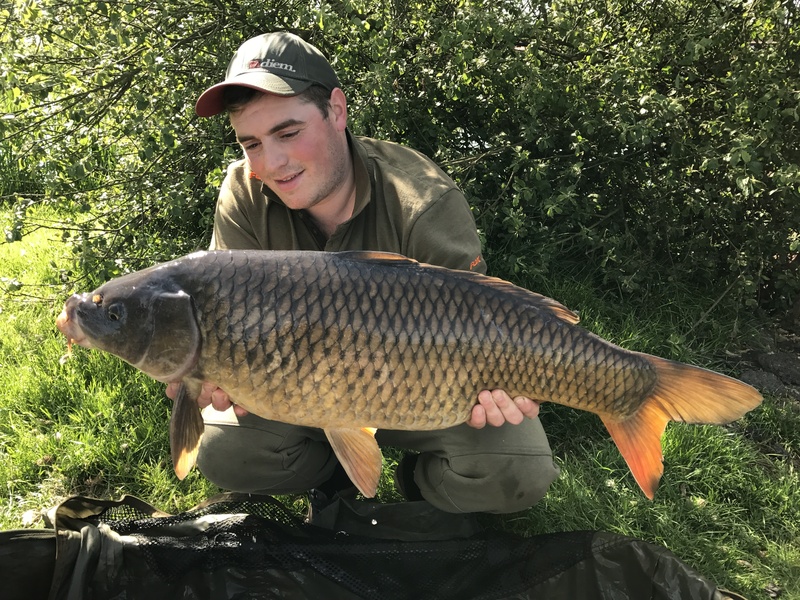 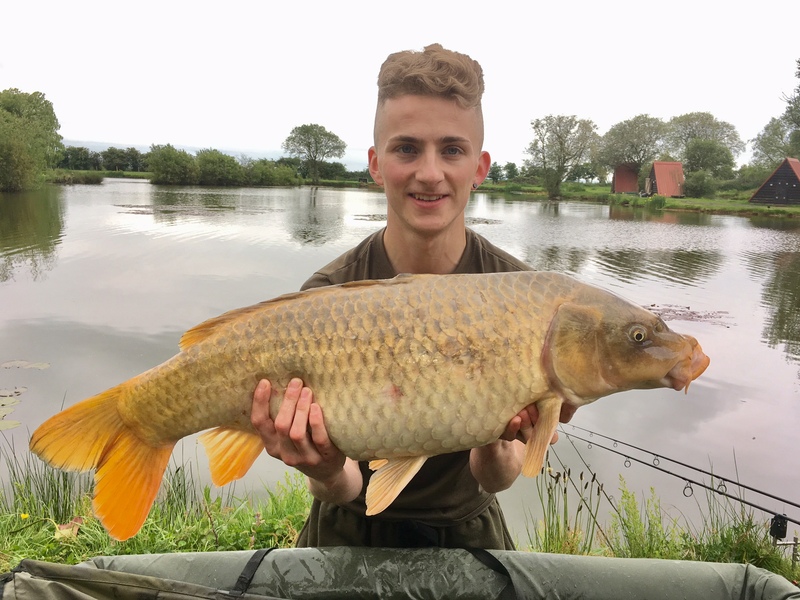 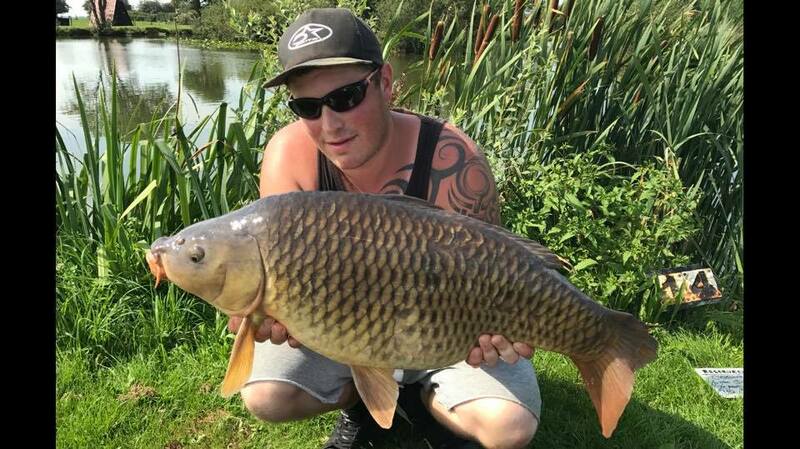 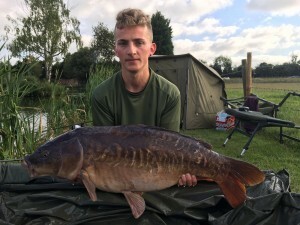 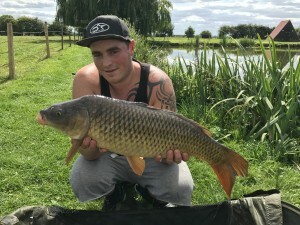 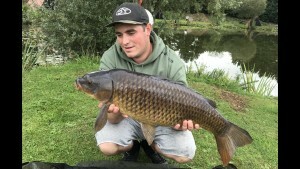 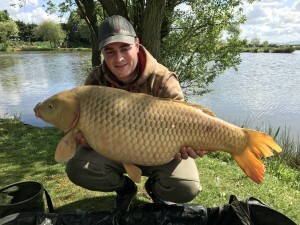 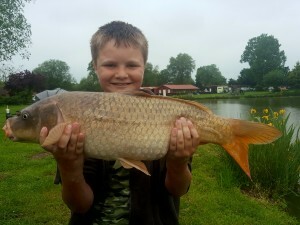 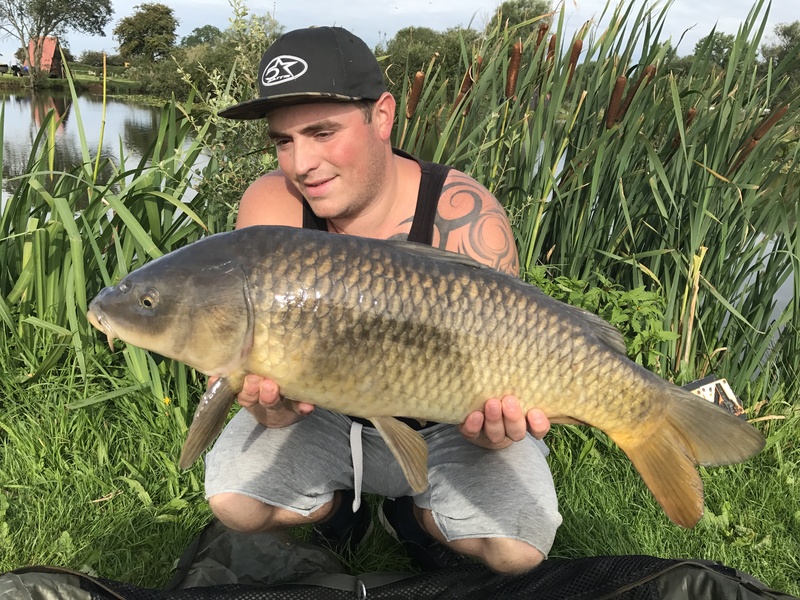 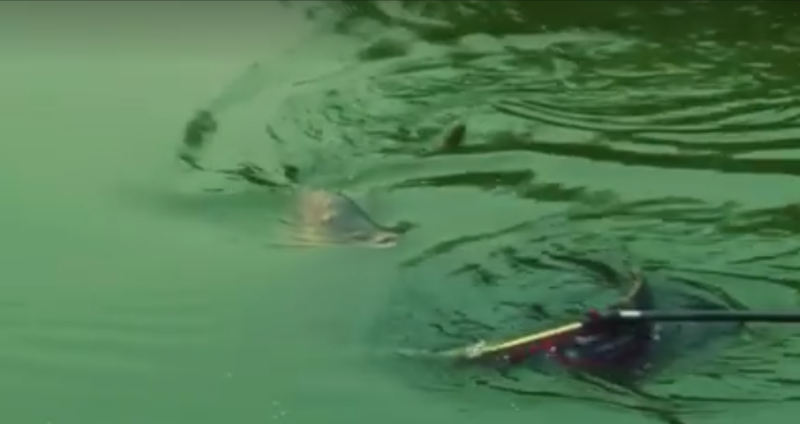 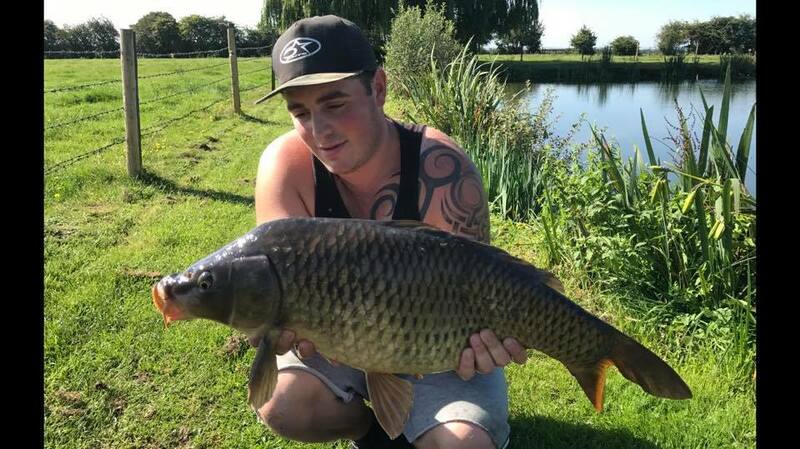 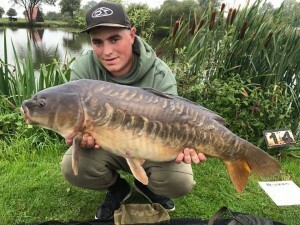 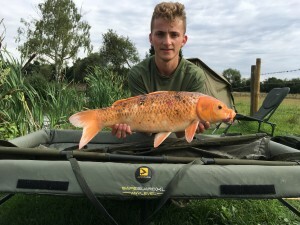 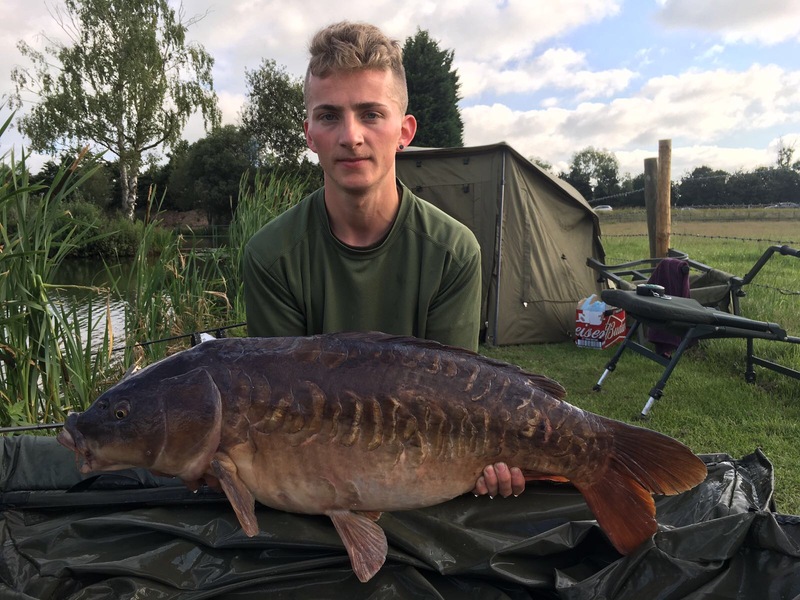 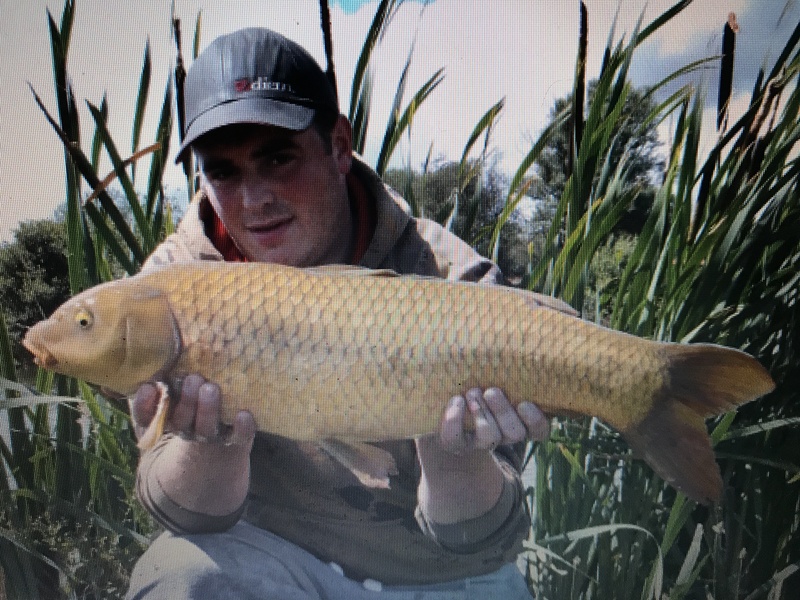 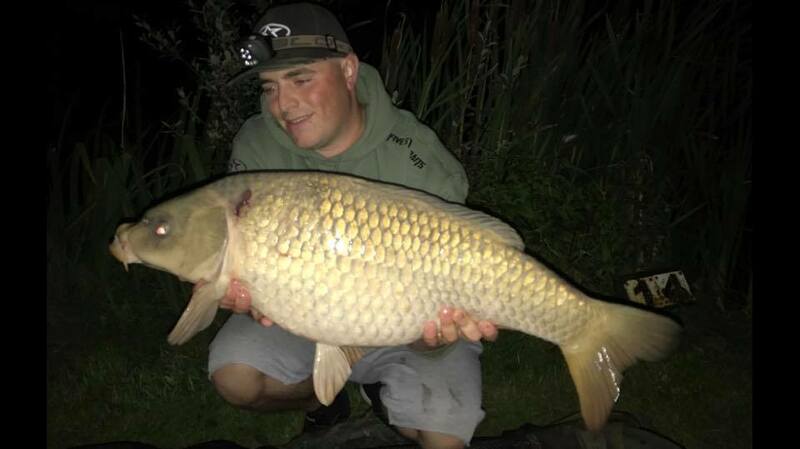 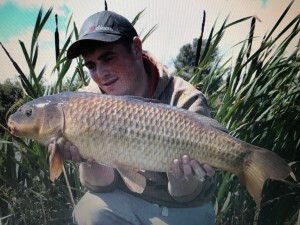 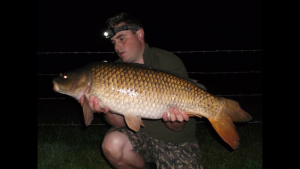 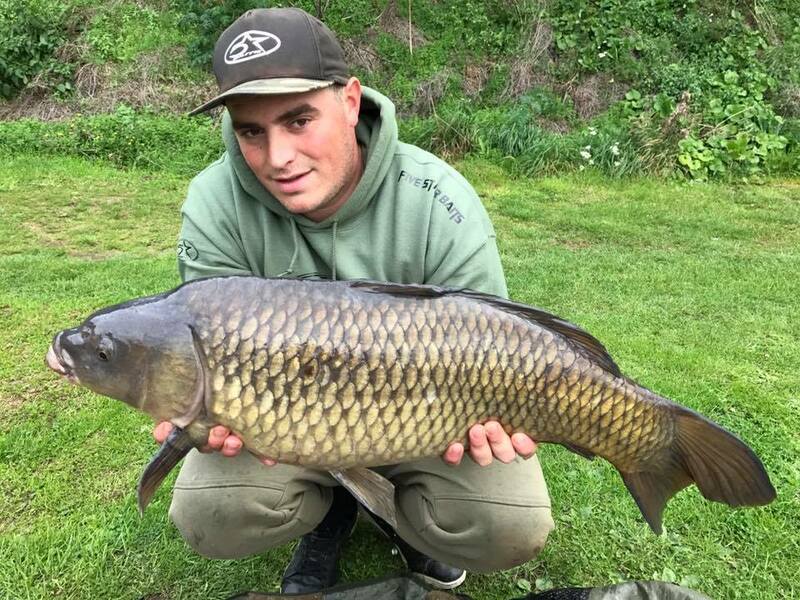 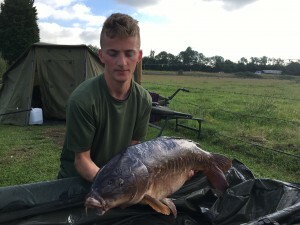 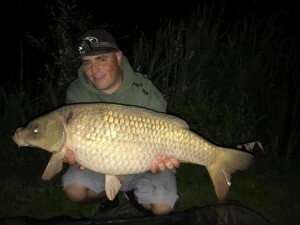 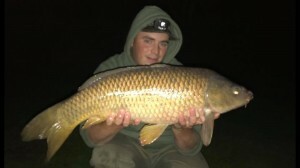 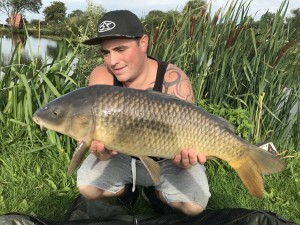 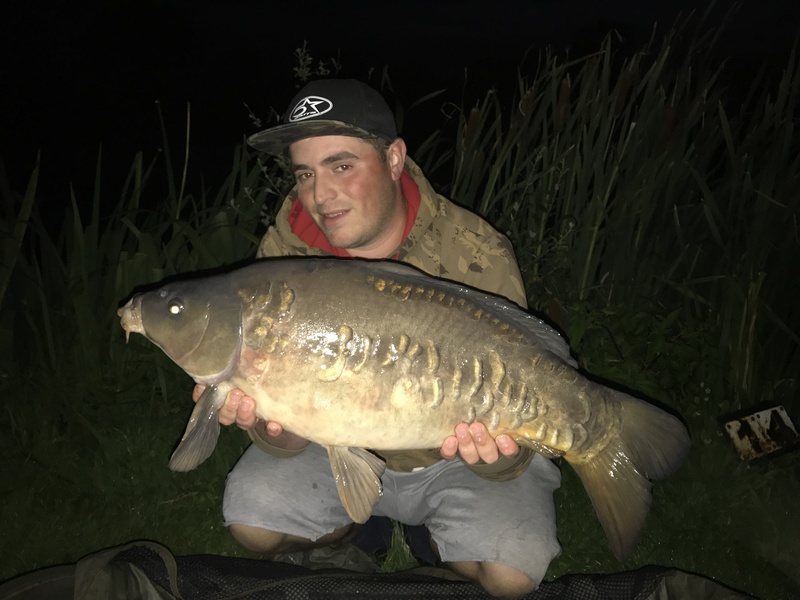 Josh Noall fishing swim 14 on the Specimen Lake on the 16th July for 48 hours, caught this Koi Carp weighing 8lbs 3oz, along with a 10lbs 5oz Grass Carp. Yes, Colin Morris is back and after fishing for just 36 hours on the Specimen Lake on Peg 1 from Sunday 1st January, he caught this 29lbs 2oz Common, 24lbs Mirror and 19lbs 2oz Common. 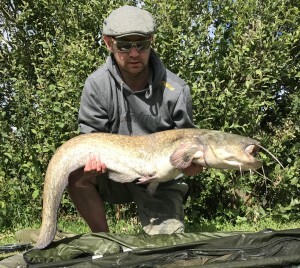 Well done Colin.